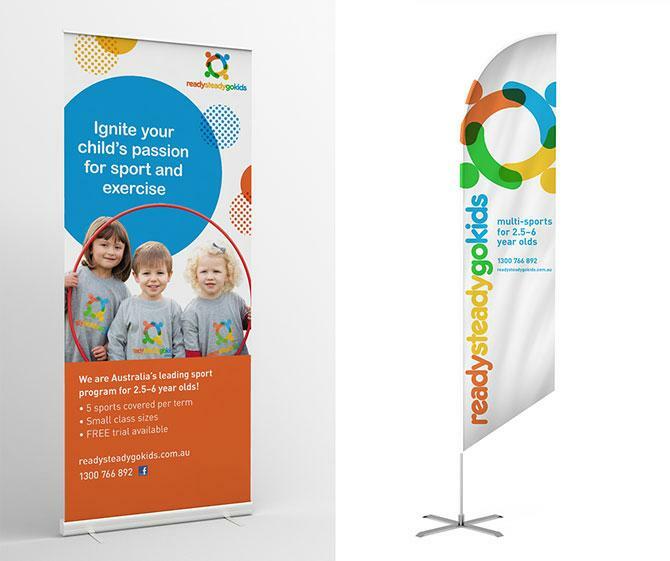 So you're looking for advertising and marketing services? 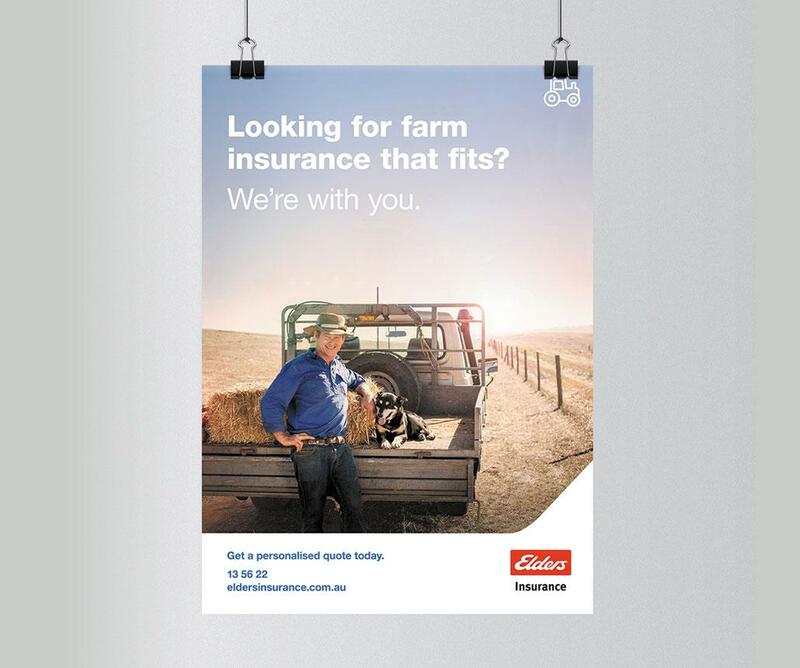 You've come to the right place! 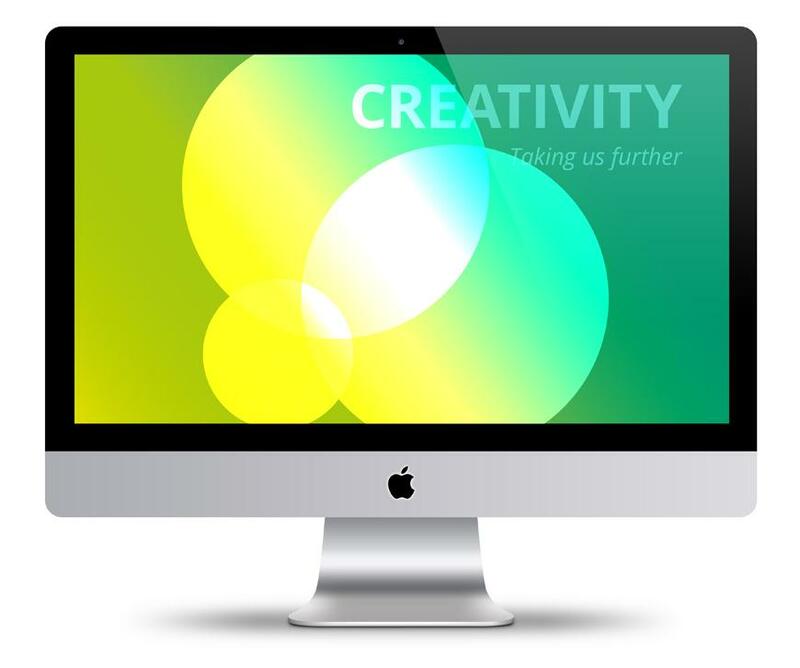 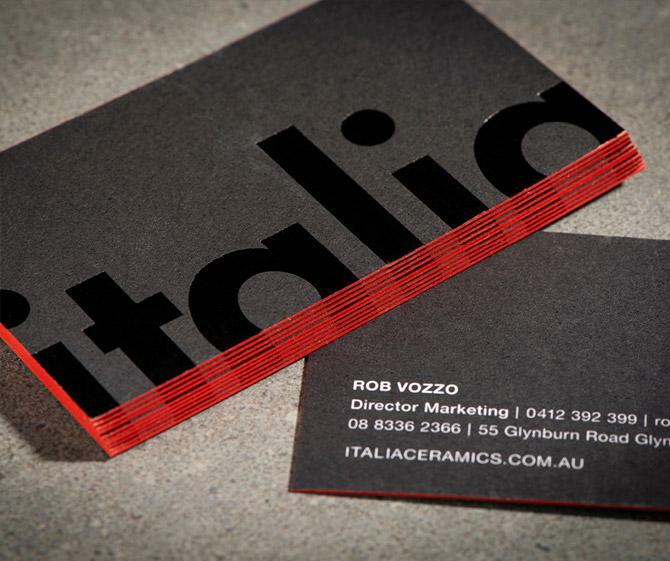 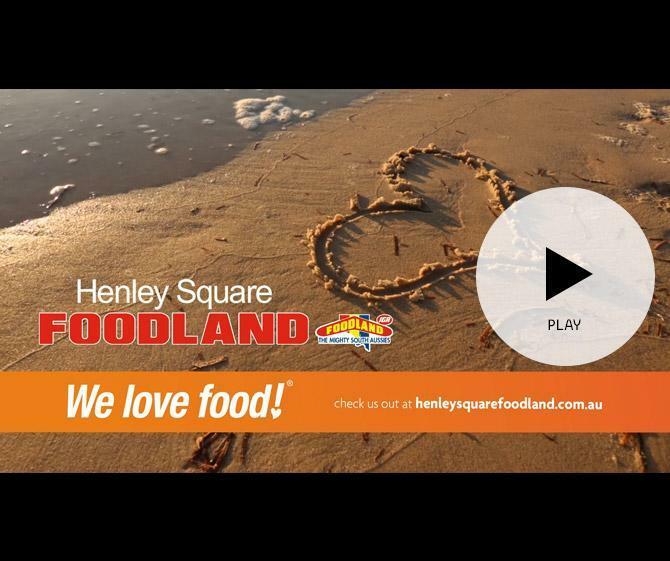 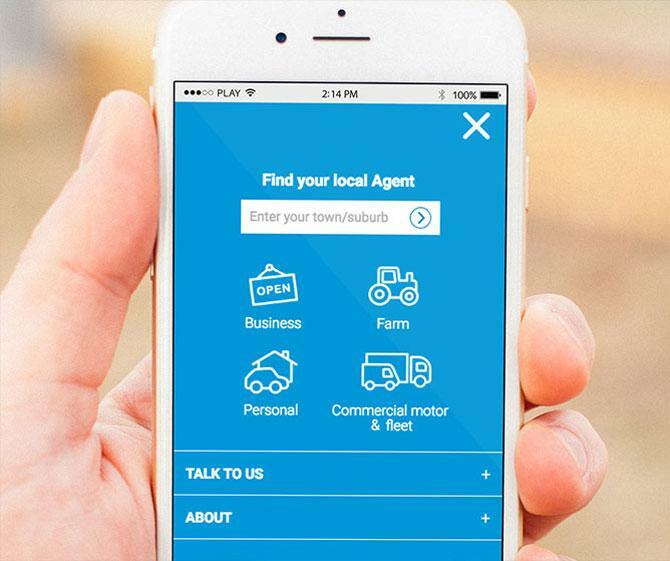 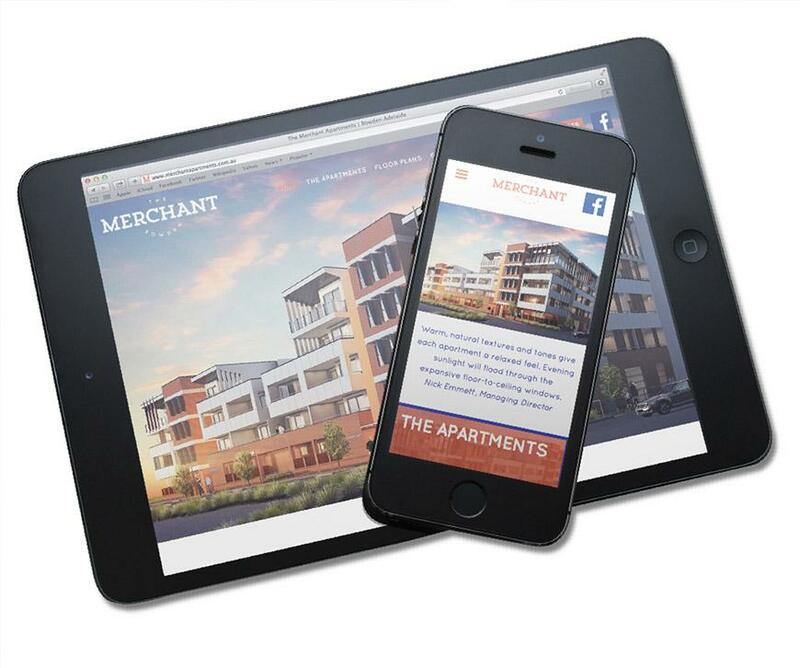 We are South Australia's largest locally owned full-service advertising and digital agency. 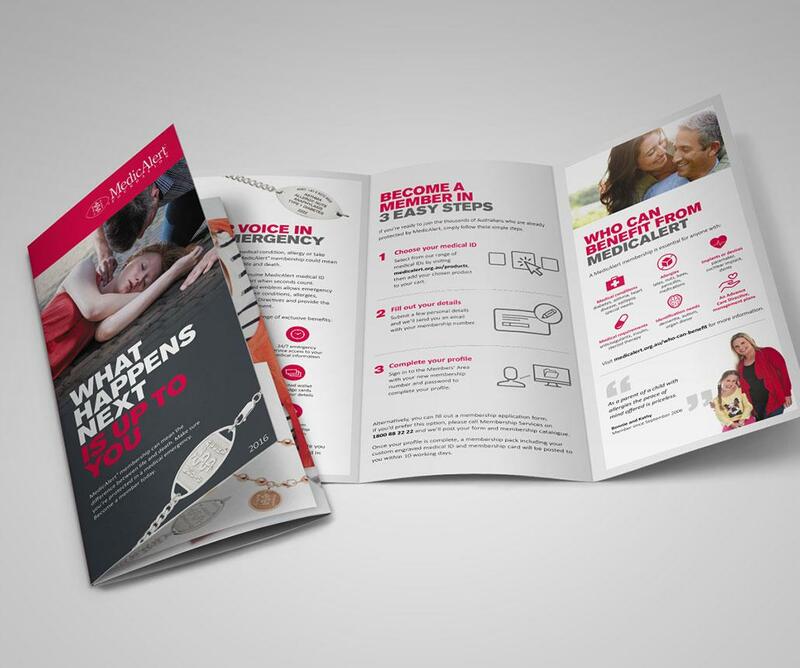 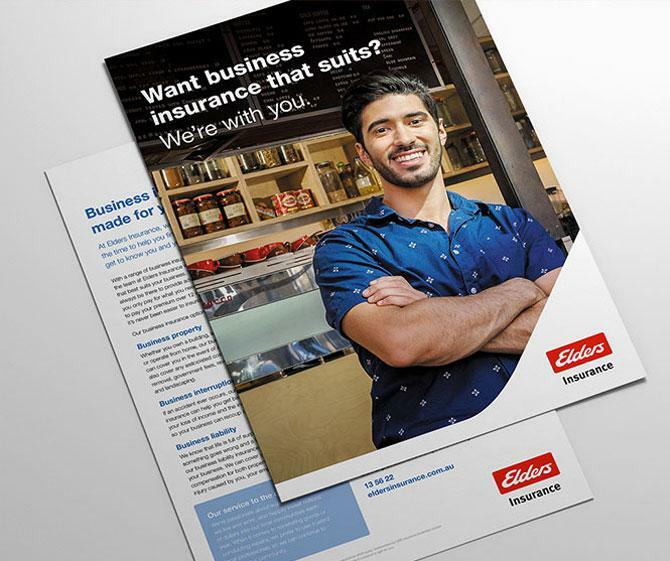 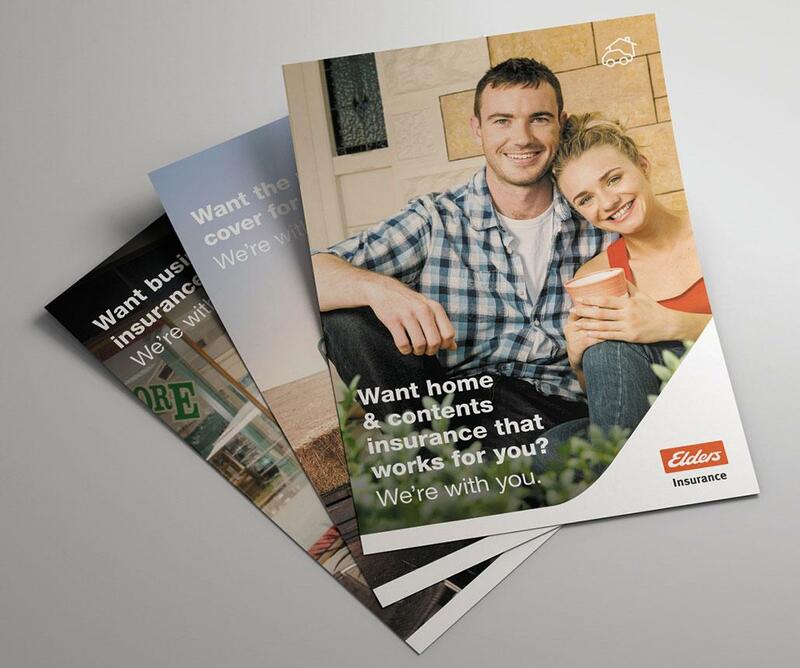 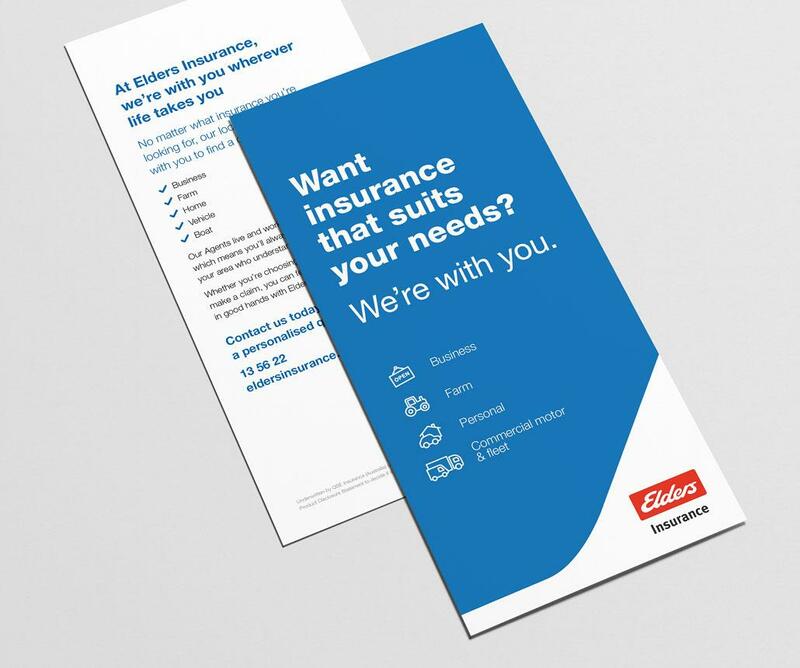 After winning a competitive national pitch, we were given the opportunity to create a new look and integrated marketing strategy for Elders Insurance. 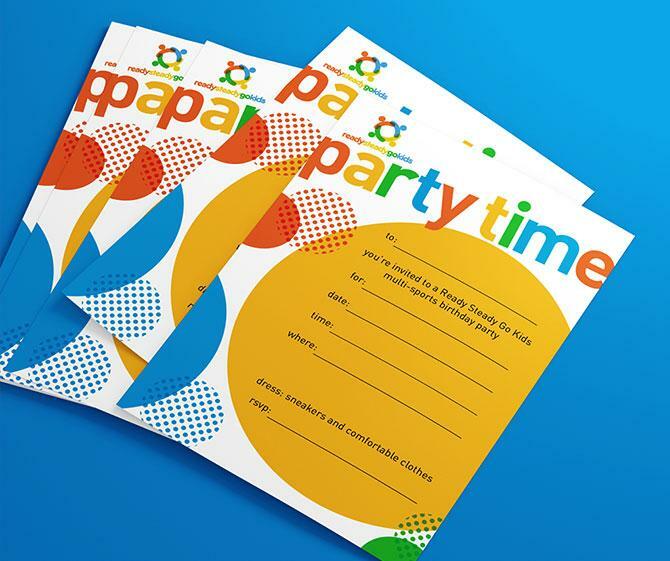 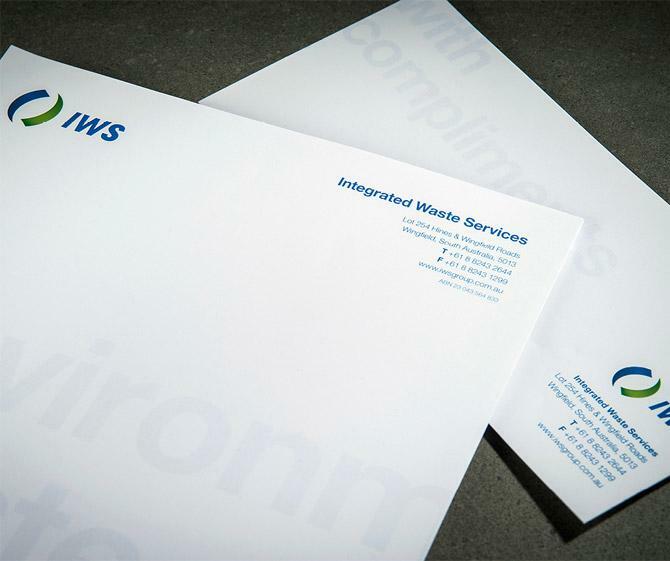 We produced a new tagline, a range of collateral and fresh iconography. 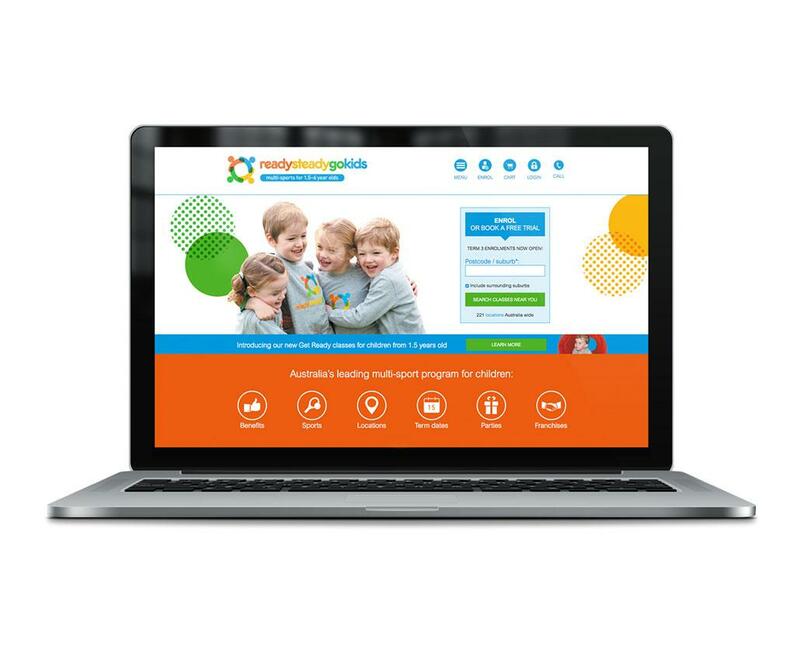 Our team also conceptualised and produced national TV, radio and press advertisements, along with a new website and microsites for individual Agencies. 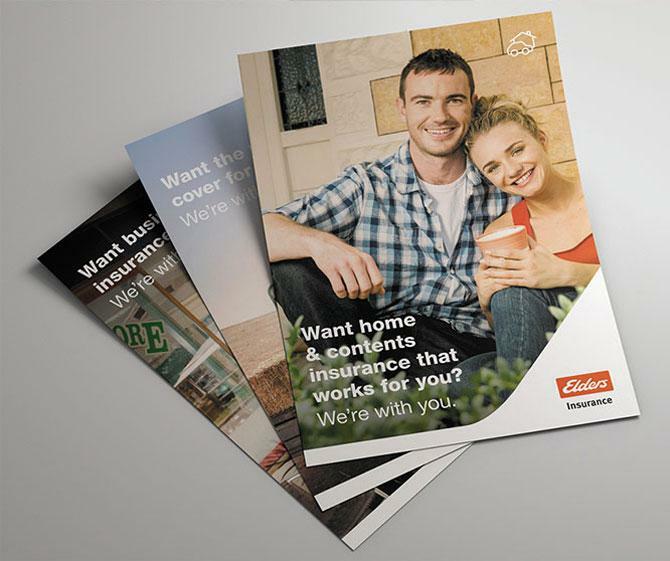 A series of additional traditional and digital advertisements were created with a strong call to action to contact a local agent. 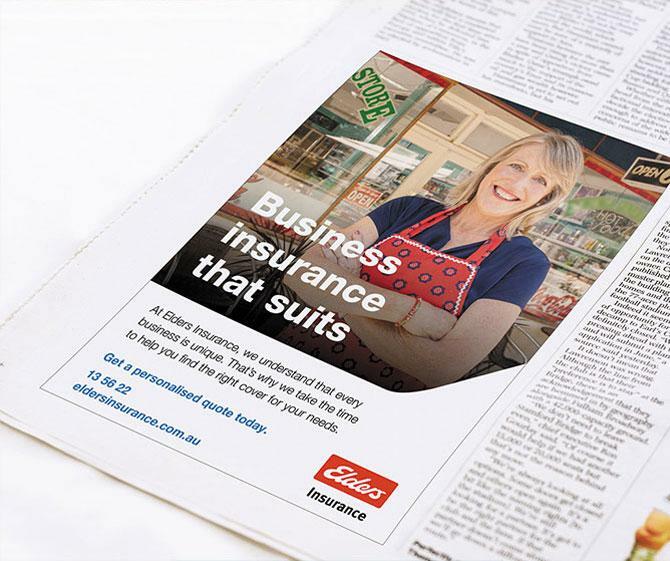 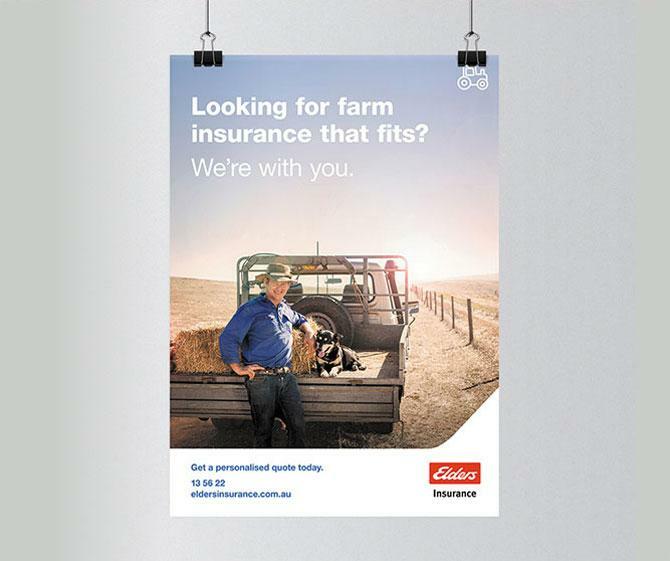 In partnership with Elders Insurance, leads have exponentially grown as a result of this multi-faceted campaign. 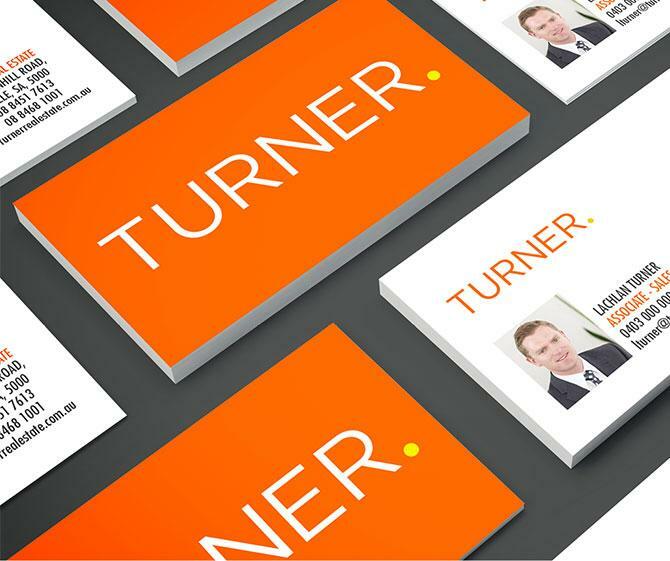 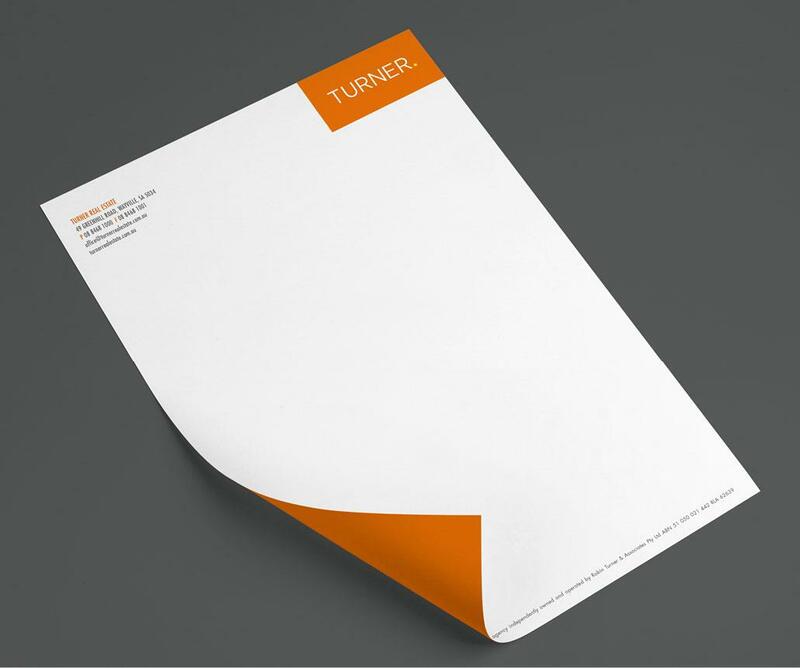 On top of our ongoing work for Turner Real Estate, we were given the opportunity to execute a complete rebrand for the business. 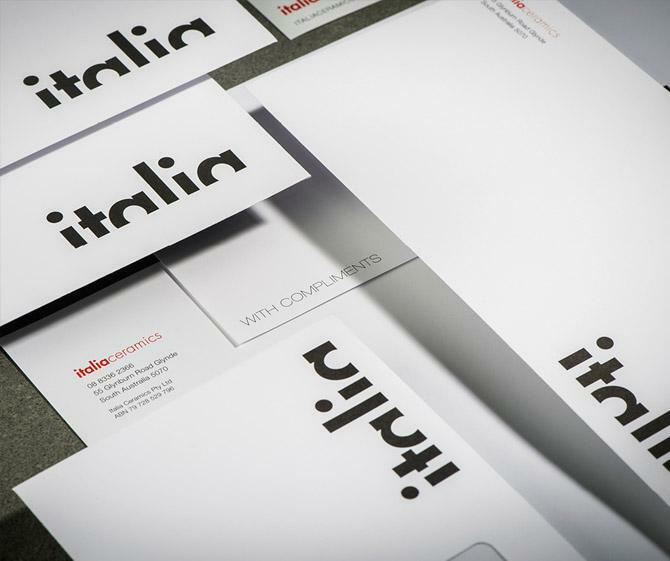 Carefully retaining the brand’s key visual elements, we created a fresh new logotype that appealed to the modern audience. 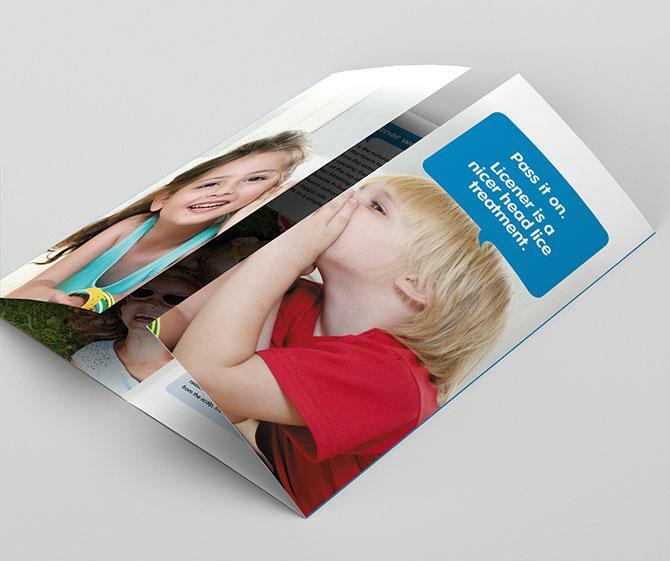 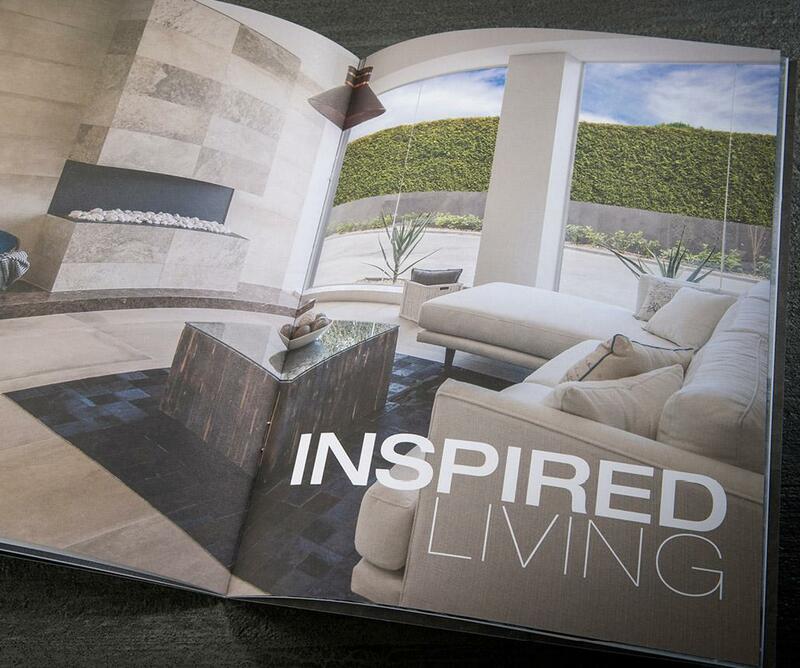 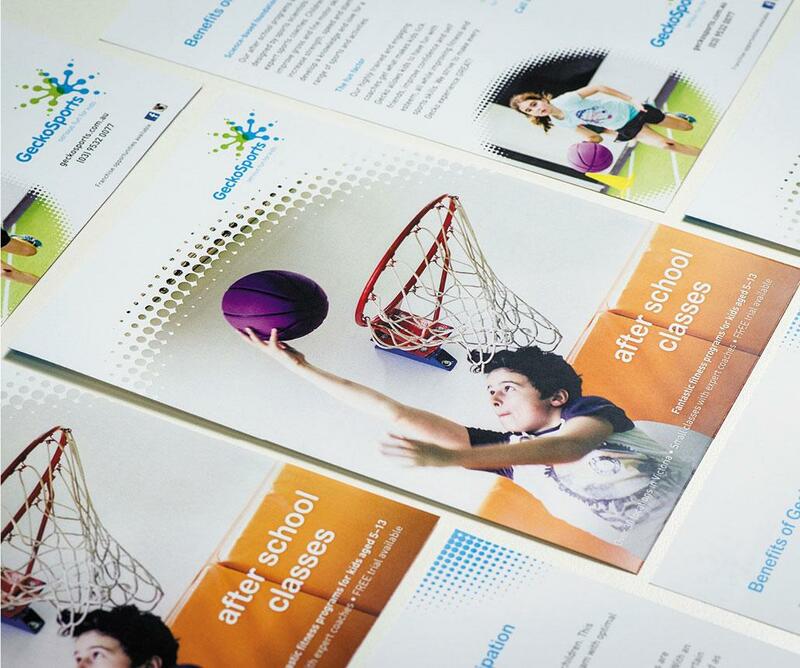 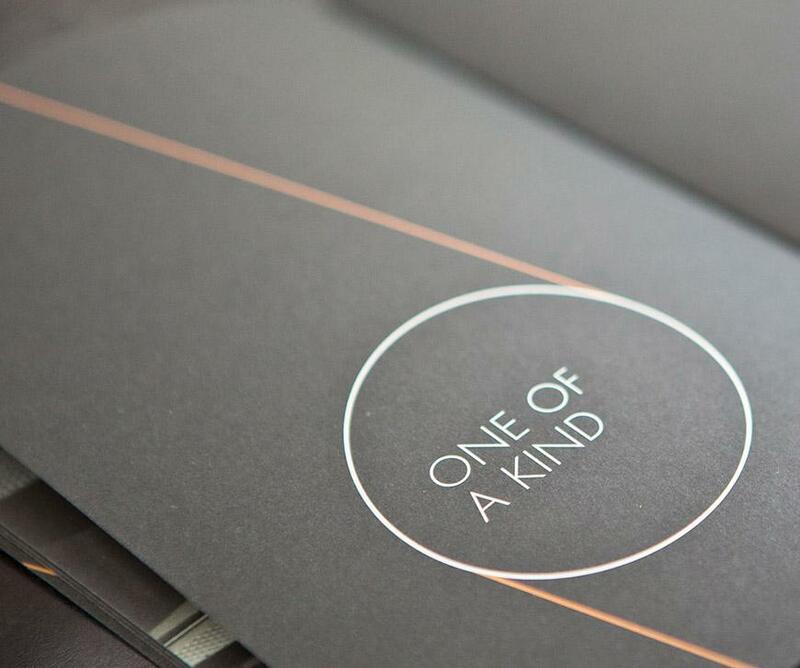 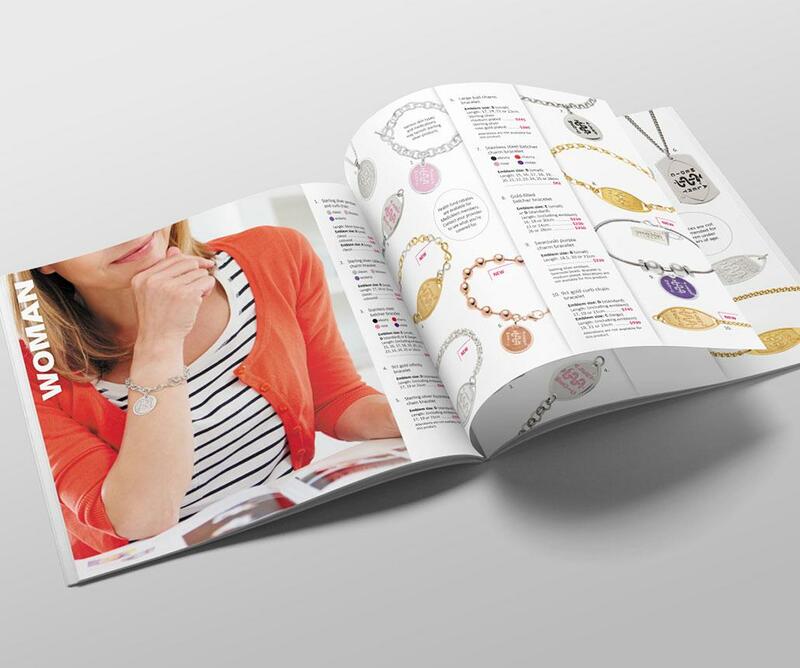 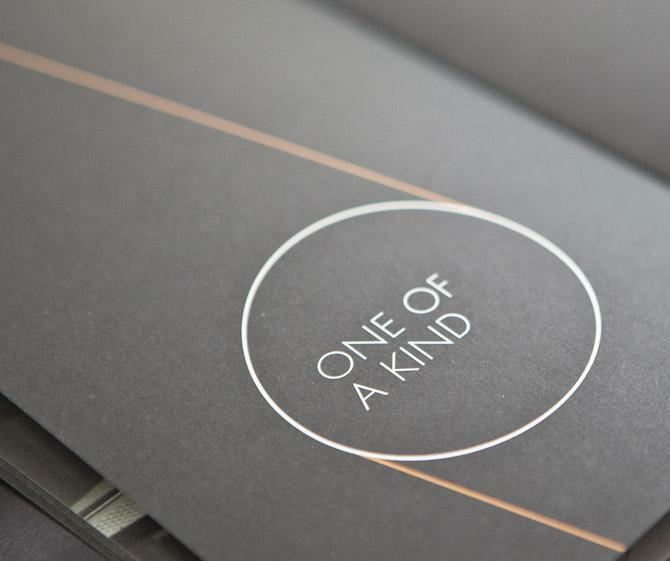 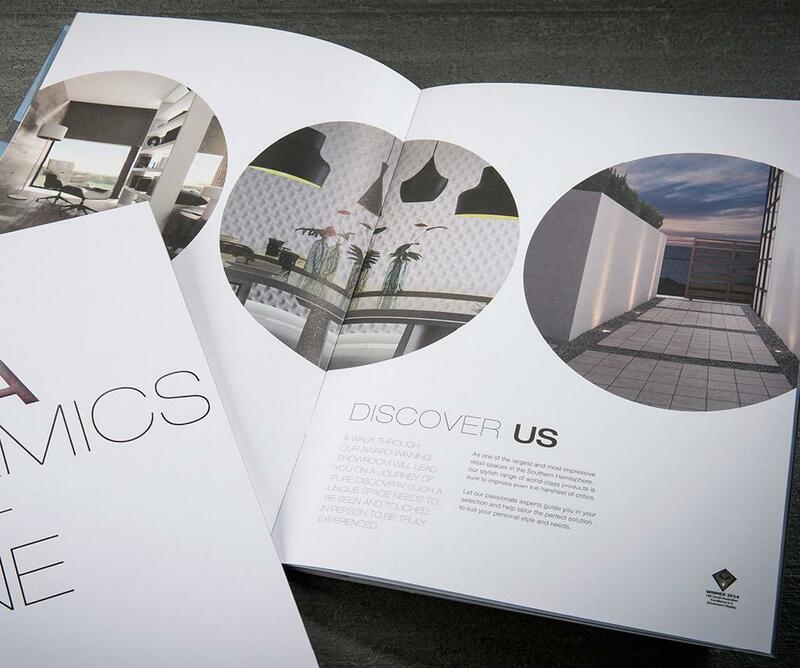 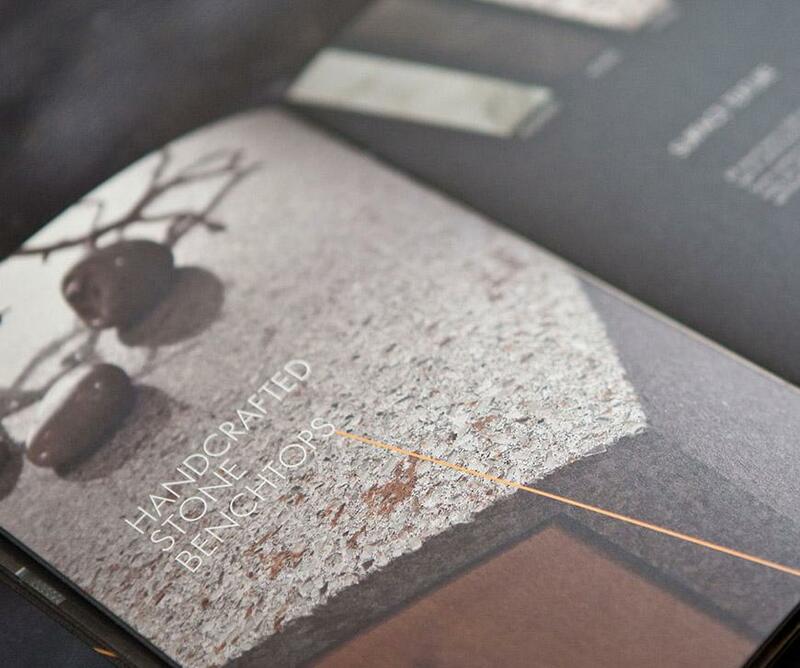 We also developed a series of related collateral including sales books, press ads and business cards. 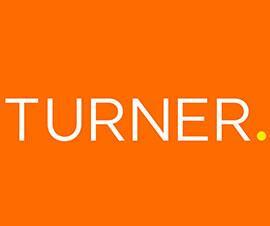 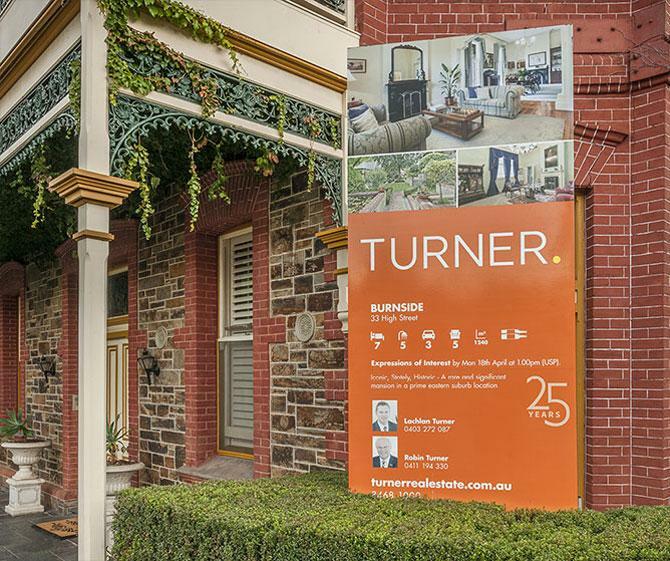 With our help, Turner Real Estate has remained a prominent name within the competitive real estate industry. 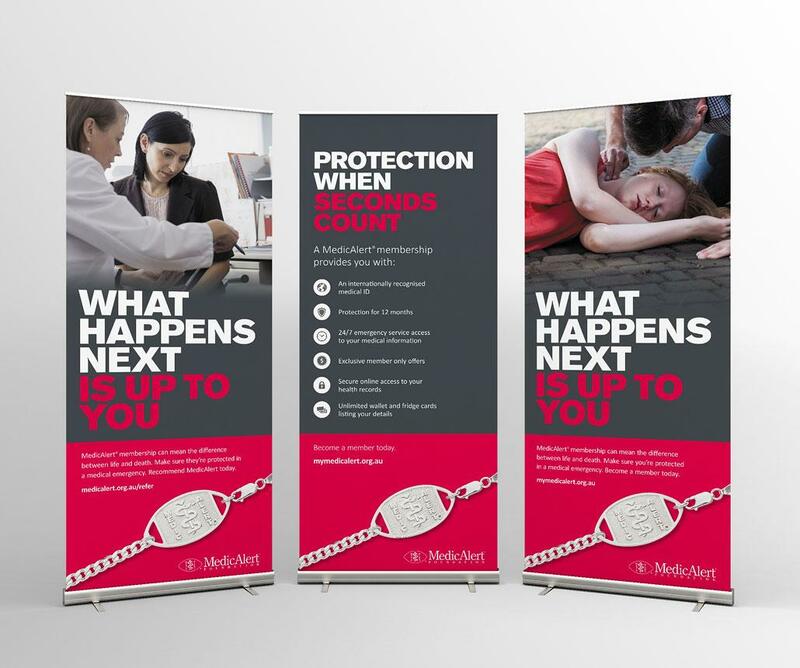 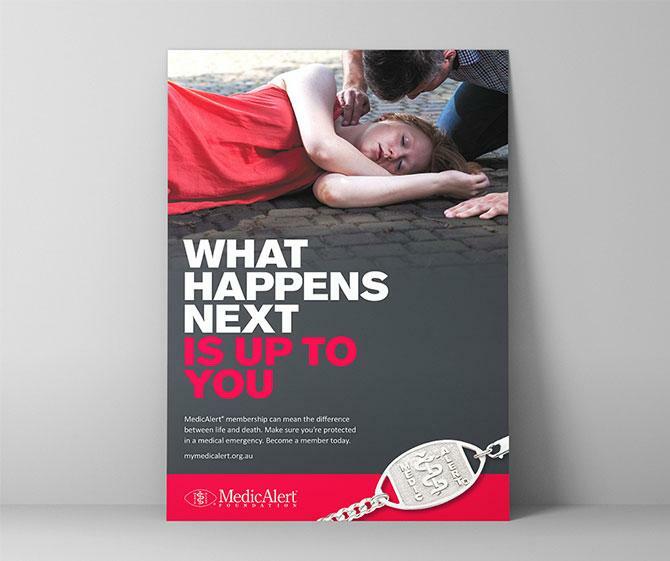 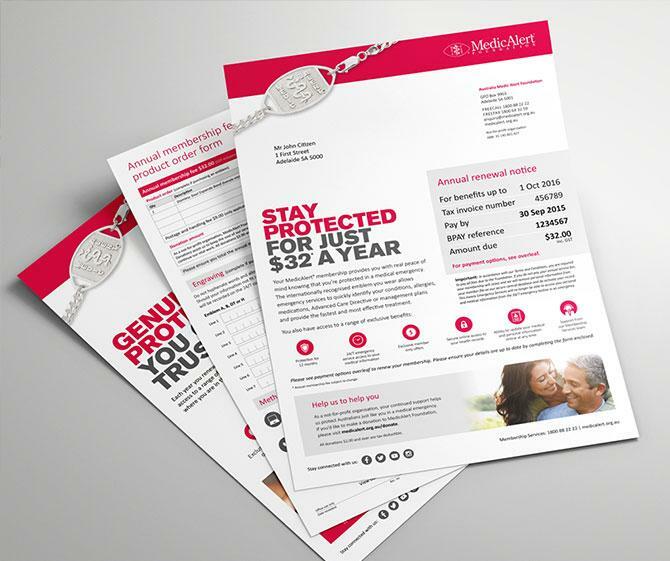 On the back of our successful six year relationship with the not-for-profit MedicAlert® Foundation, we were given the opportunity to give the brand a fresh new look. 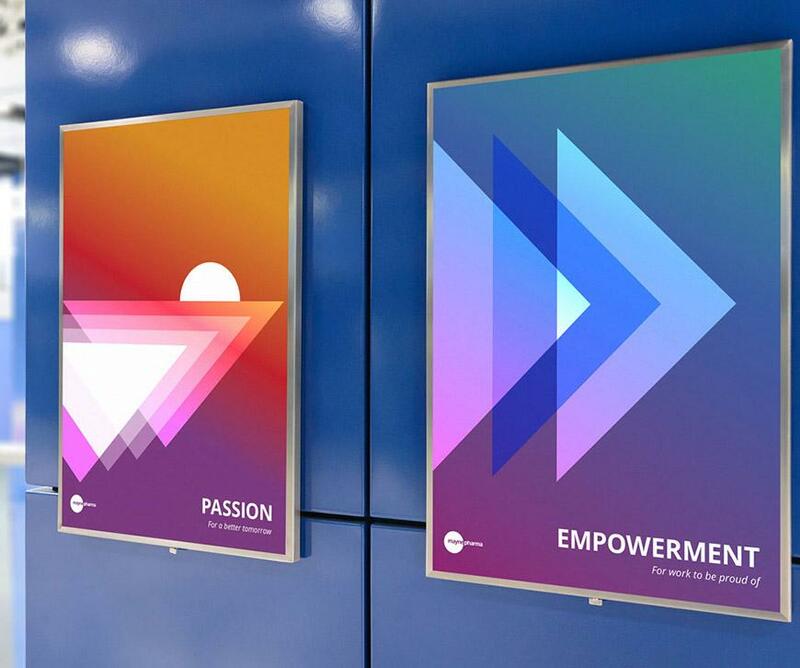 To launch this new identity, a campaign was rolled out nationally across online and in print, as well as outdoor and radio on the eastern seaboard. 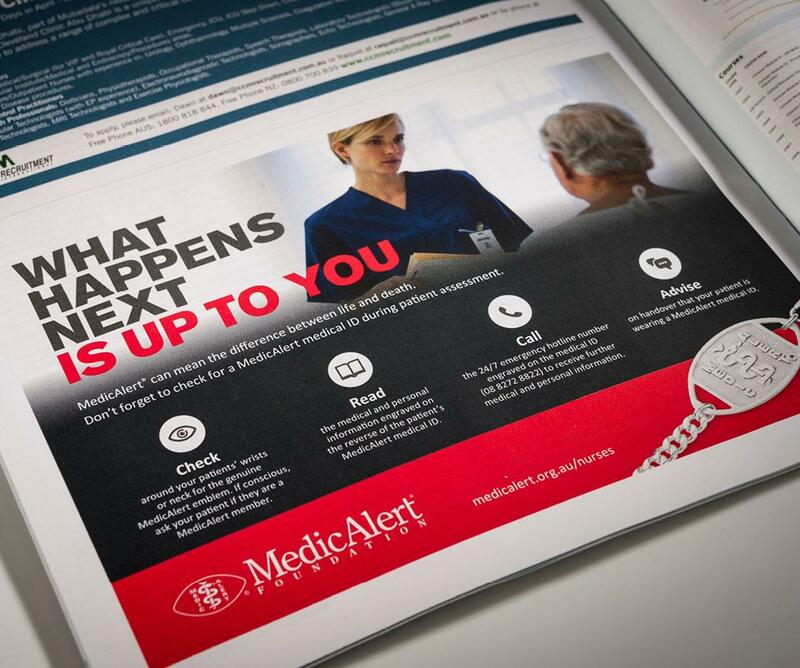 Using powerful and emotive messaging, we were able to demonstrate the benefits of being a MedicAlert member to a broader demographic. 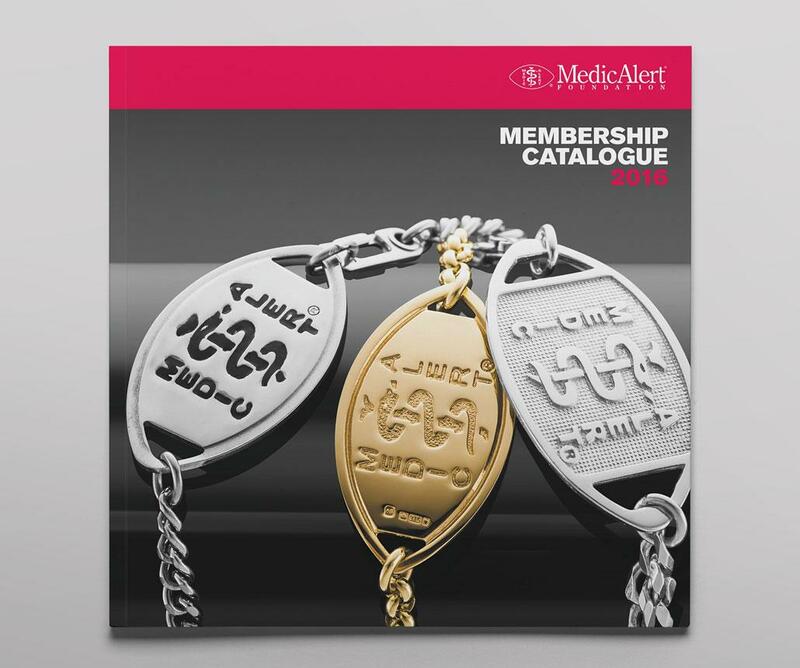 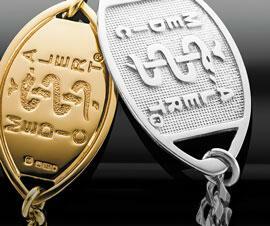 Today the Foundation continues to be seen as Australia’s most trusted supplier of medical identification jewellery. 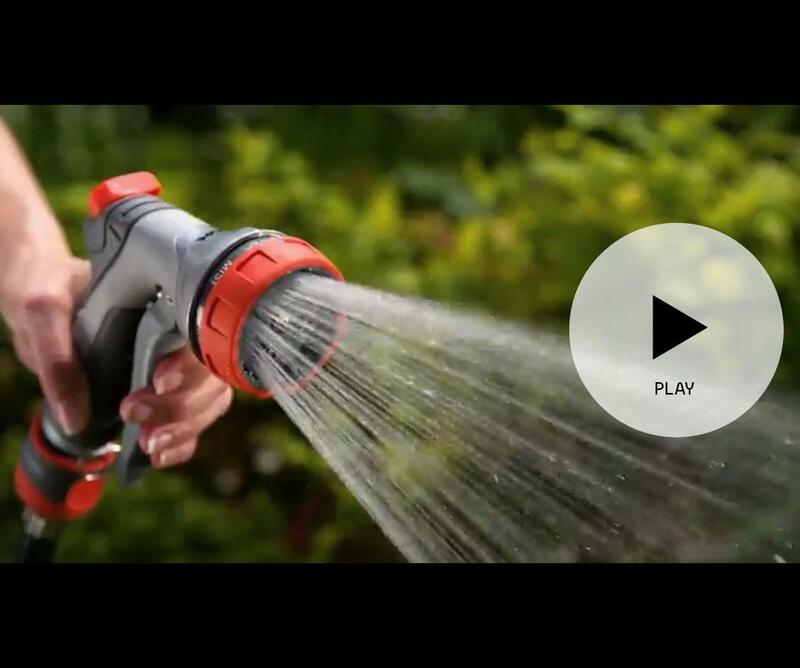 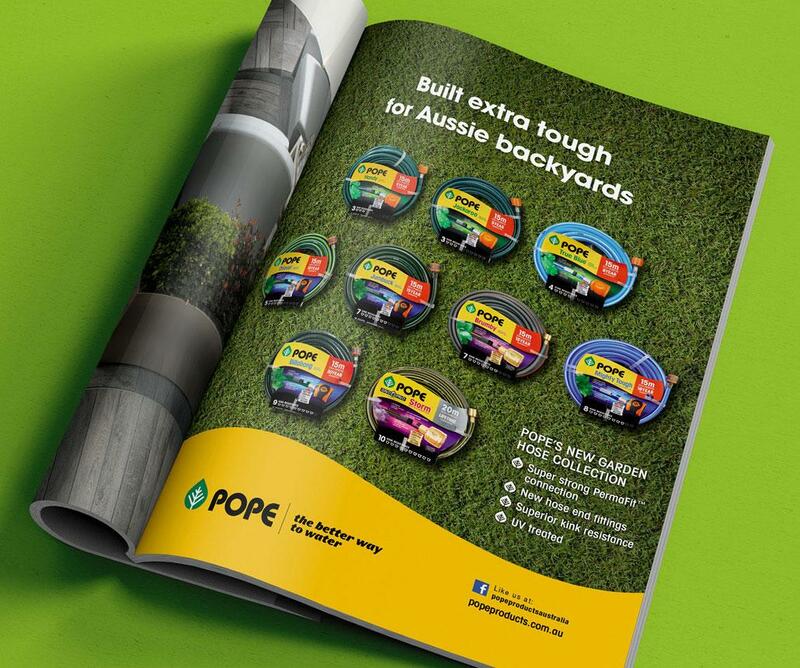 In 2016 we created and executed a national TV campaign to increase brand awareness and present Pope Products as the number one garden-watering brand. 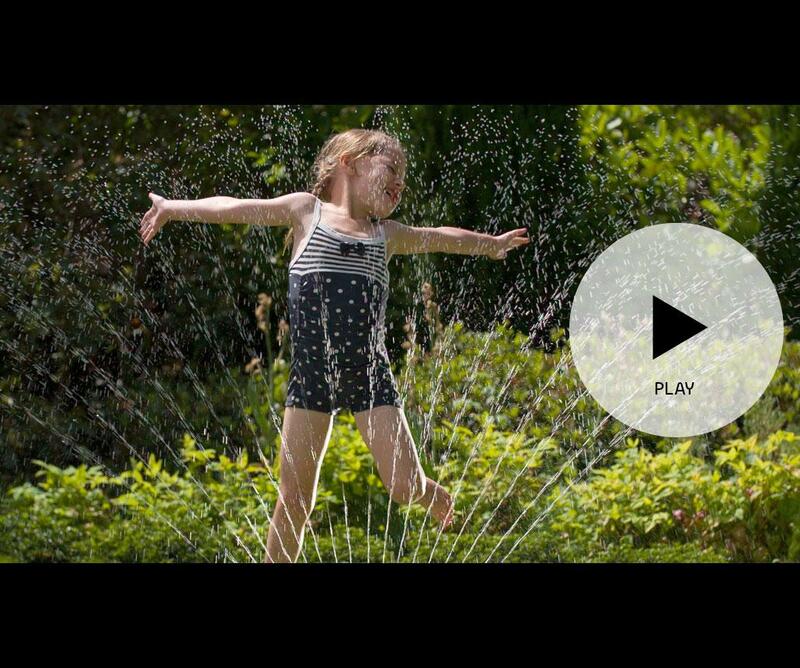 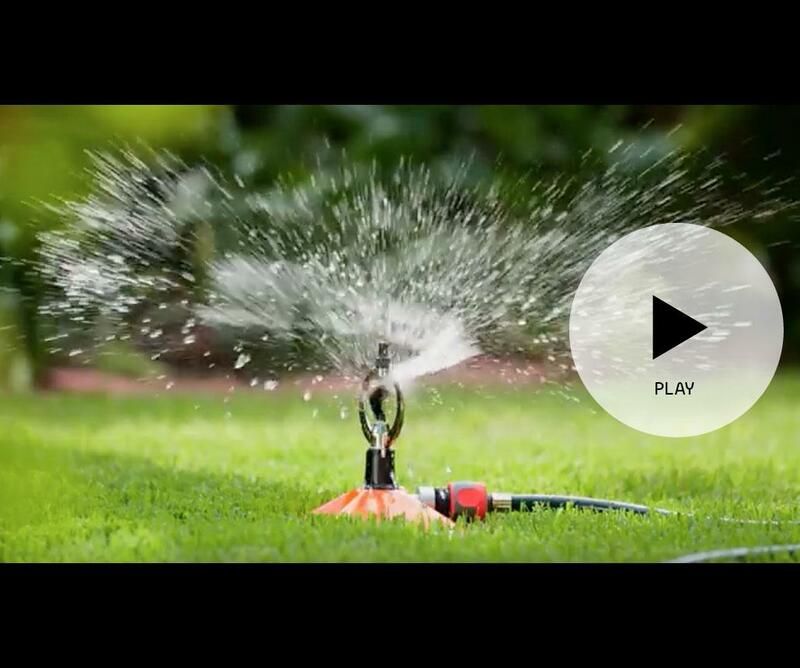 We conceptualised and executed the ‘Better Way To Water’ TV commercial, which aired nationally during prime viewing time. 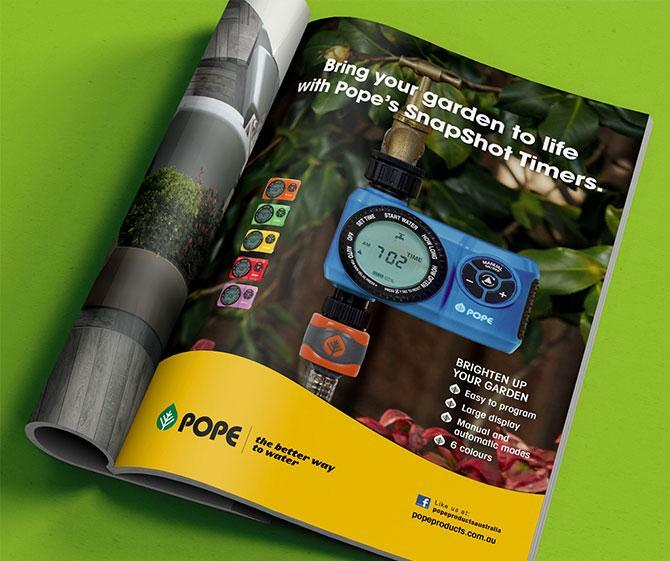 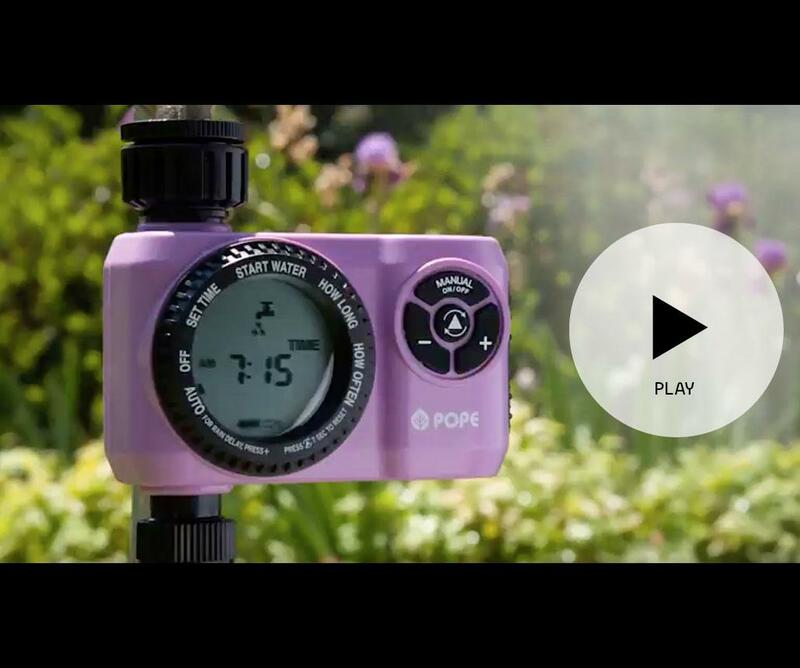 The catchy and memorable jingle paired with beautifully shot imagery has helped to keep the Pope brand top of mind across Australian households. 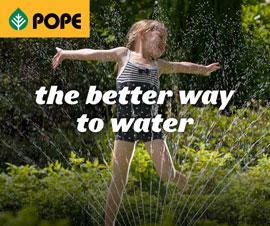 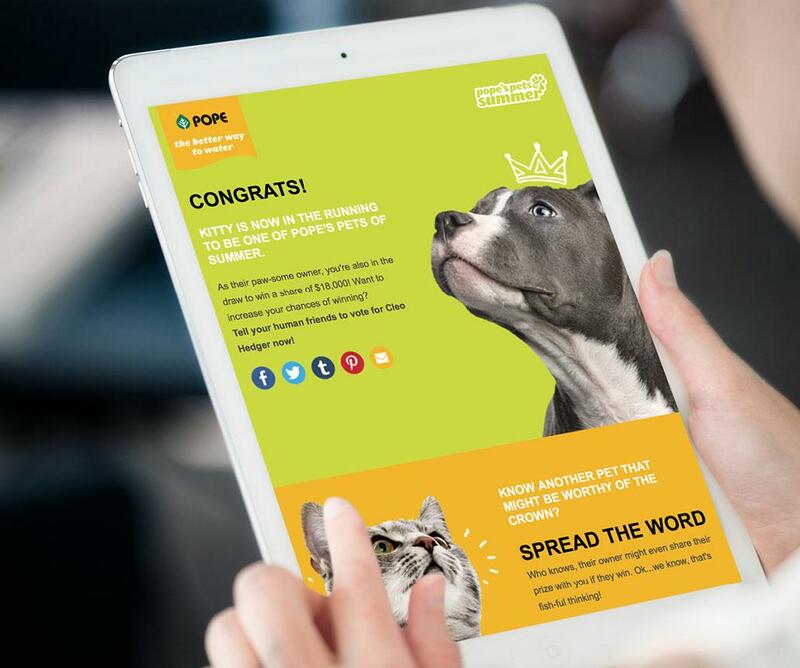 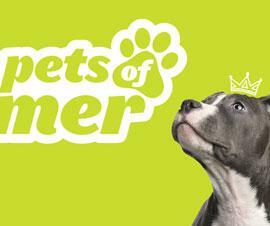 We created and executed ‘Pope’s Pets of Summer’ online competition during Pope’s pivotal summer sales period. 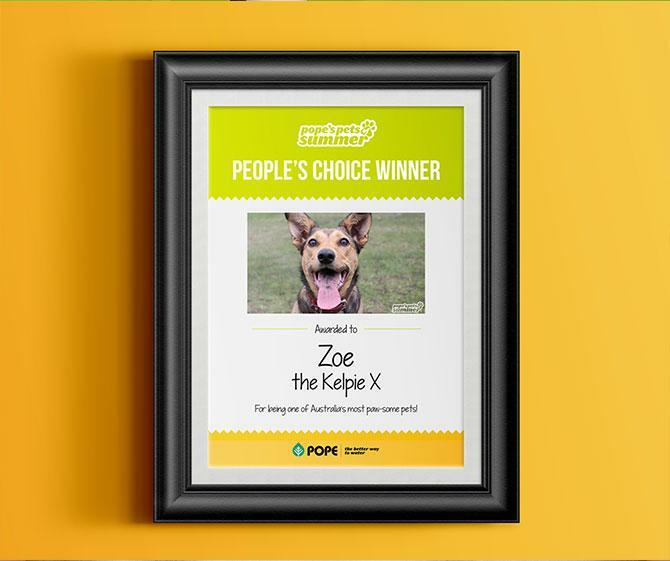 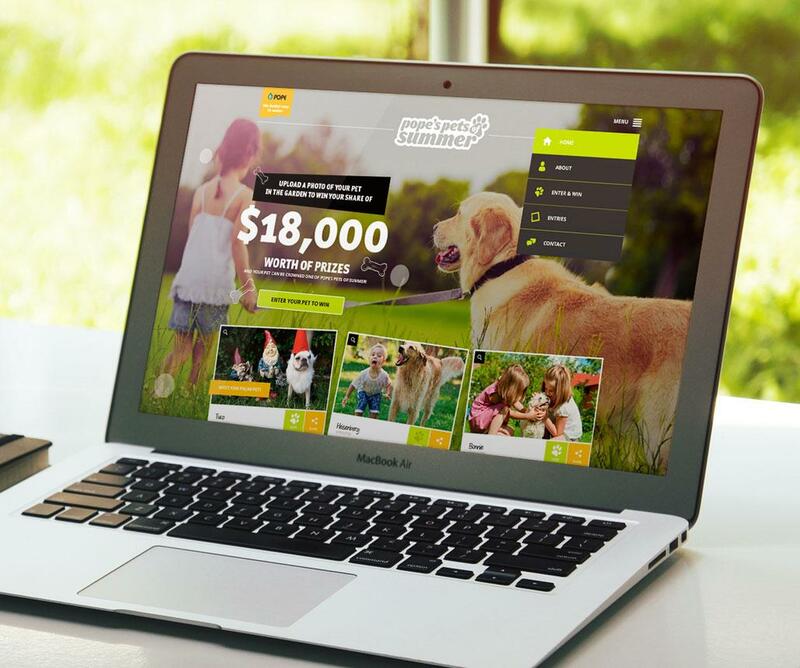 The highly shareable competition, supported by online and social media advertisements, gave Australians the opportunity to share a picture of their pet in the garden for their chance to win a share of $18,000. 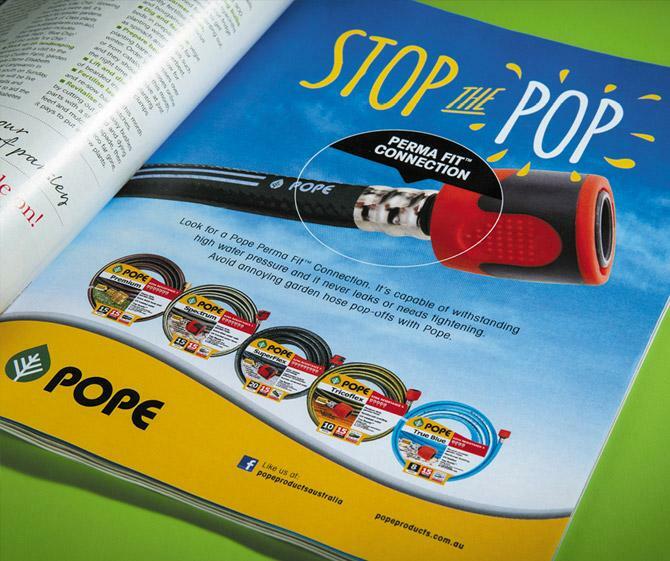 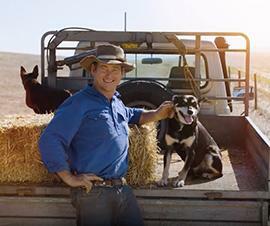 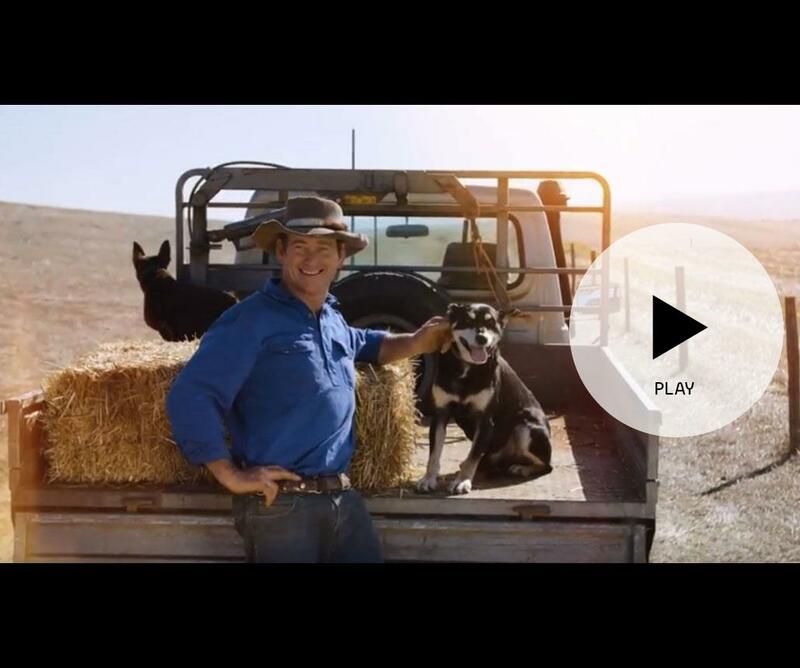 Social media engagement and enquiries have skyrocketed on the back of the campaign’s success, with more Australians viewing Pope Products as a quality Australian brand. 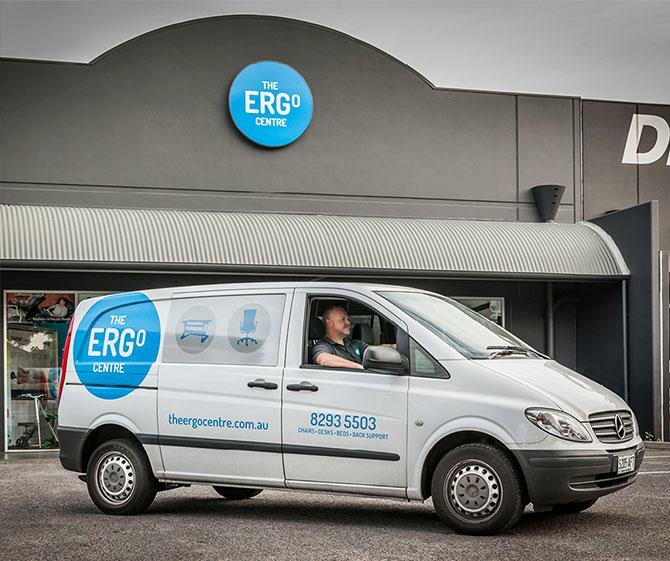 We created a fresh identity for an Adelaide-based ergonomic furniture store. To give the business a modern and professional look, we came up with a new name and developed an accompanying logo, website and collateral. 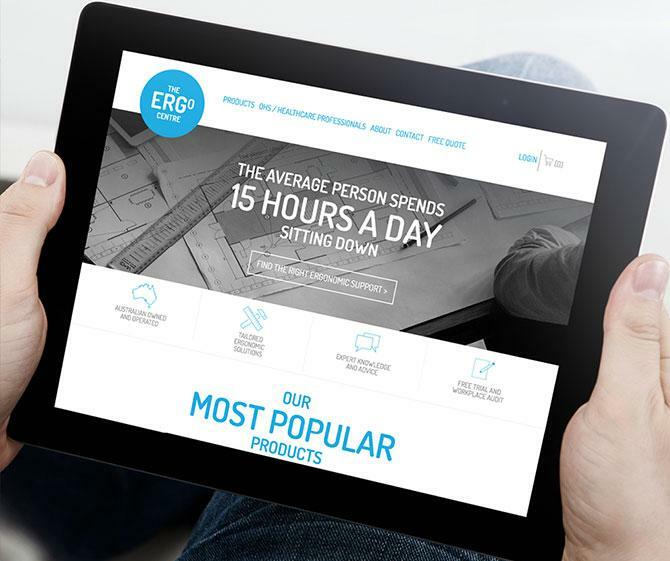 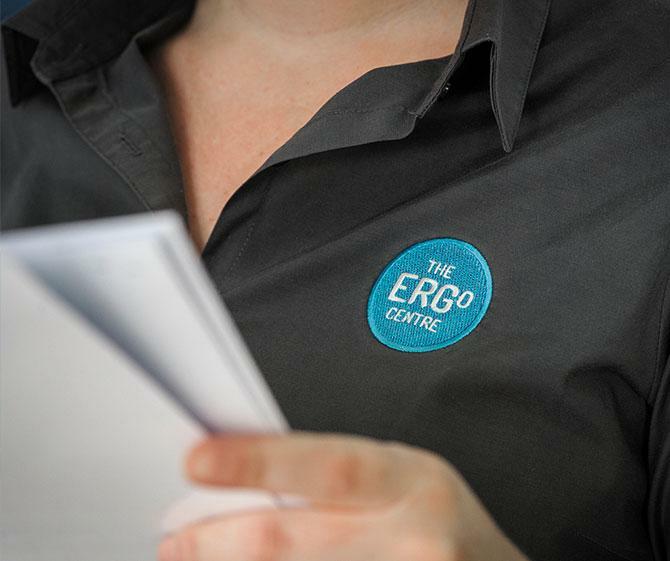 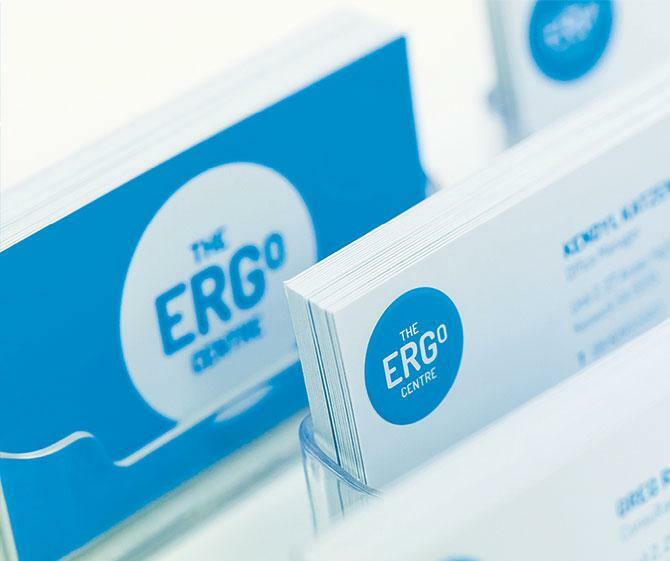 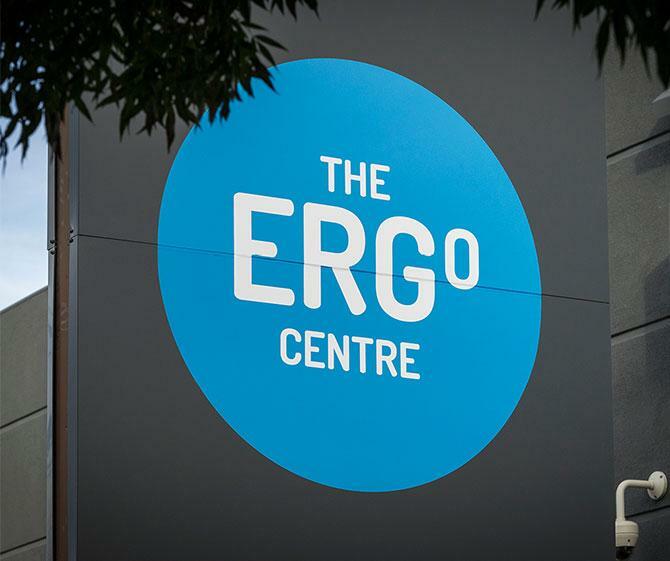 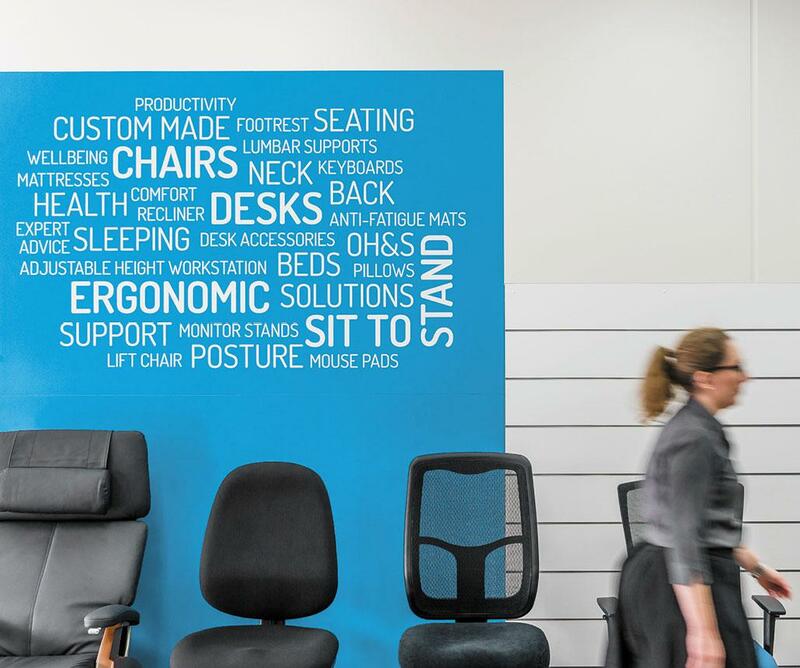 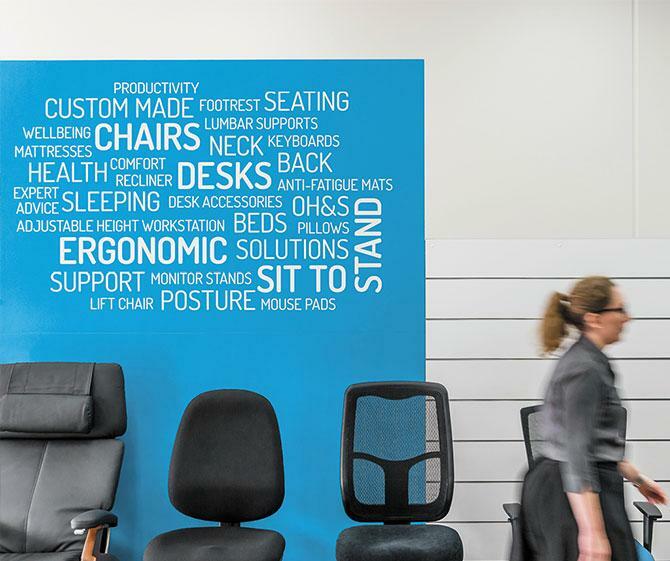 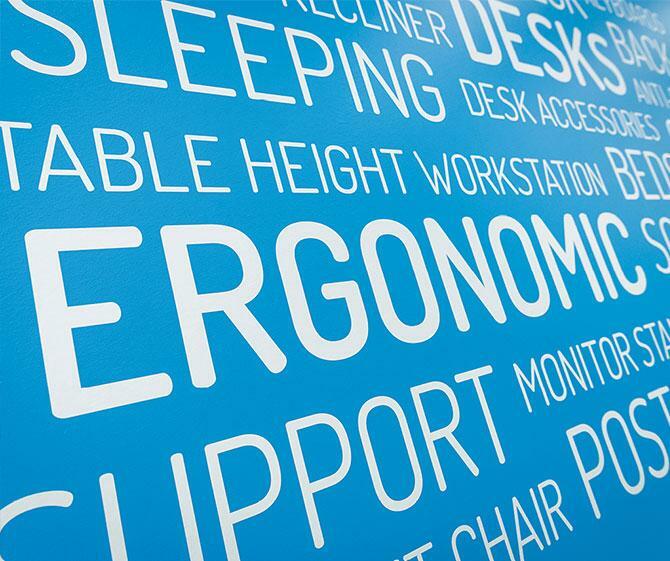 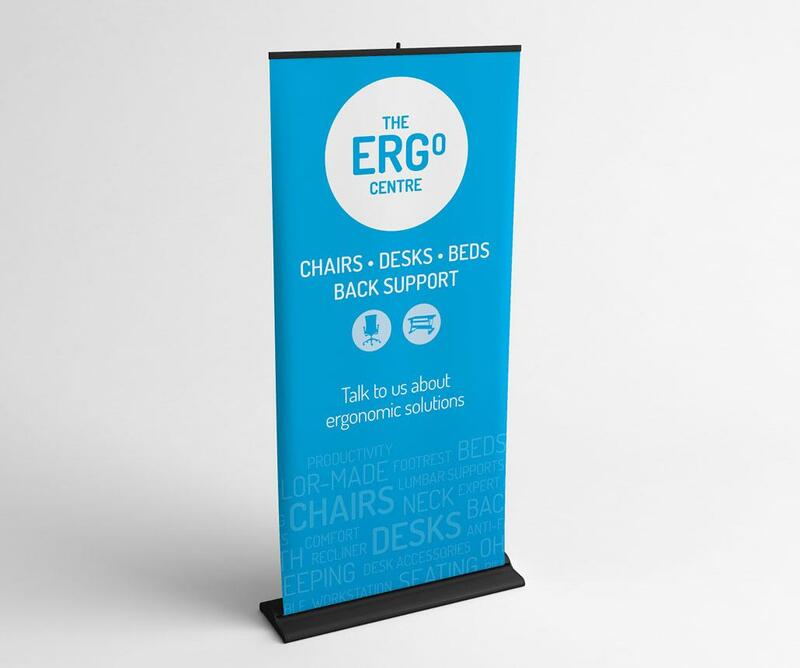 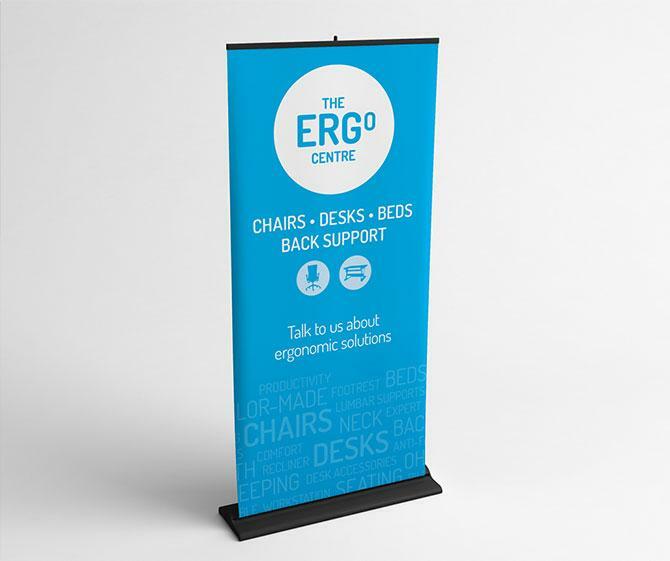 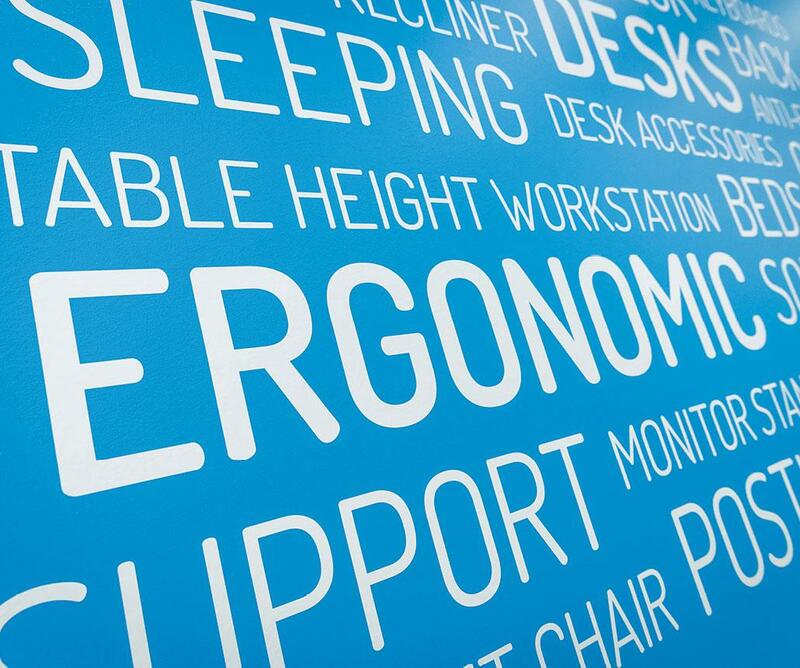 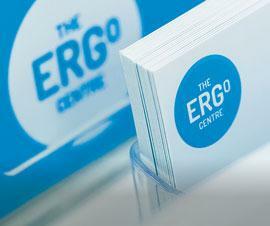 With our help, The Ergo Centre continues to attract new clients and remains a competitive player in the growing ergonomic retail industry. 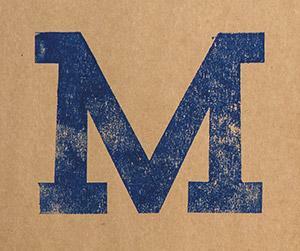 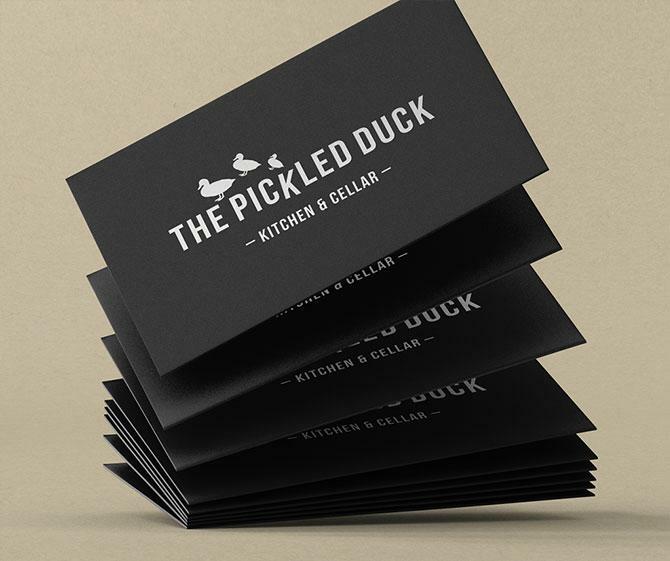 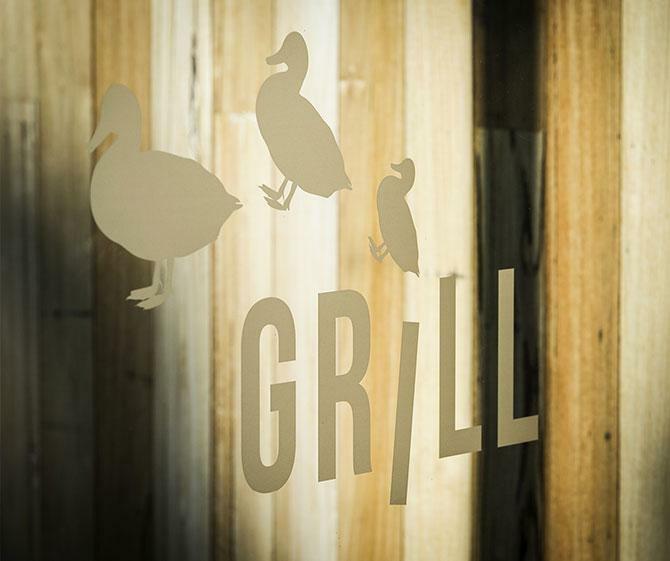 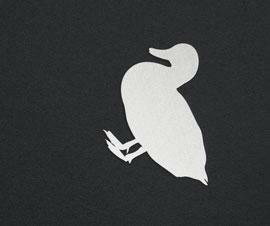 We created a new identity for a quirky kitchen and cellar in Adelaide’s northern suburbs. Along with devising a name and logo, we also developed a range of accompanying brand assets including menus, wayfinding signage, chalkboards and glass frosting. 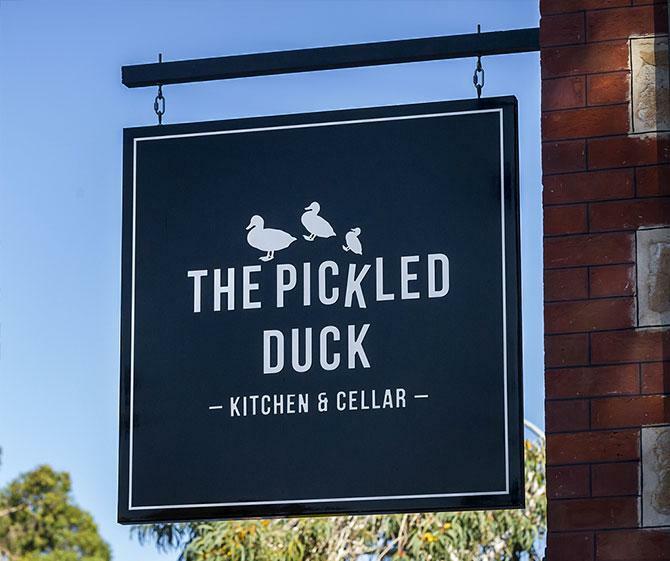 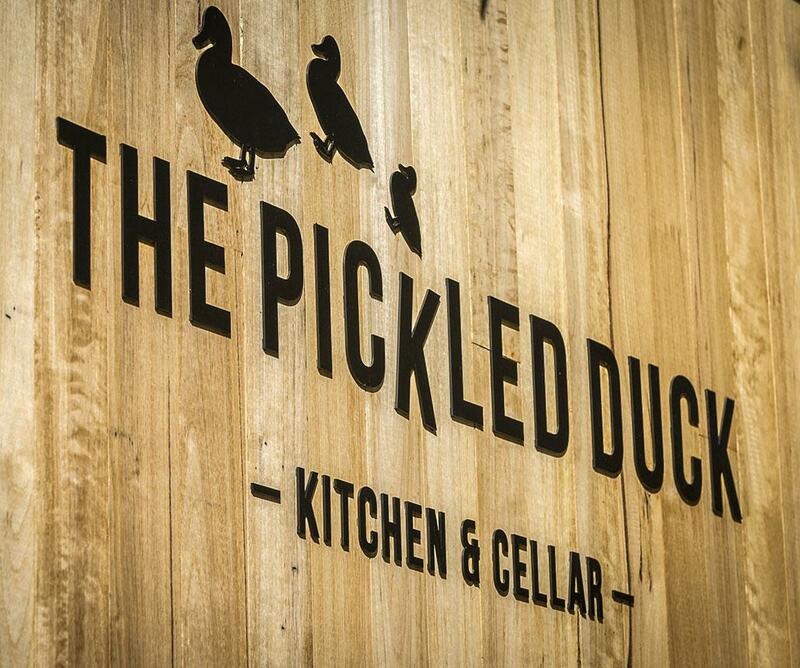 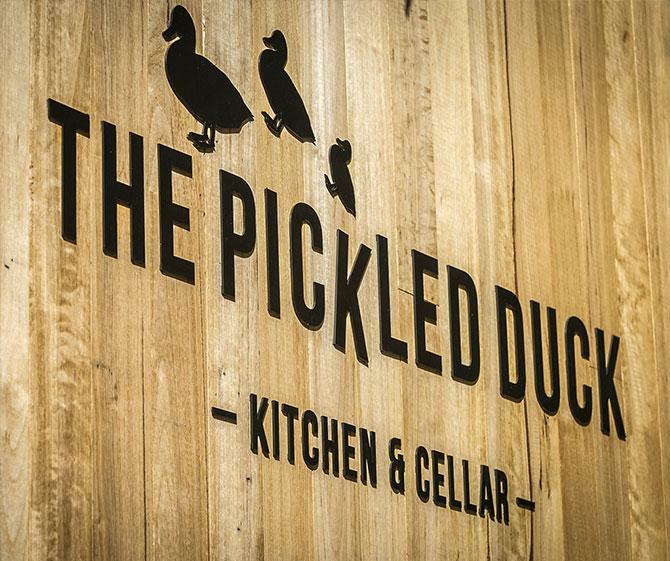 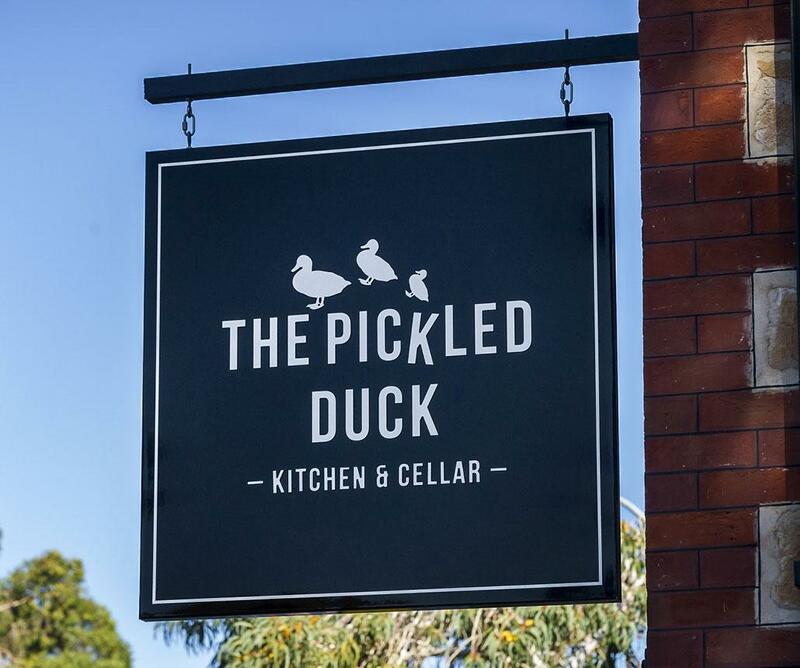 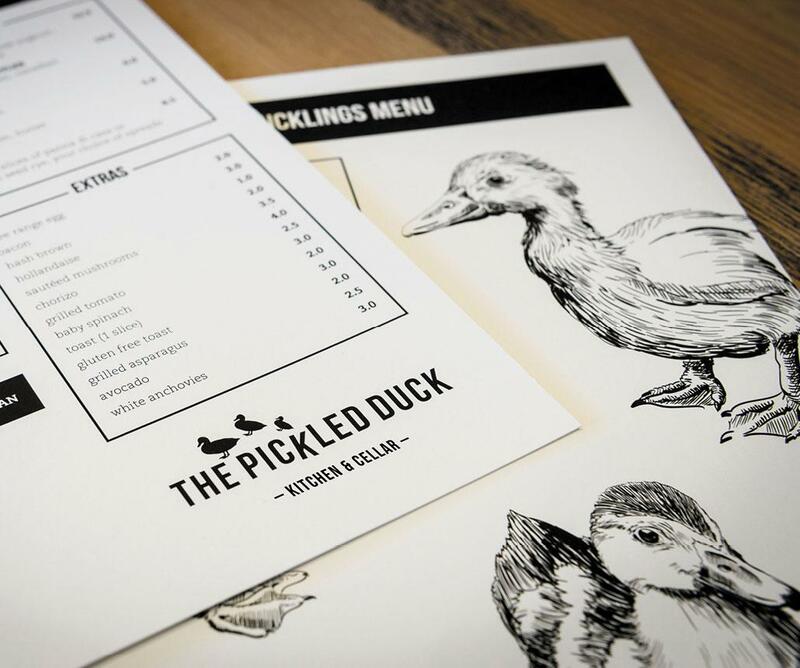 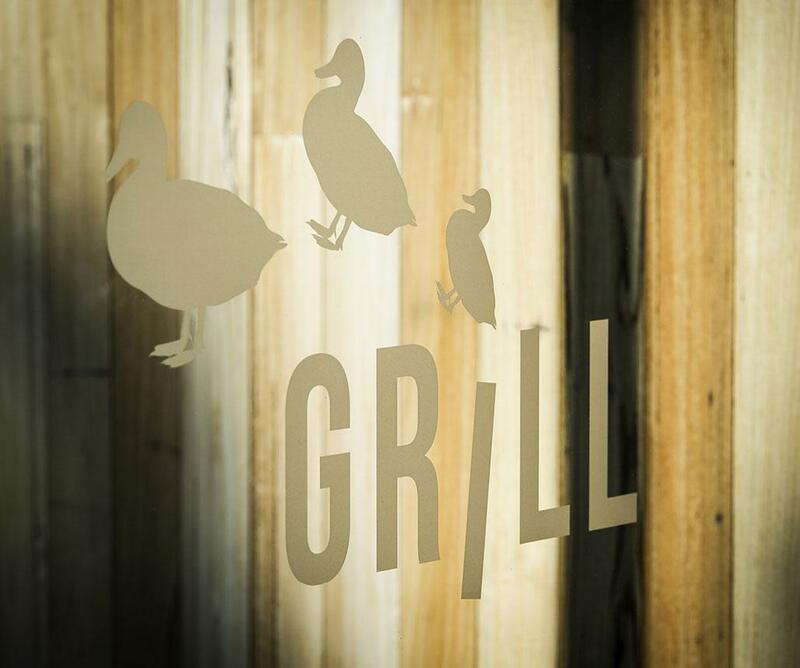 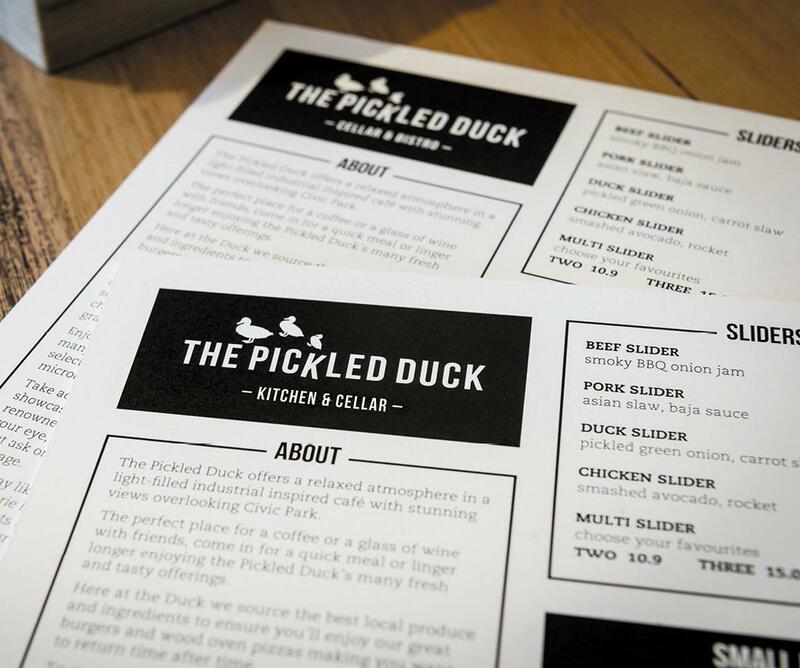 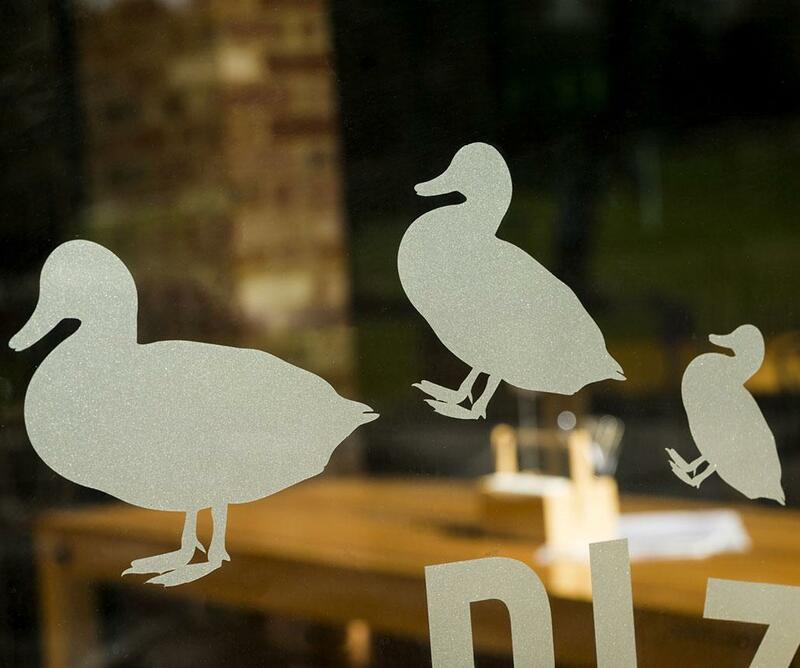 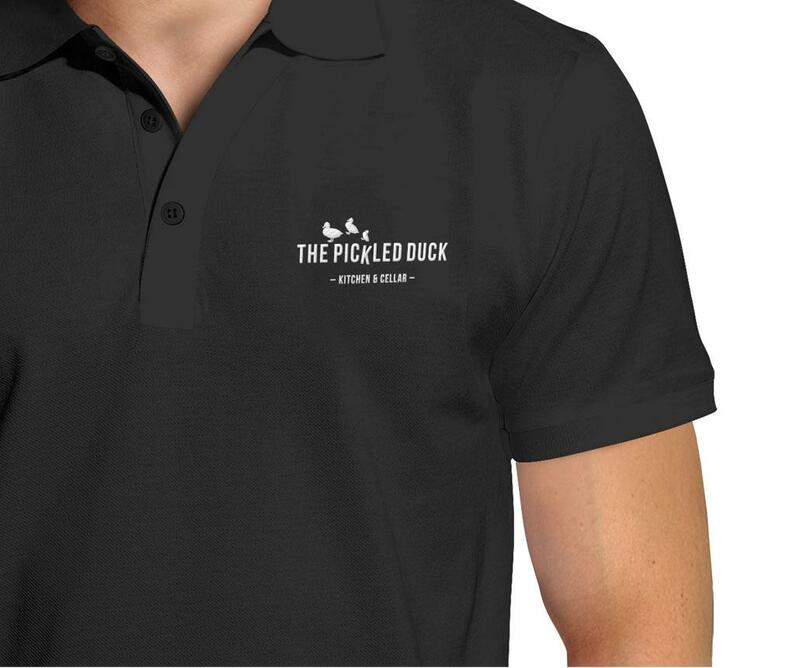 With our help, The Pickled Duck has become a popular dining spot that’s continuing to attract more interest throughout South Australia’s bustling restaurant scene. 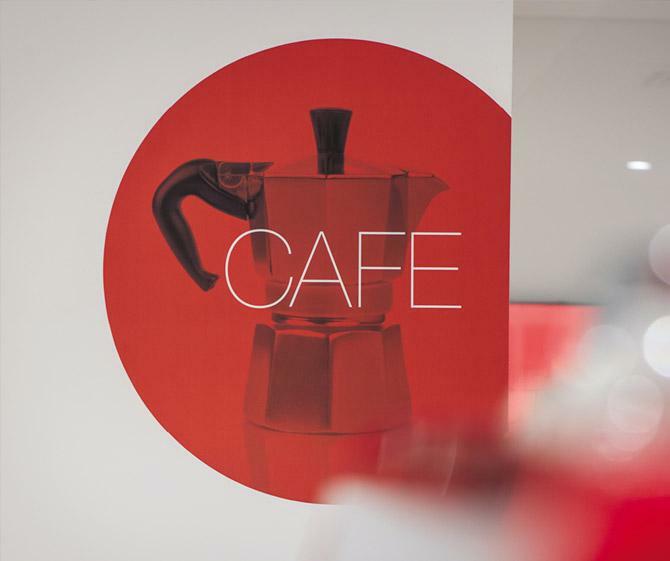 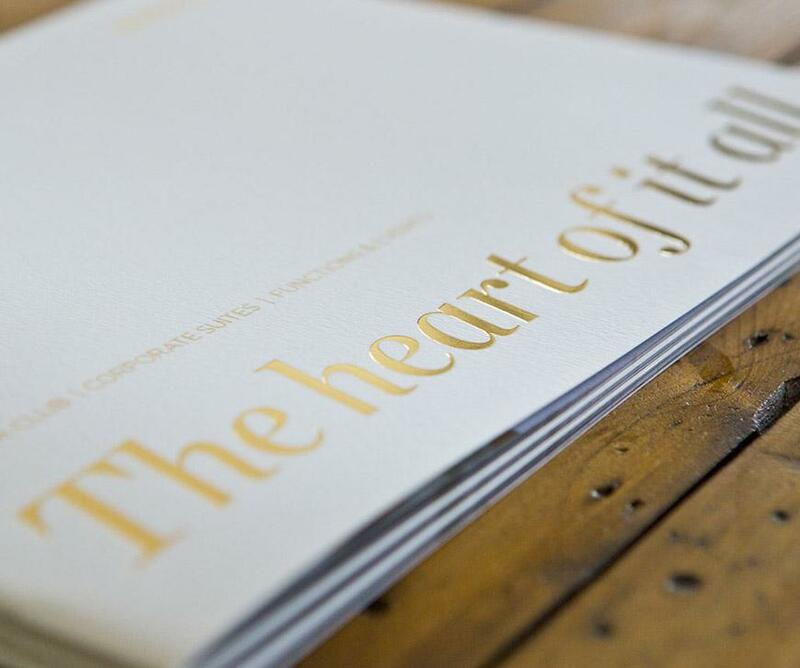 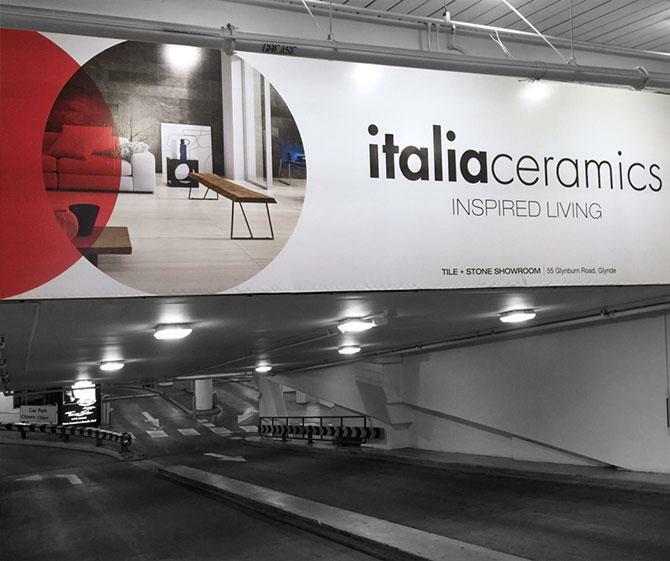 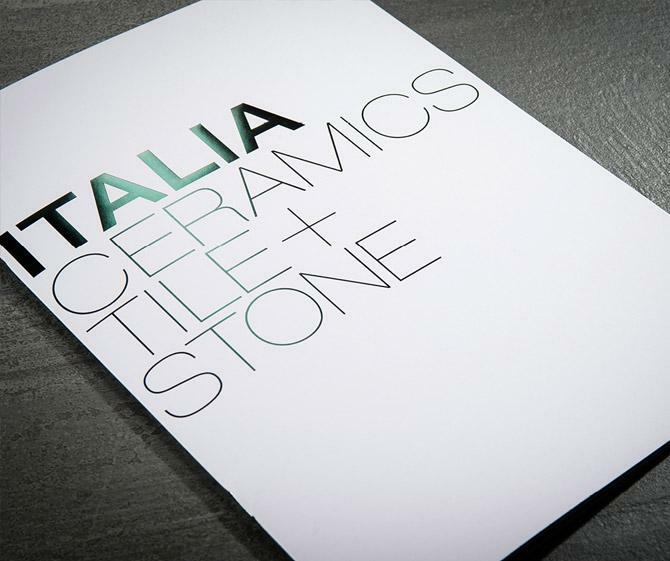 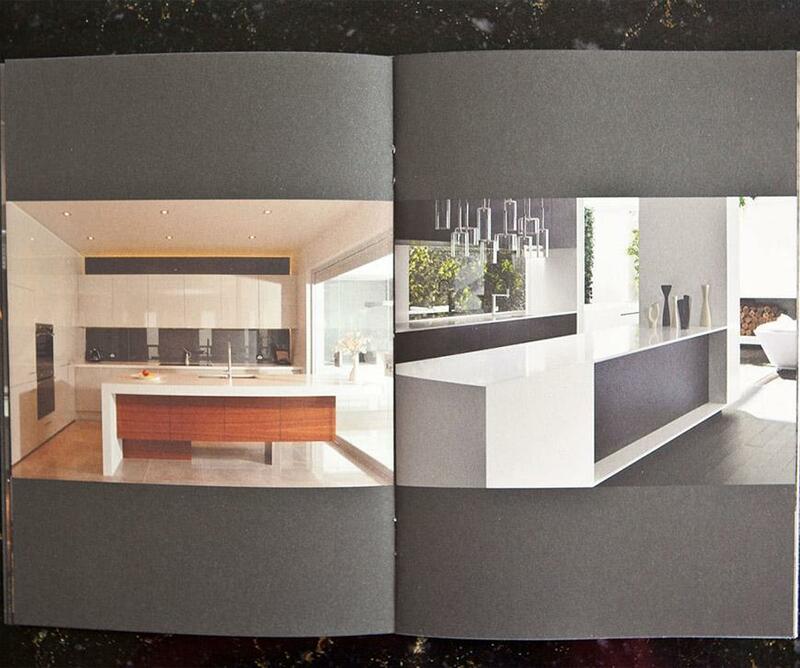 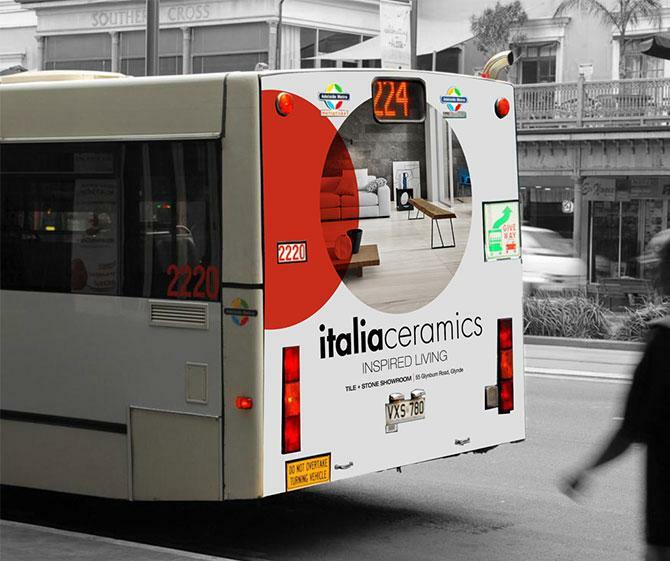 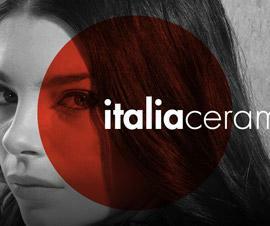 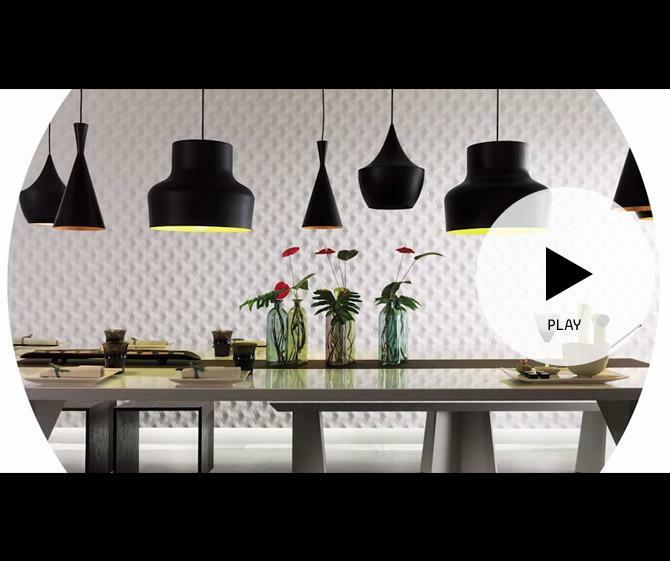 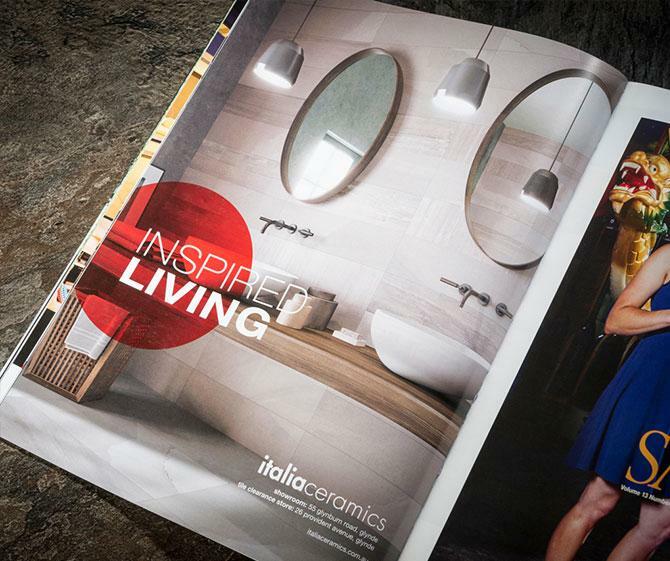 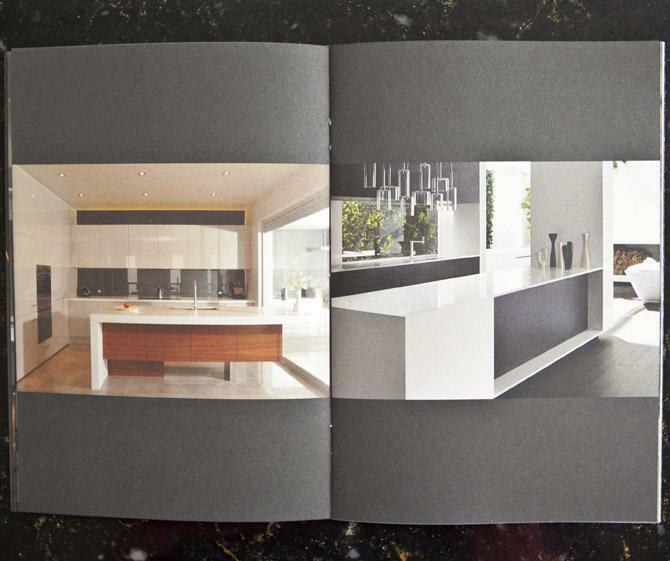 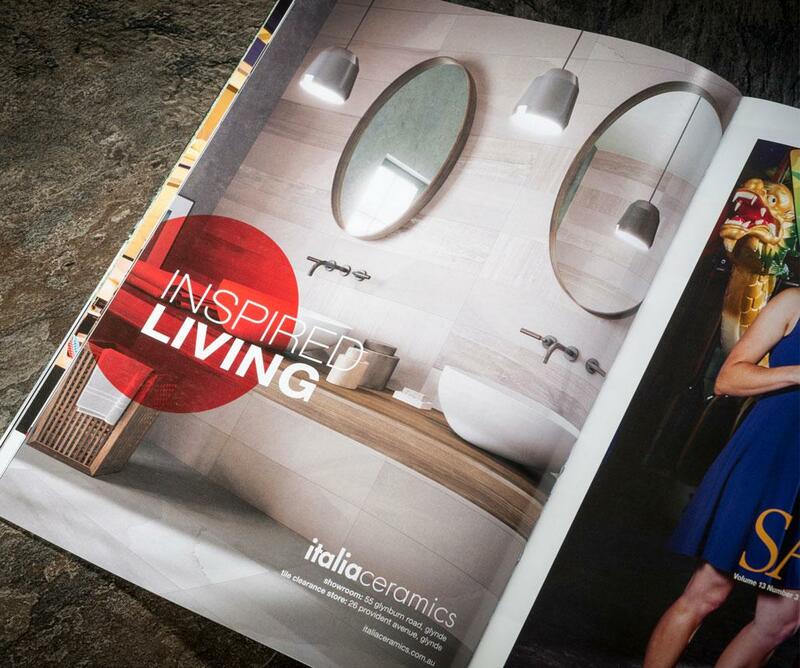 We played a key role in refreshing the Italia Ceramics brand and promoting their new-look showroom. From designing new wayfinding signage, wall graphics and point-of-sale material, to creating TV, print, press, billboard and bus-back ads, we did it all. 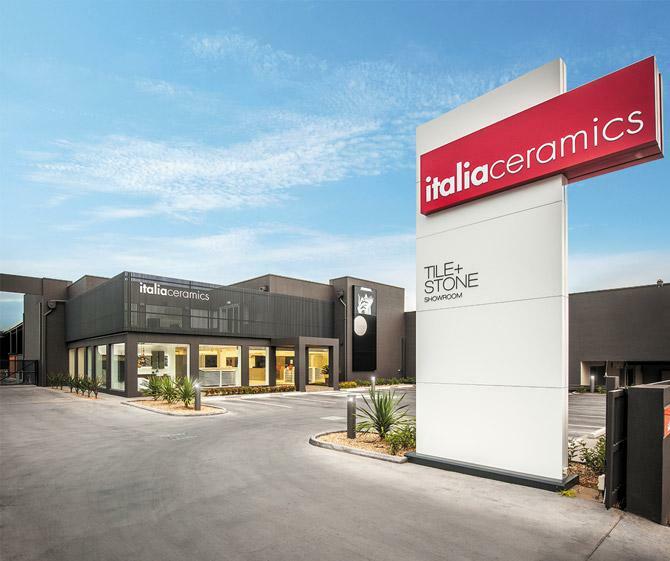 Today Italia Ceramics has become renowned for its one-of-a-kind showroom, and has even gone on to win a Housing Industry Association (HIA) award for Excellence in Showroom Design. 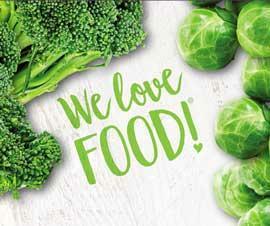 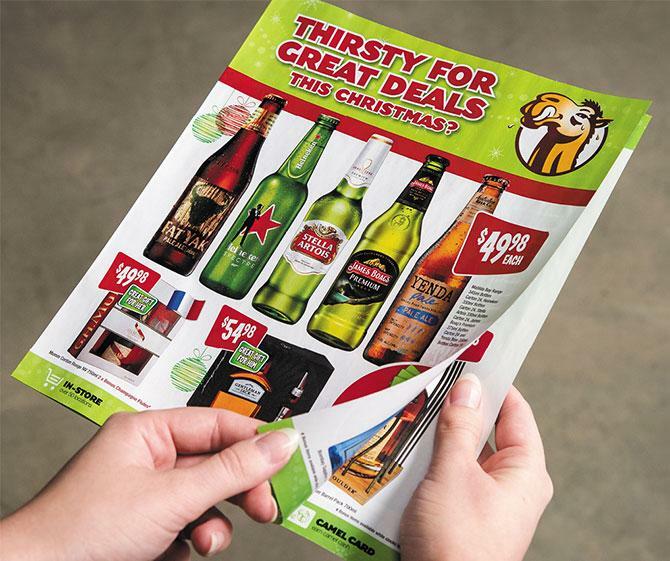 We provide a range of regular advertising and communication solutions for the Chapley Group stores. 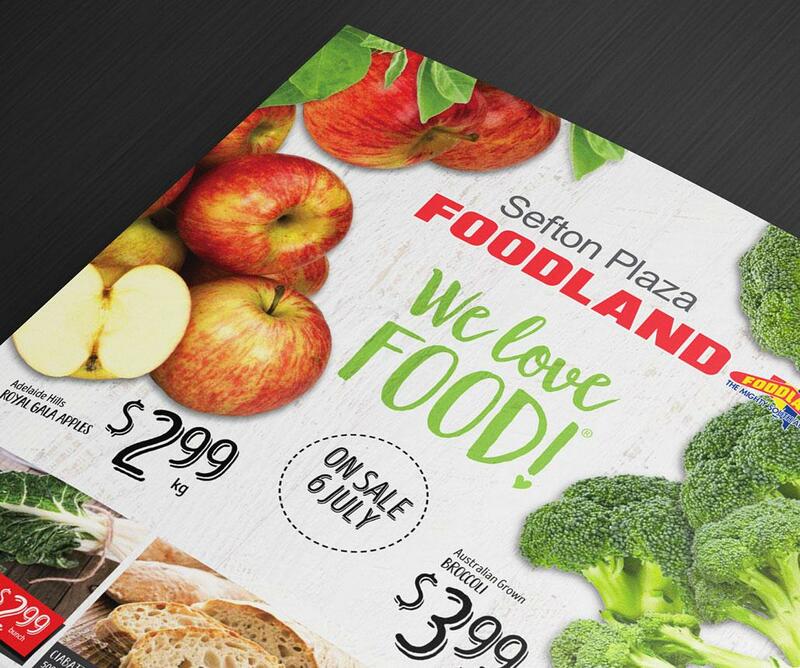 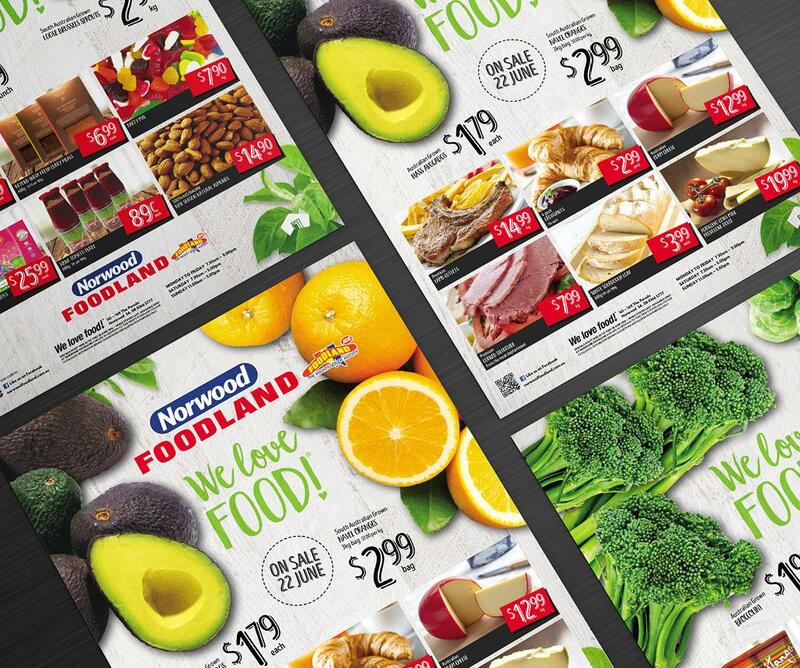 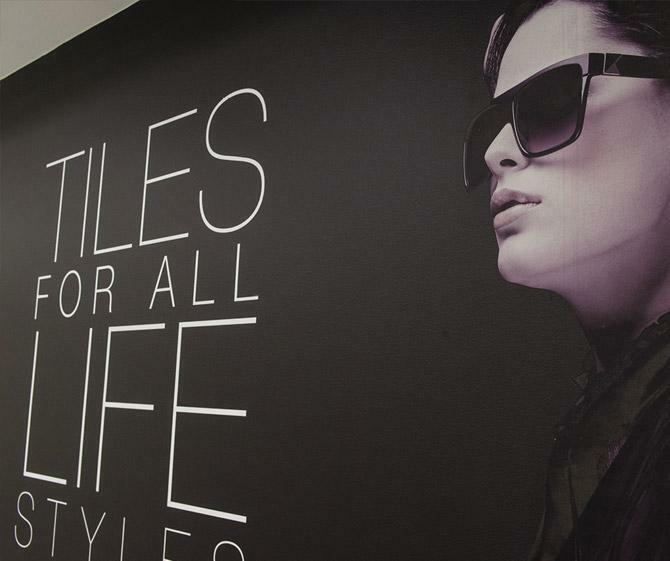 This includes print services such as catalogue production, along with press advertising, in-store signage, cinema advertising, website design and maintenance and social media management. 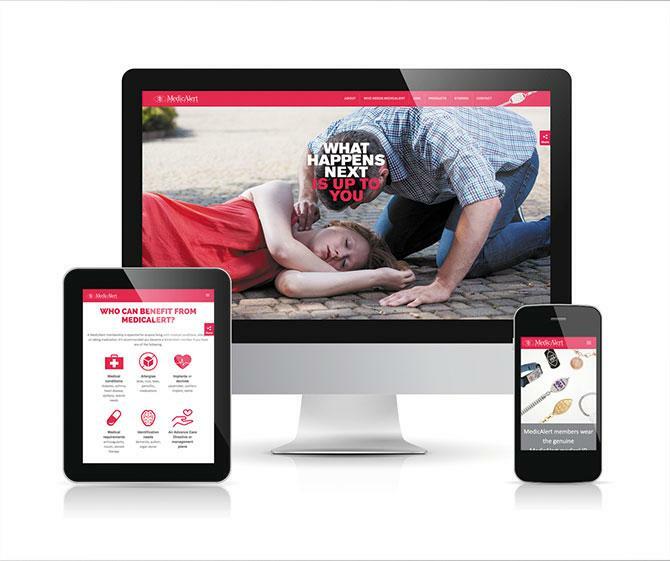 Our ongoing work has helped to position Chapley Group’s award-winning stores as reliable customer-focused retailers, and the brand’s online engagement is continually increasing. 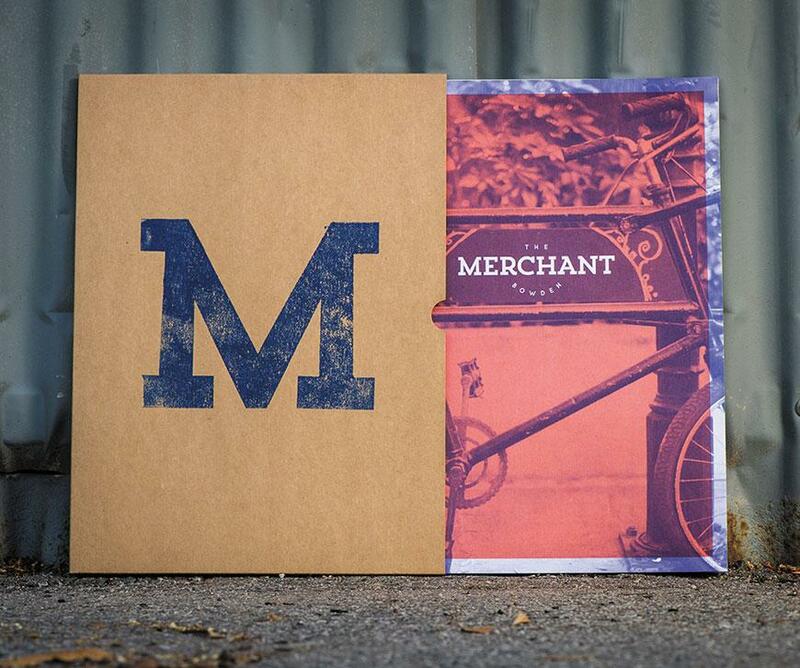 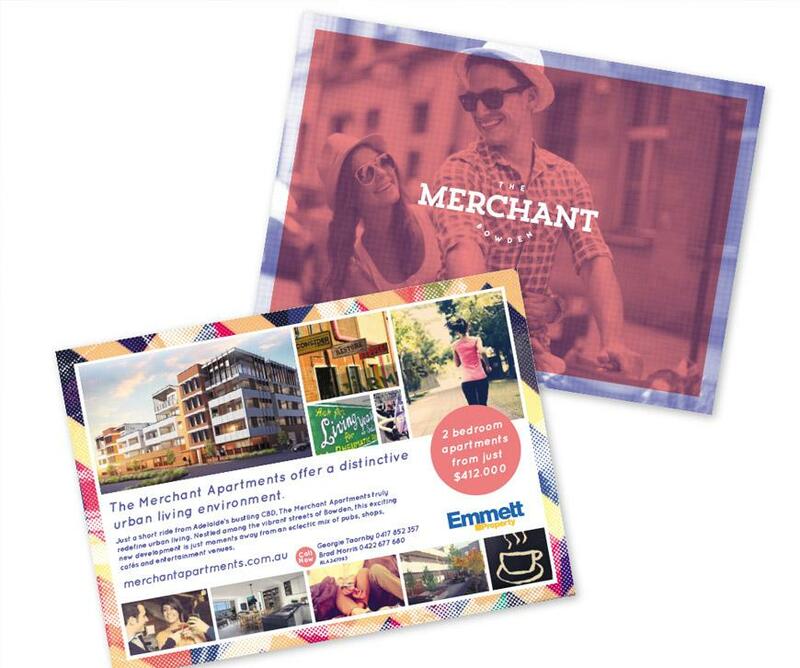 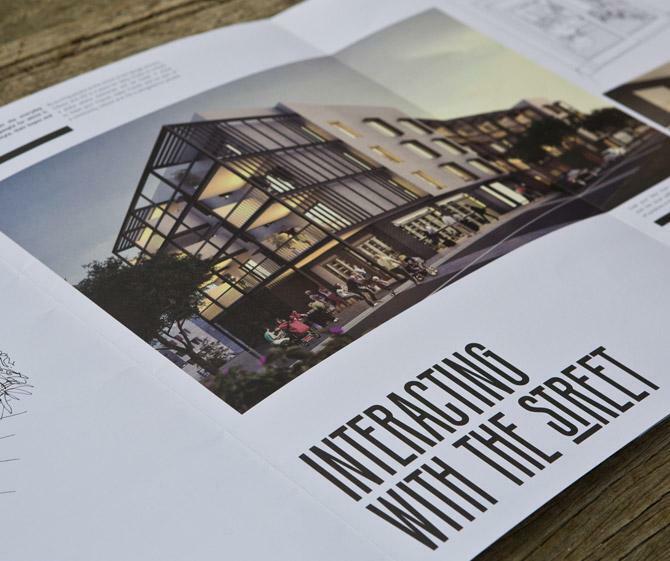 We created a new brand identity for an Emmett Property development in Bowden, now known as The Merchant Apartments. 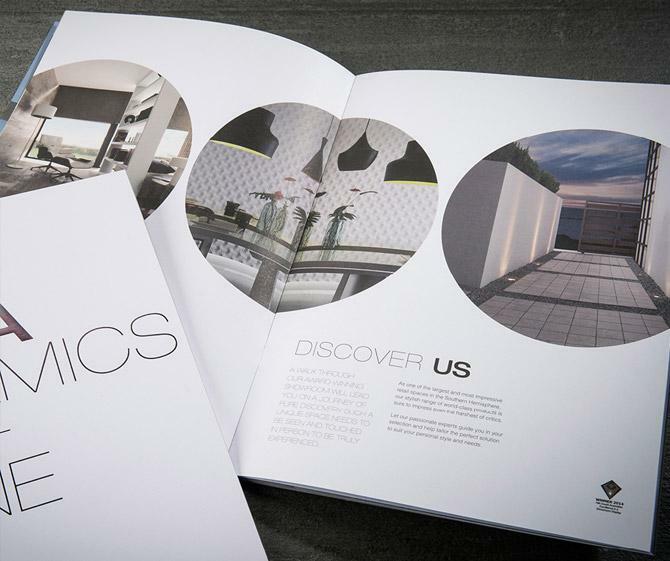 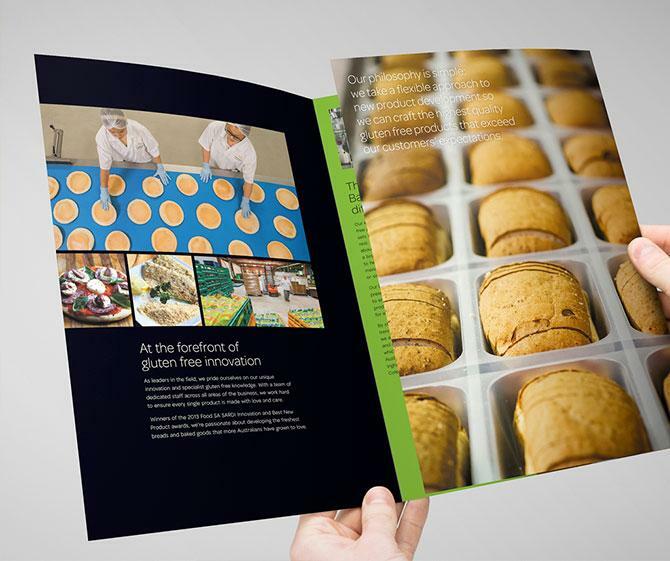 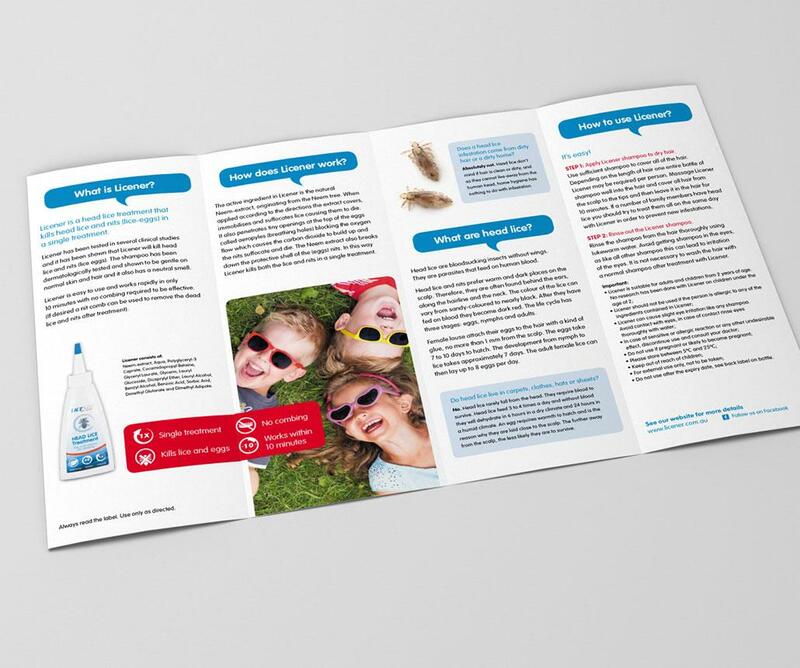 All marketing collateral for the brand, from the logo and website to brochures and beyond, was carefully produced to give an urban and environmentally conscious feel. 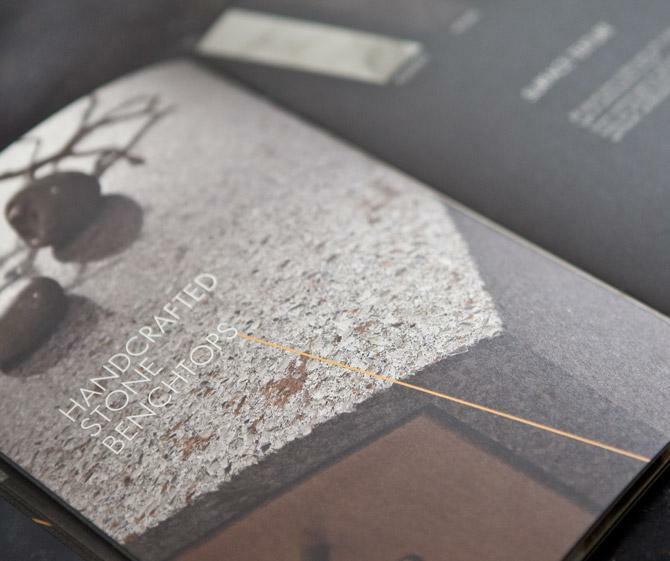 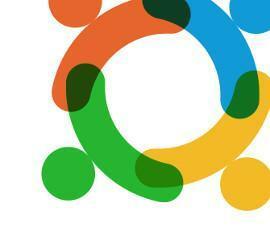 With our help, the project entirely sold out within nine months of its release. 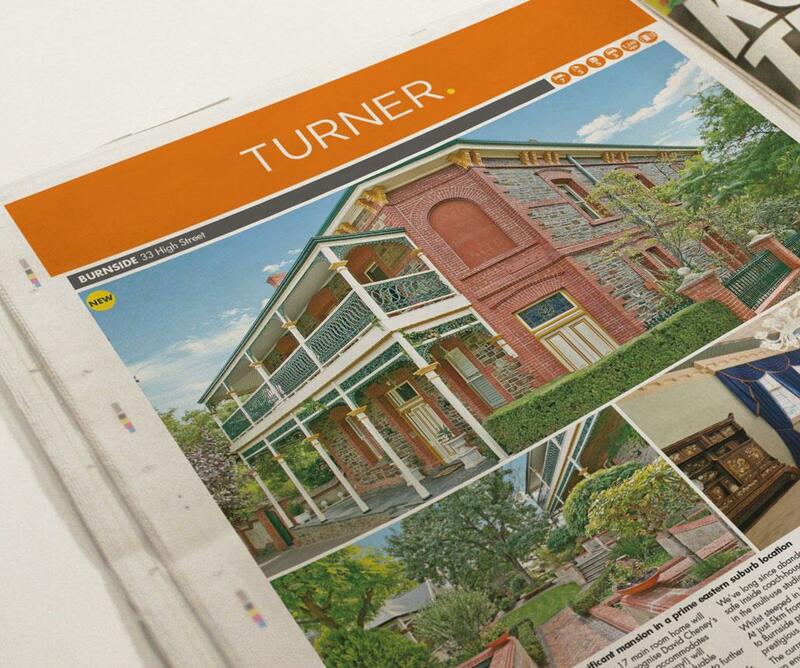 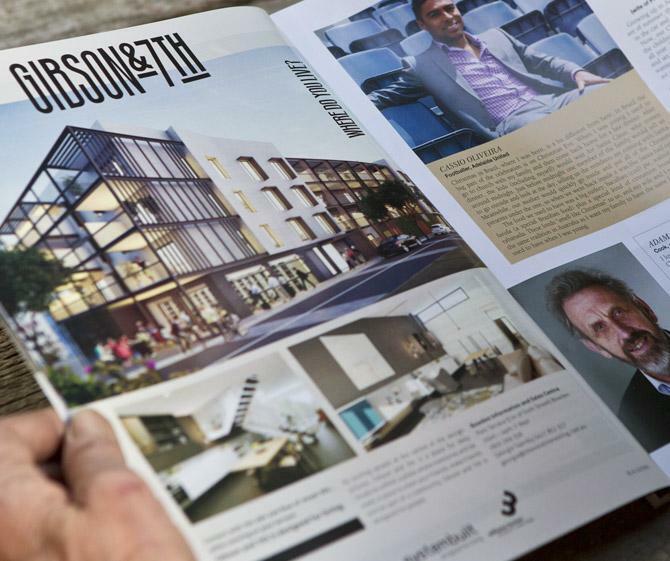 This success has further cemented our team as specialists in property development marketing. 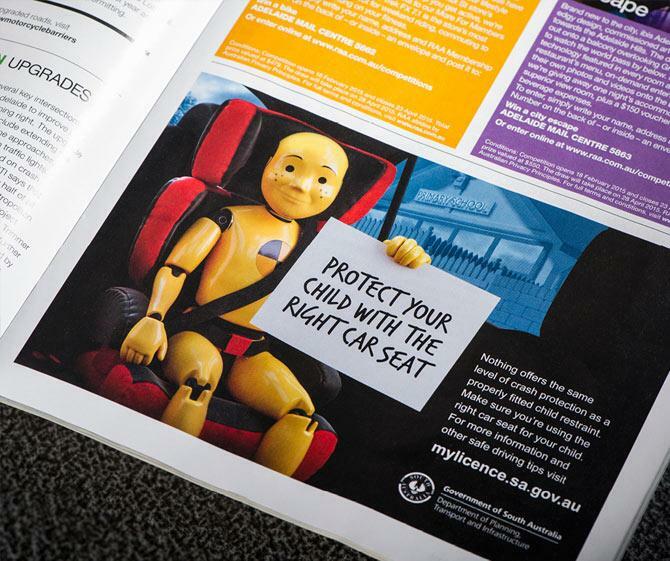 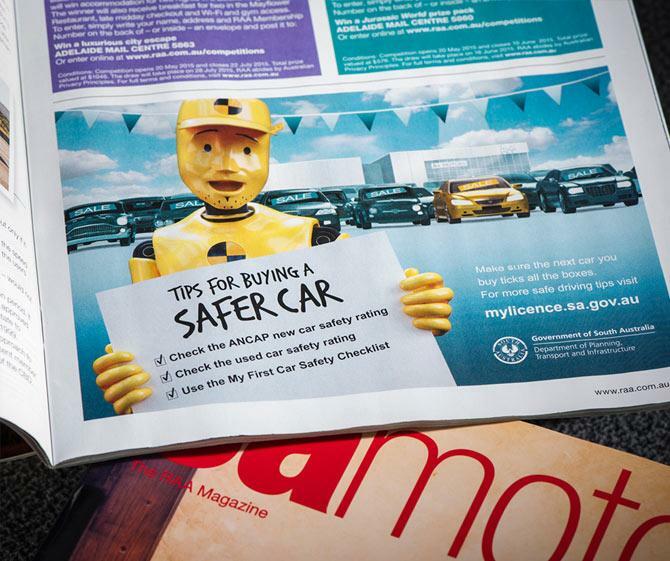 Taking an integrated approach, we developed a series of safe driving tips to educate South Australian motorists about important road rules. 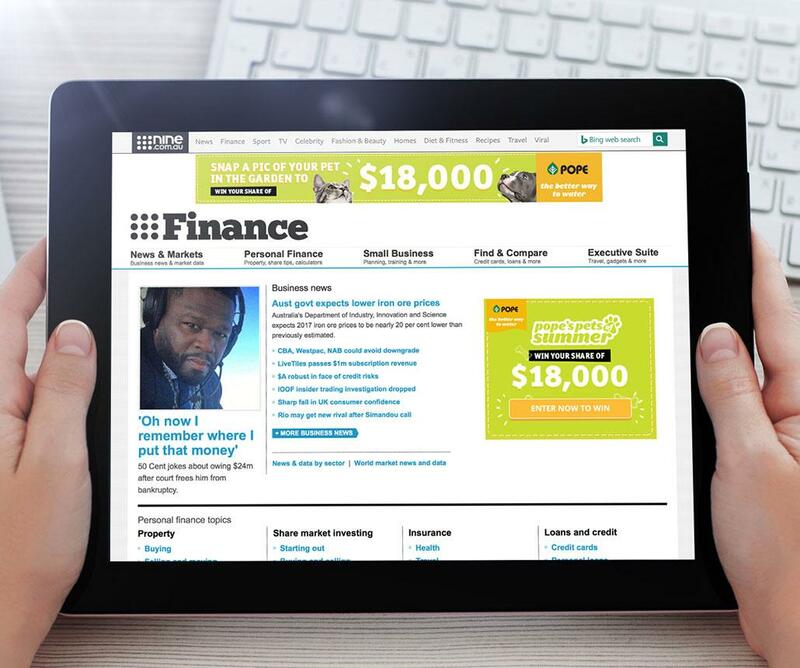 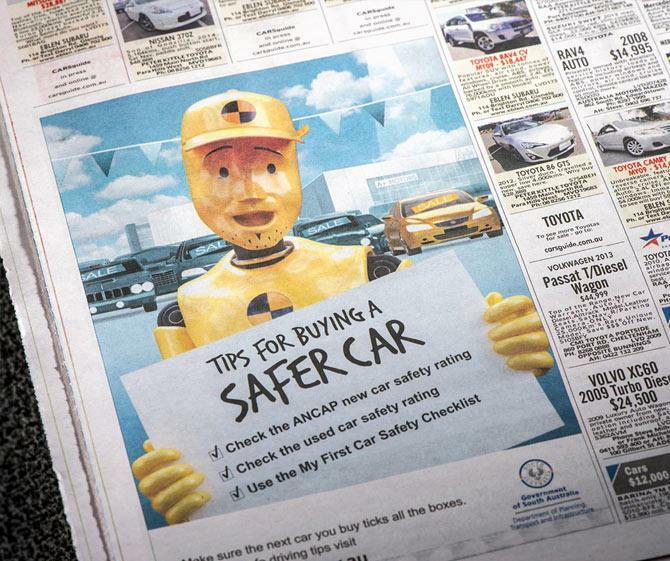 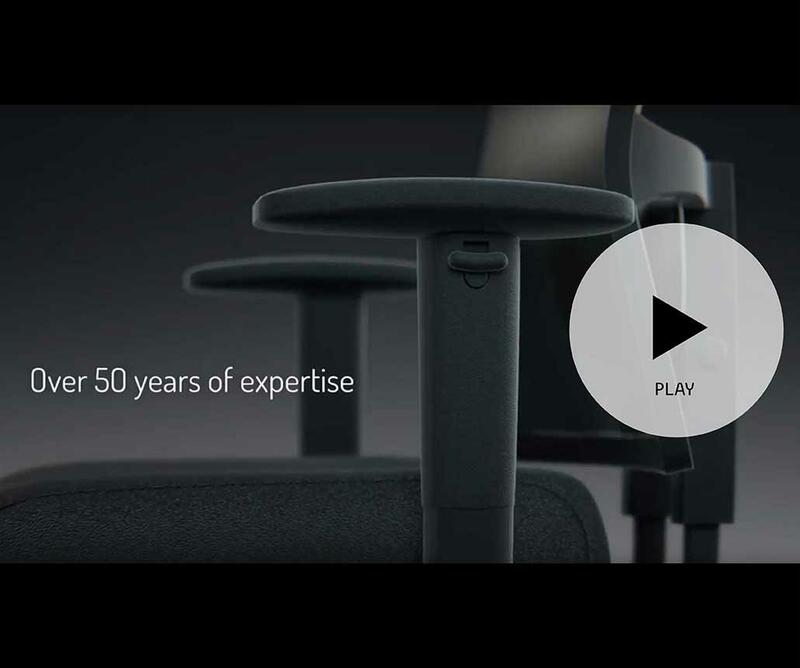 The campaign was executed across TV, radio, print and online. 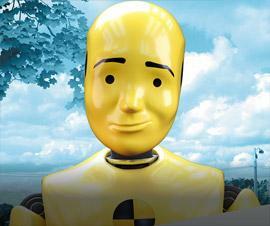 This work has further strengthened the MyLicence brand, positioning it as an authority in safe driving. 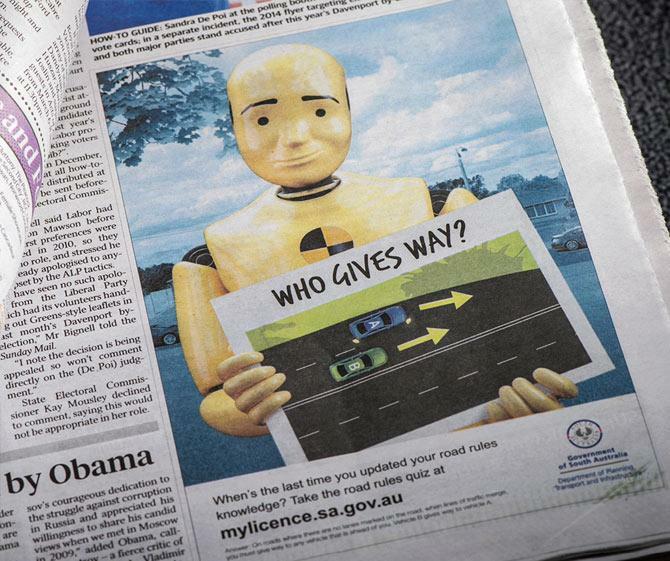 Most importantly, the campaign has helped to make South Australian roads safer for everyone. 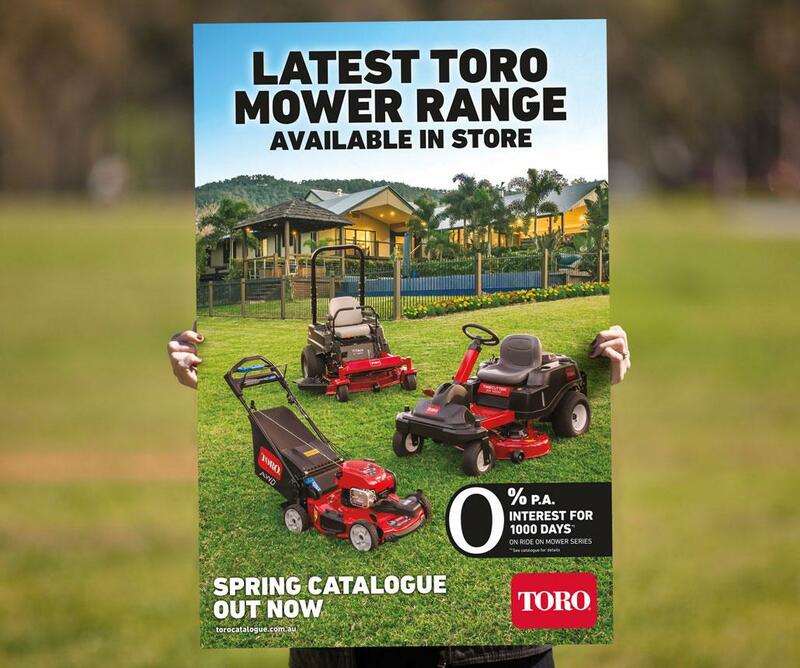 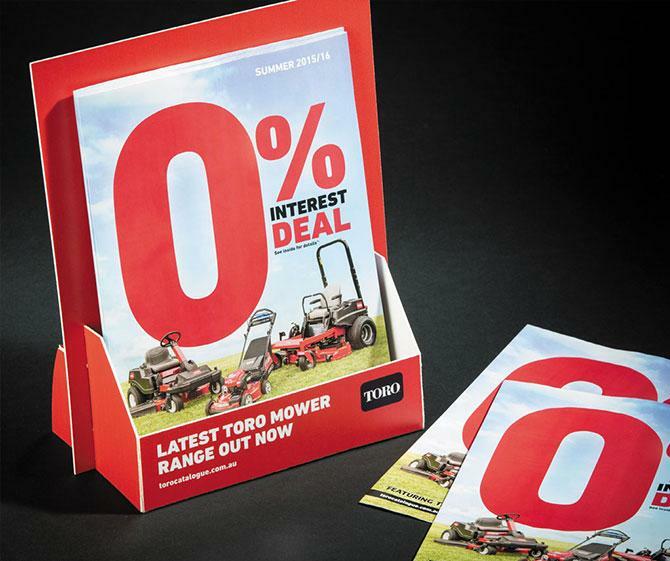 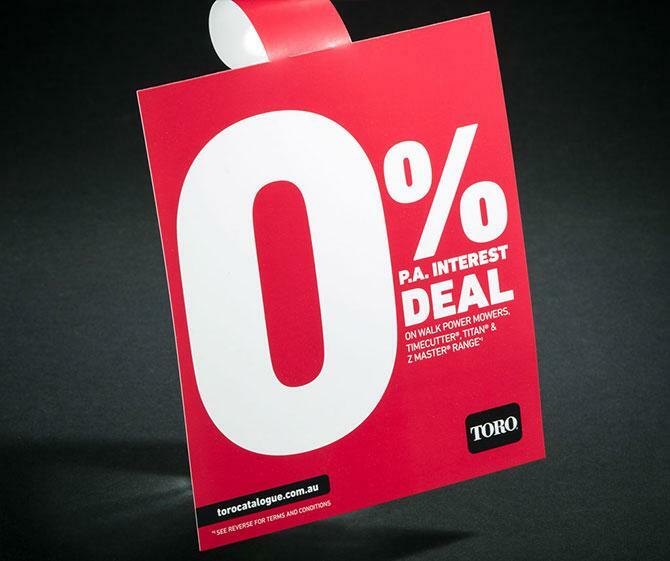 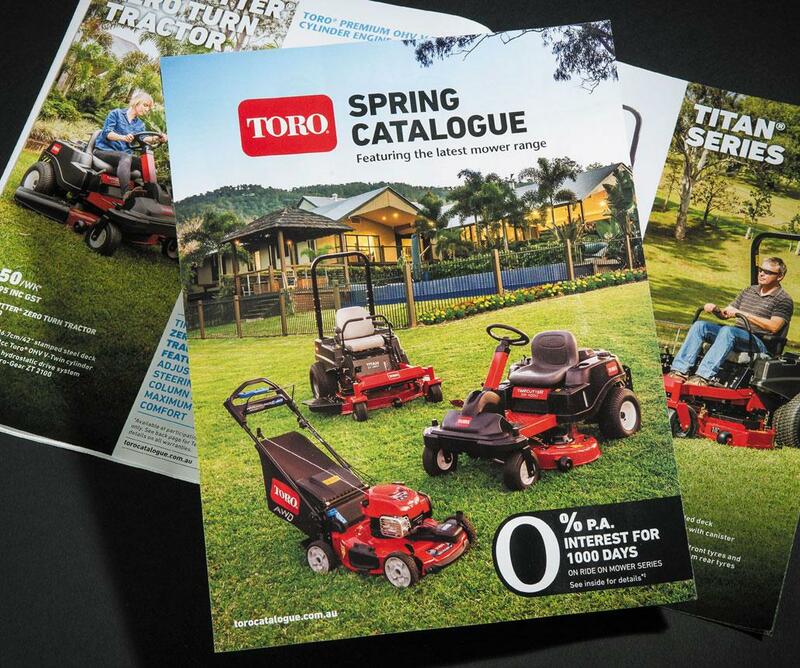 Working closely with Toro Australia and its network of independent dealers, we have conceptualised, designed, printed and distributed their spring and summer product catalogues since 2013. 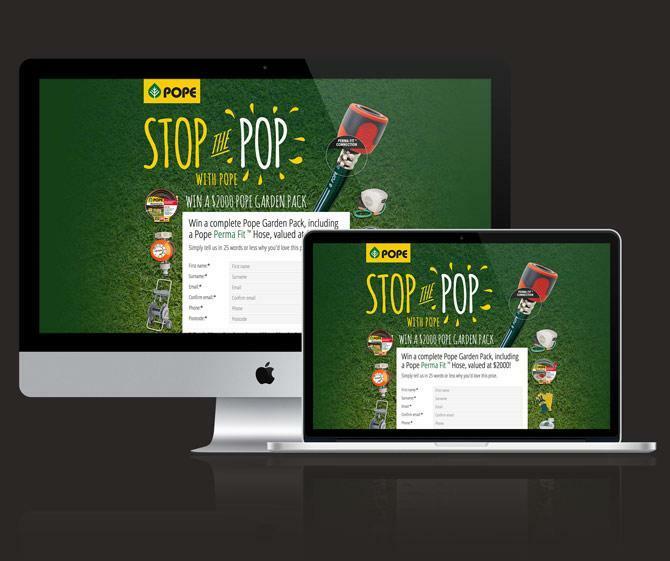 Campaigns have been supported across multiple platforms including online, TV, radio, and newspapers. We have also introduced point-of-sale materials, a popular cash-based loyalty card program and related microsite, and a new Pre-Owned Equipment site. 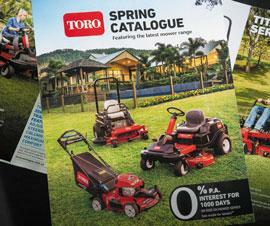 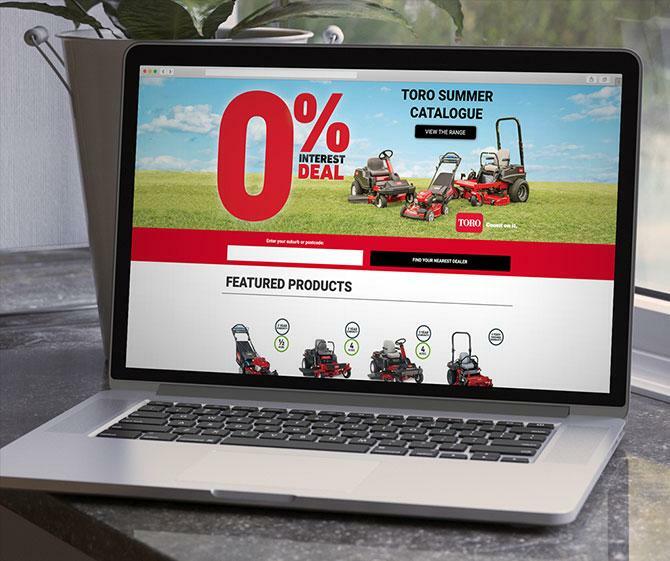 With our help, Toro has maintained itself as a key player in the competitive market. In paying respect to the company's rich family history, we developed a contemporary logotype while retaining the brand's core elements. 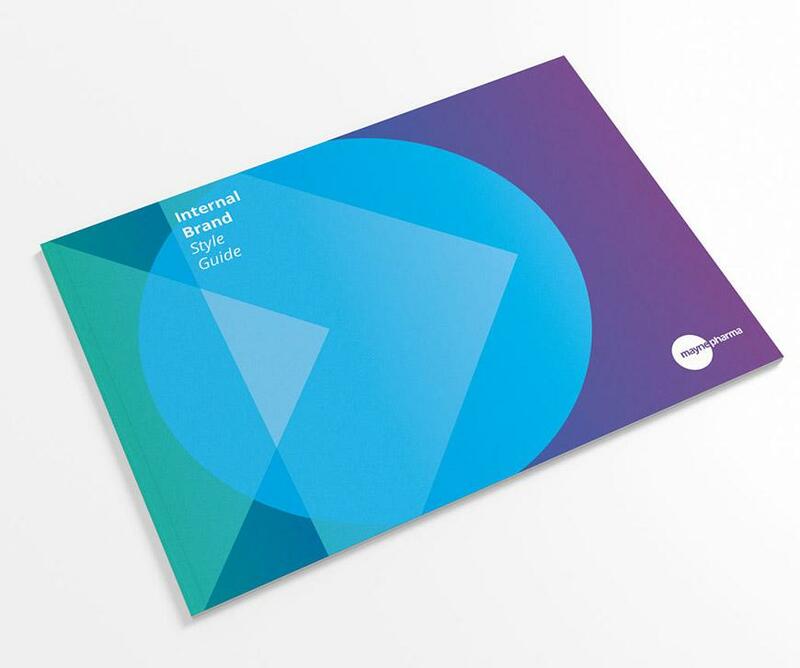 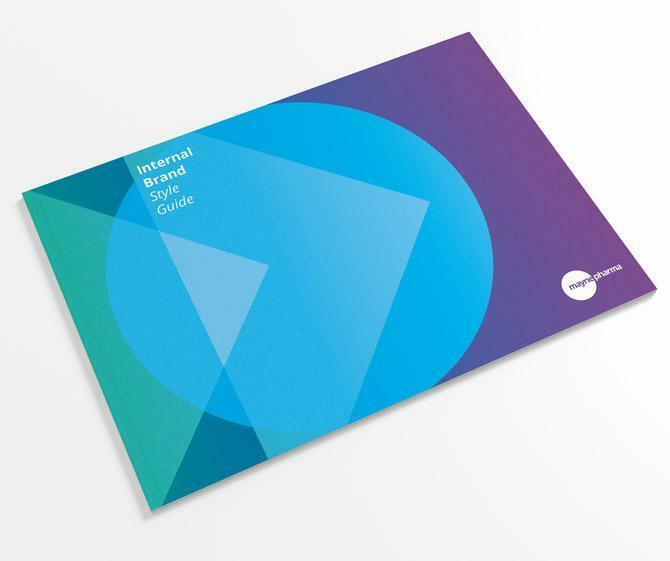 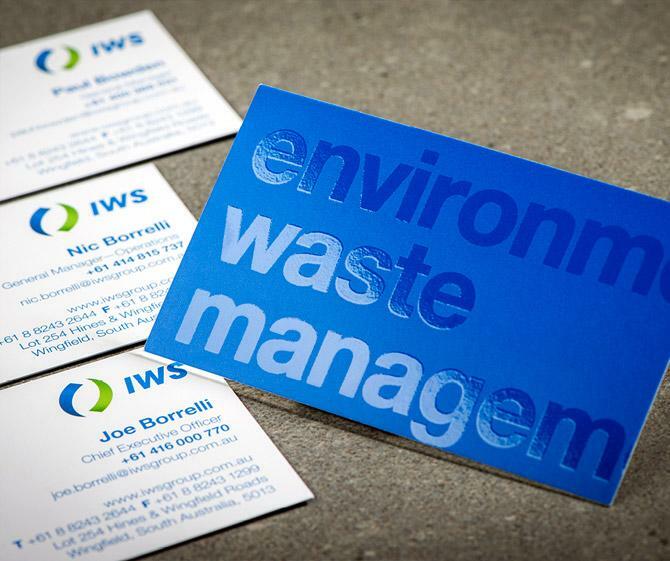 We also rebranded the business name, replacing ‘Integrated Waste Services’ with the simpler IWS acronym, and created a set of accompanying brand guidelines and marketing materials. 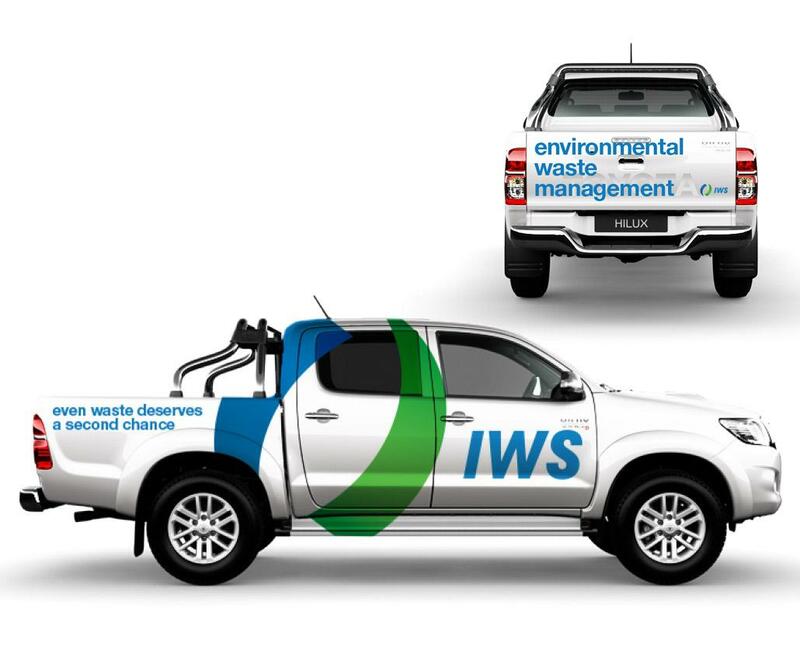 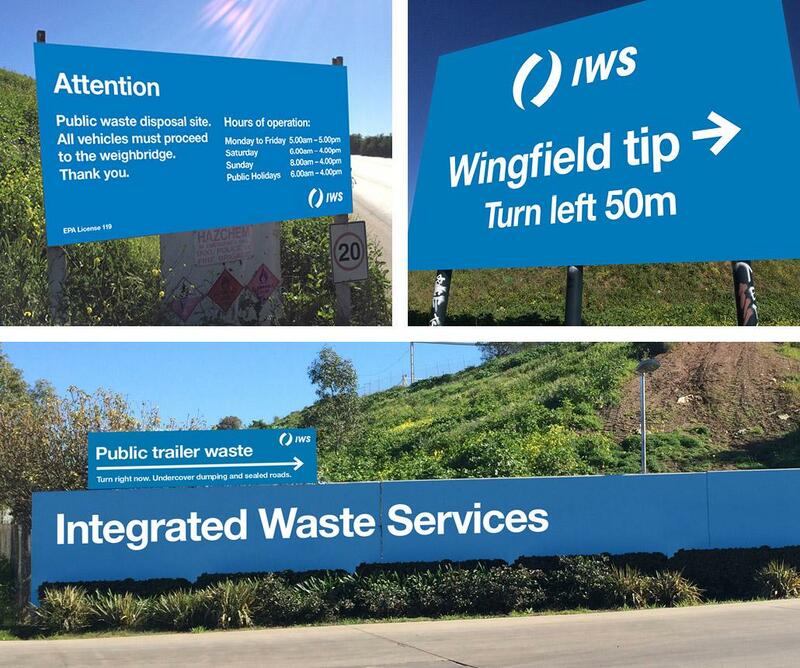 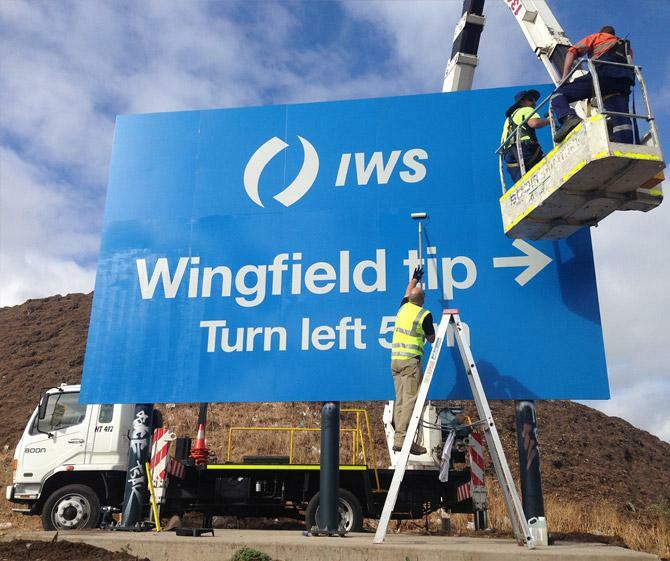 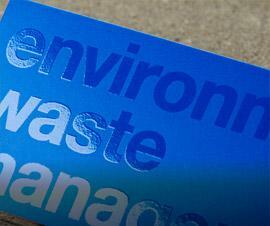 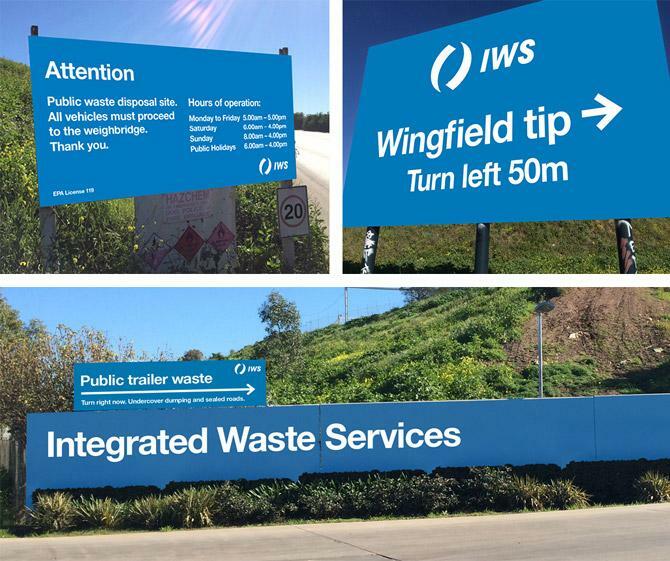 This has helped to create a stronger, more coherent brand and place IWS at the forefront of the waste management industry. 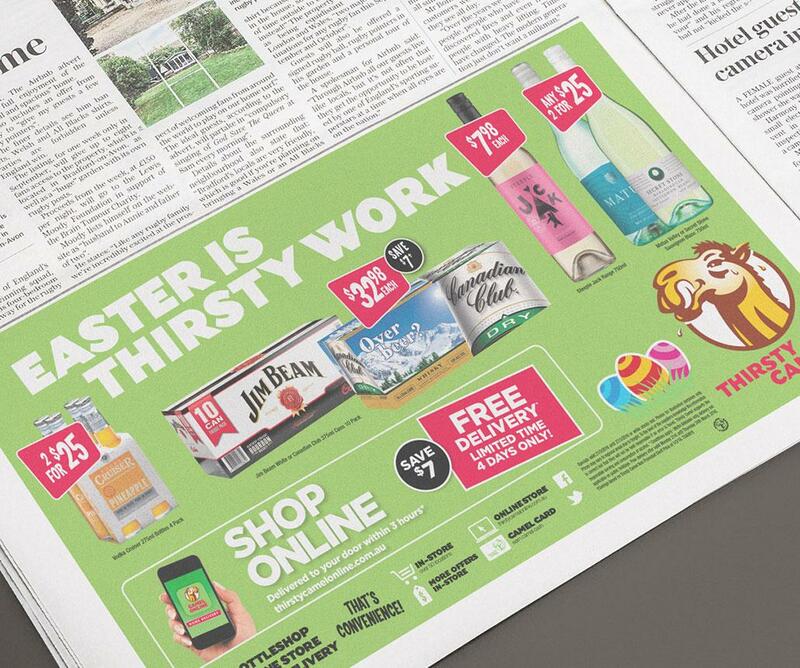 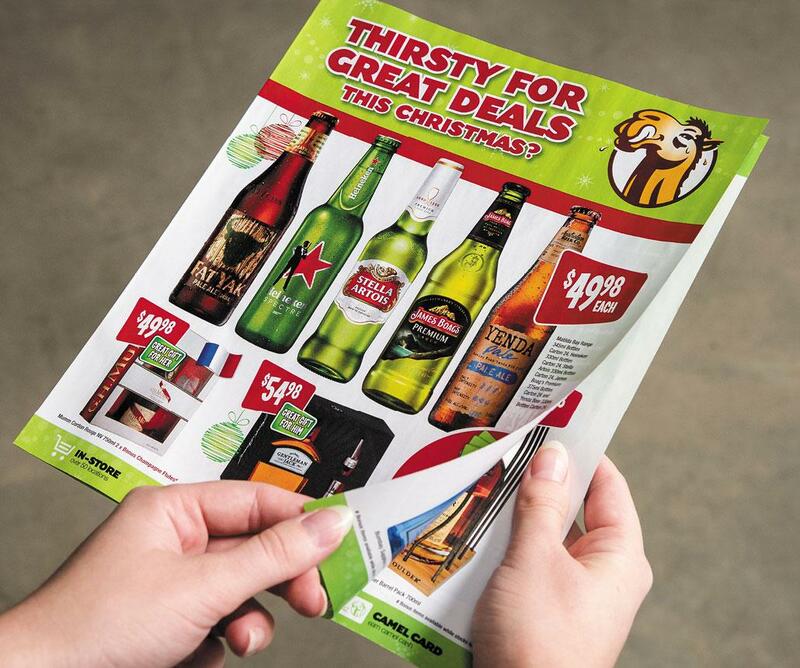 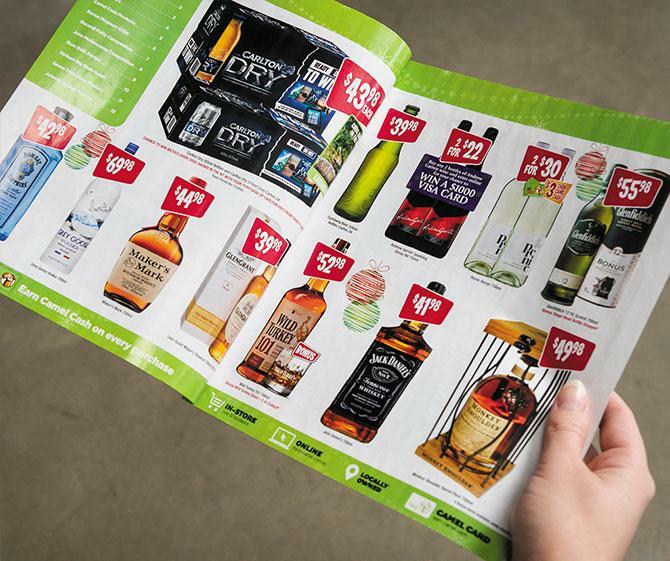 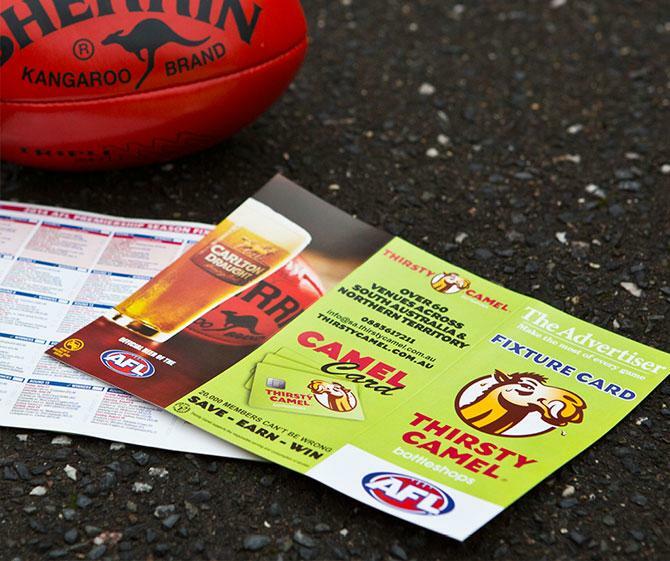 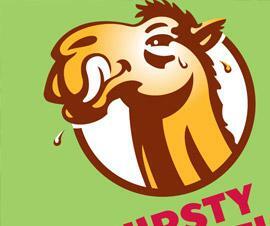 We work closely with Thirsty Camel’s marketing team to provide a range of ongoing advertising solutions. 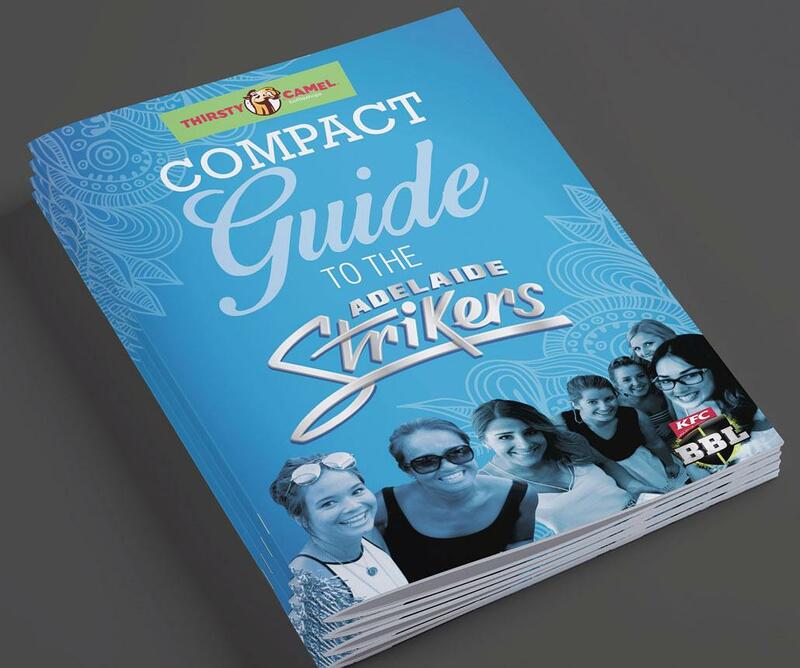 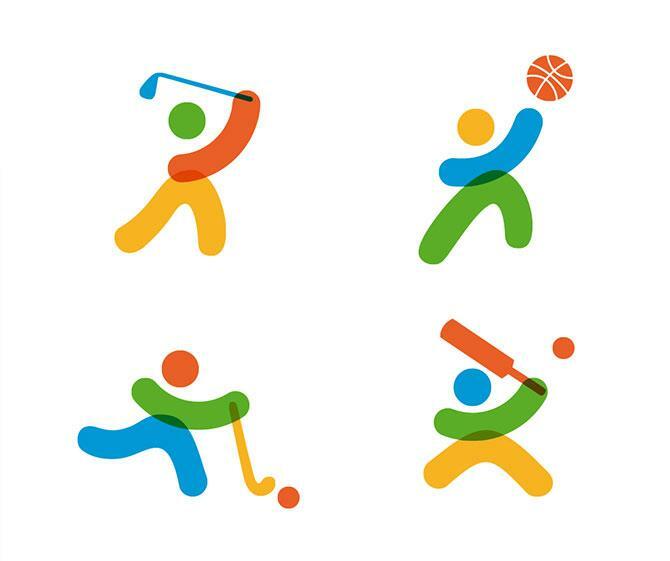 This includes TV, radio and press advertisements, print catalogues, promotional collateral, online promotions, an AFL fixture feature in The Advertiser and sponsorship for sports programs such as the T20 Big Bash. 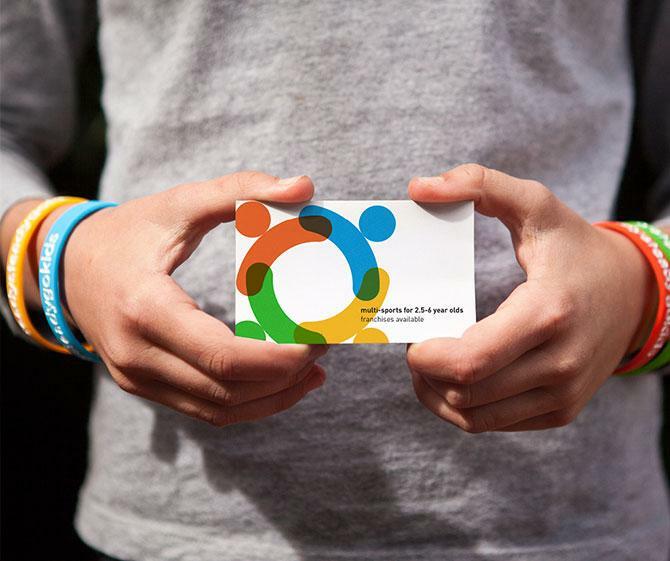 We have also executed campaigns for the brand’s unique loyalty card system to encourage repeat sales. As a result, Thirsty Camel’s unique personality now resonates with many Australians who trust the brand as a reliable liquor vendor. 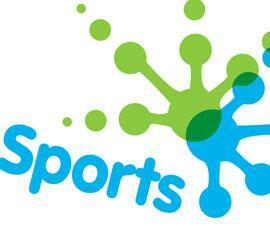 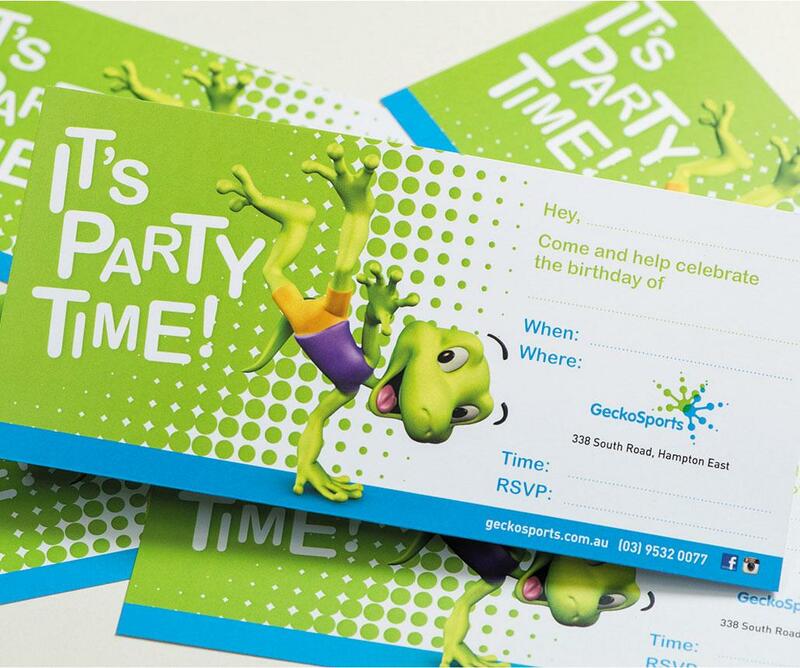 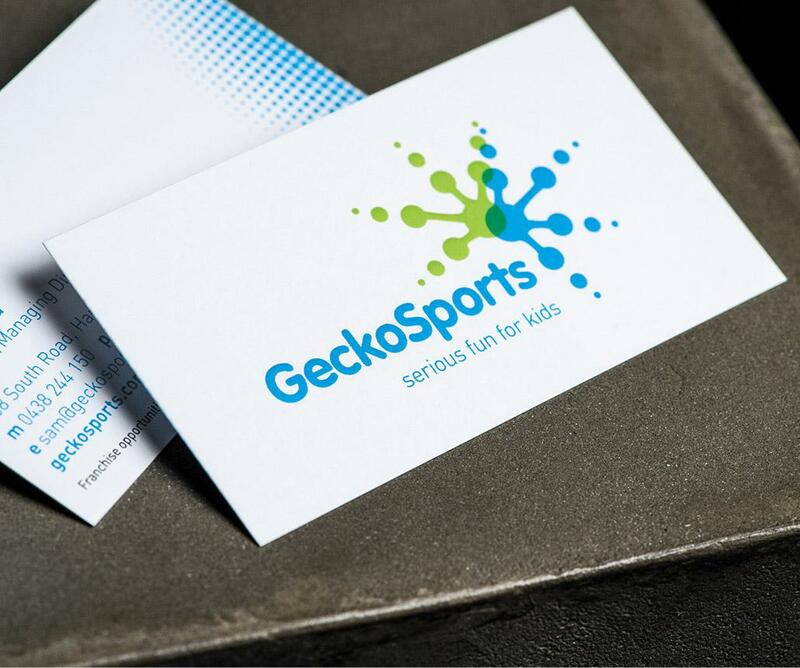 We created a new identity for what was originally known as Gecko Kids, a national children’s fitness program. 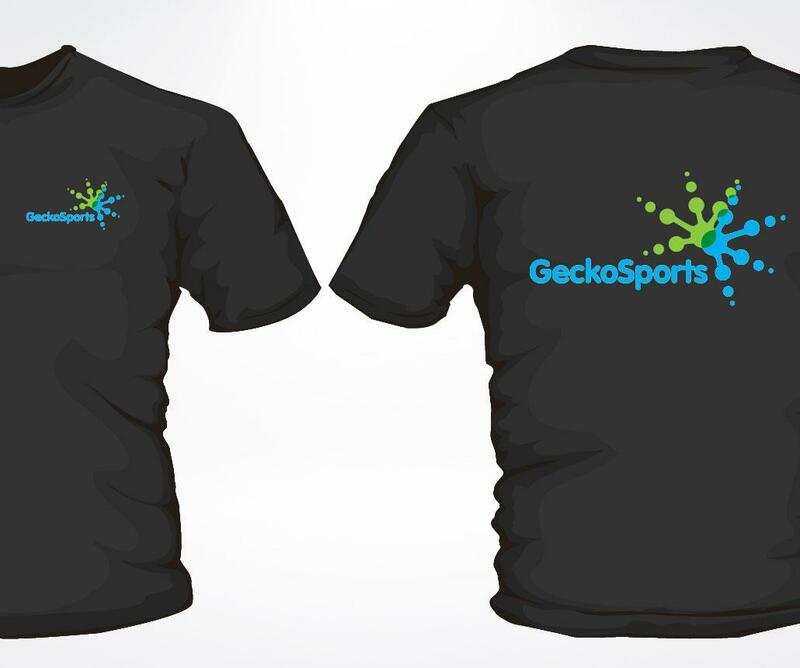 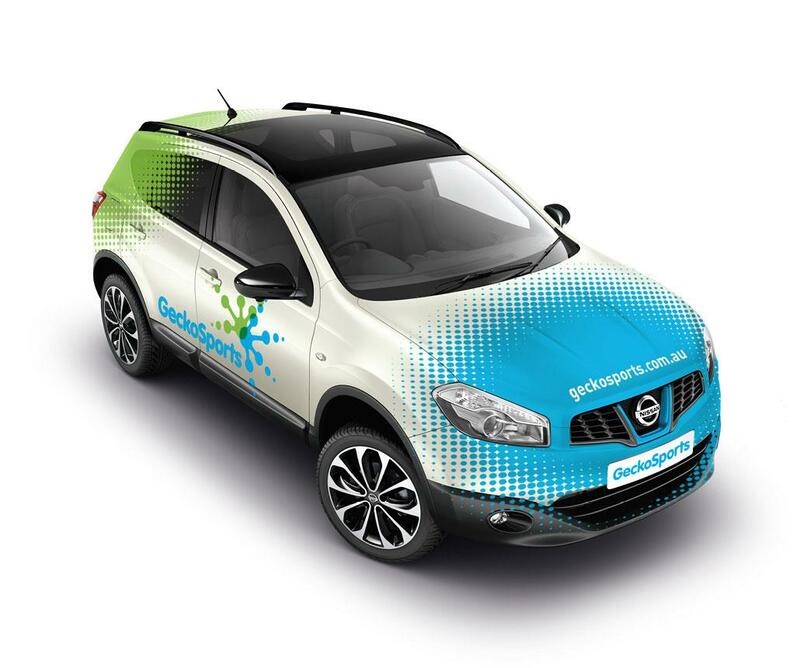 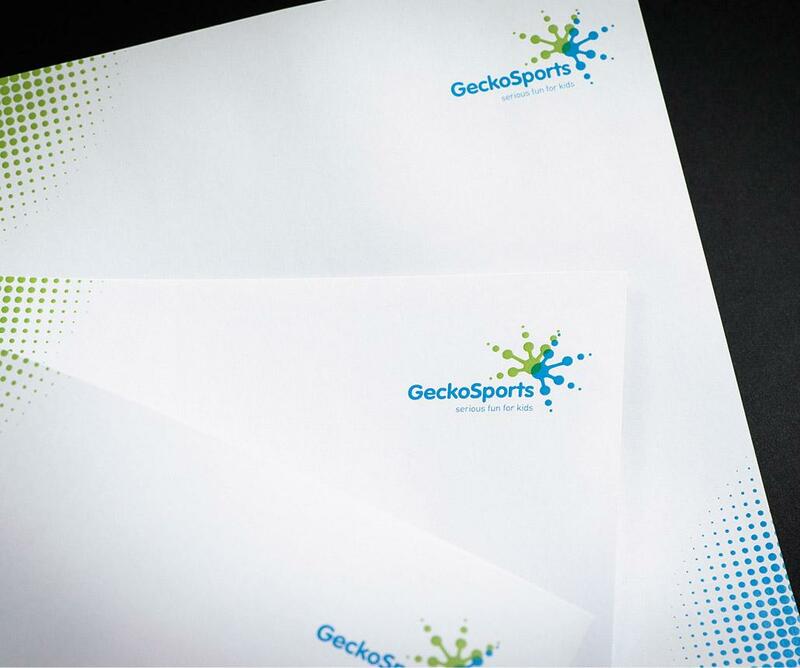 Along with renaming the brand to Gecko Sports, we developed a new logo, tagline and accompanying collateral including corporate livery and other marketing material. 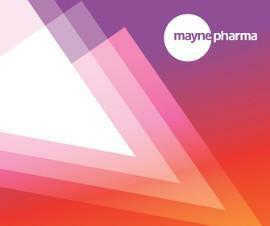 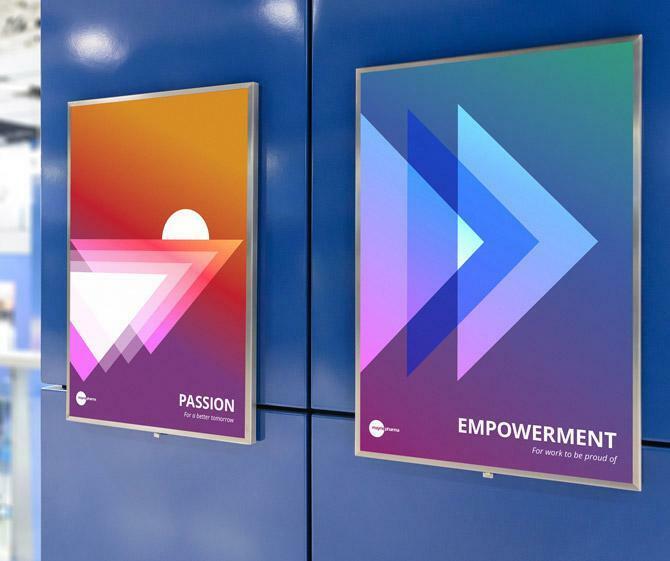 To help boost staff morale while brightening up Mayne Pharma’s office space, we created a series of vivid and engaging screensavers and posters to display inside the building. 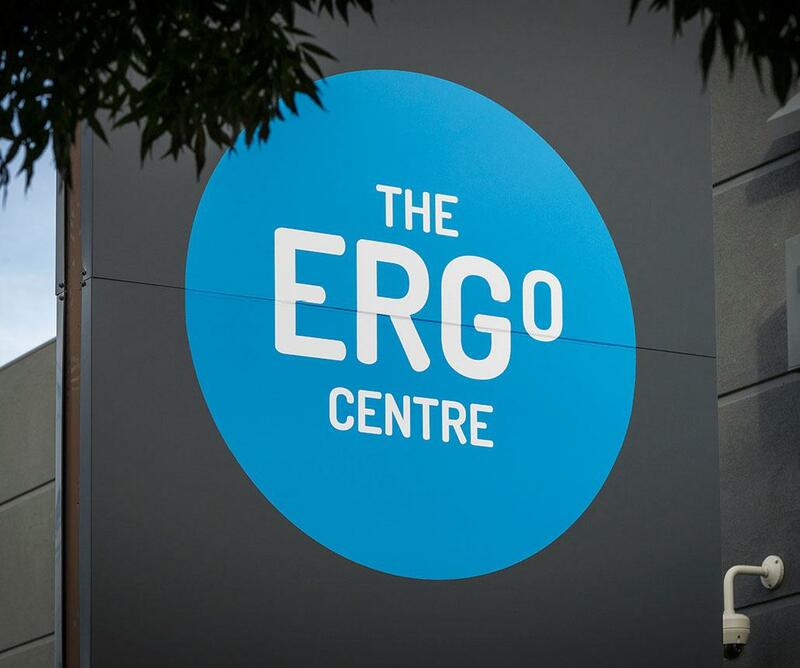 After a successful launch in the South Australian head office, the signage has also been placed in the Melbourne office, with plans to be incorporated on the exterior of each building. 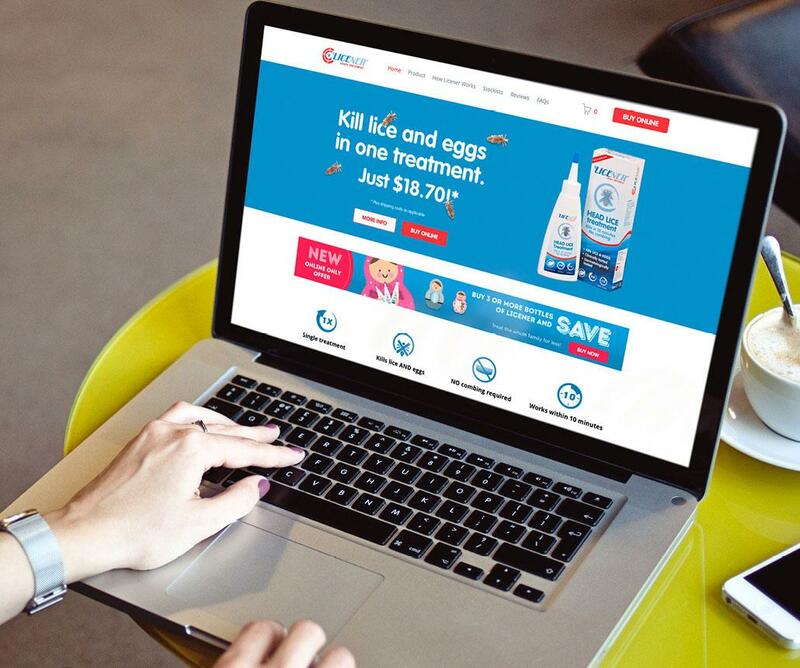 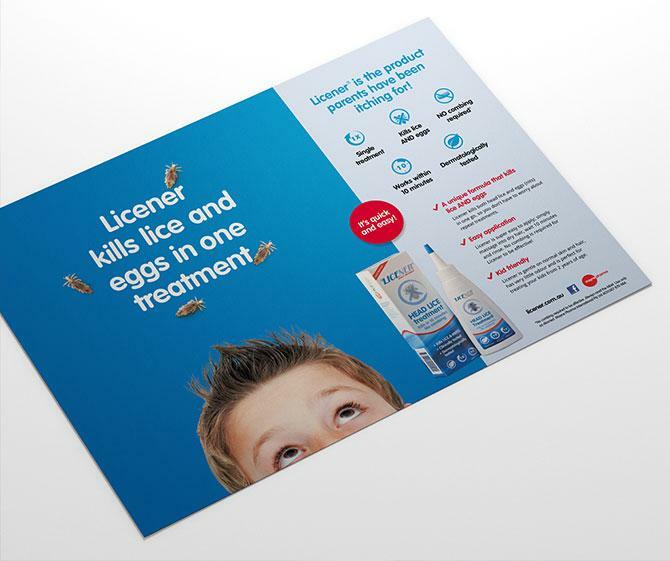 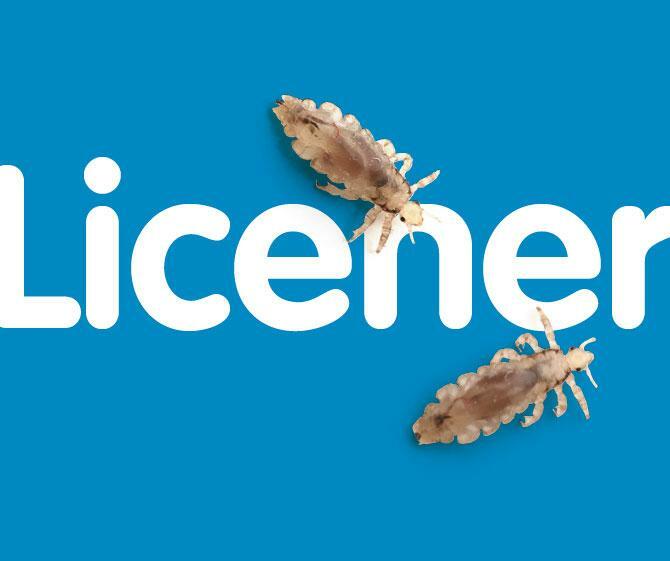 To introduce, and encourage sales of, an international head lice treatment within the Australian market, we created a catchy tagline and new eCommerce website for Licener Single Treatment. 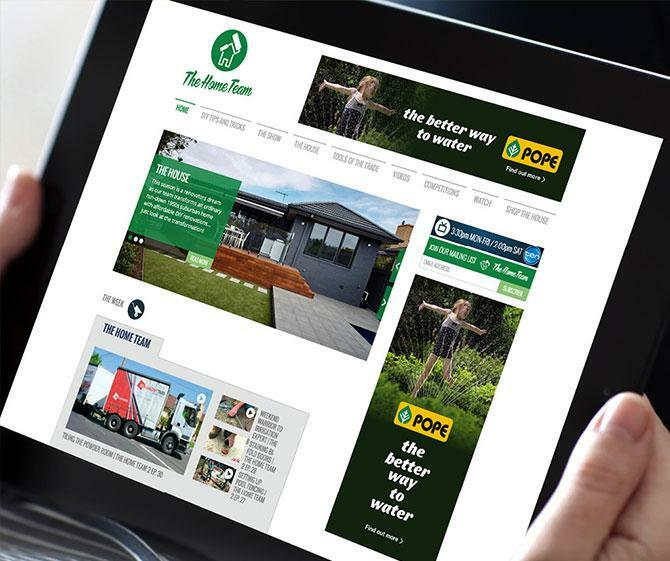 After a successful launch, we are now responsible for ongoing advertising solutions for the brand including online and press advertising, and social media maintenance. 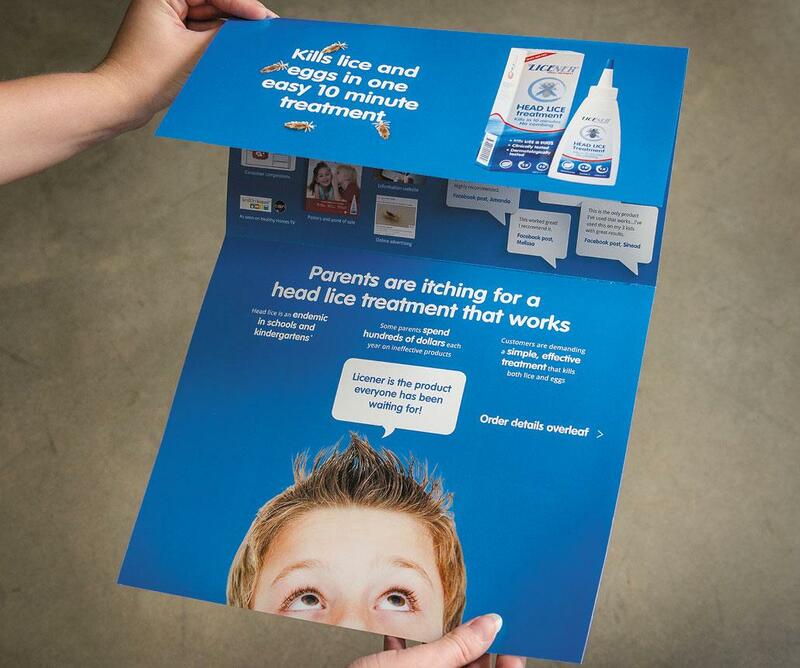 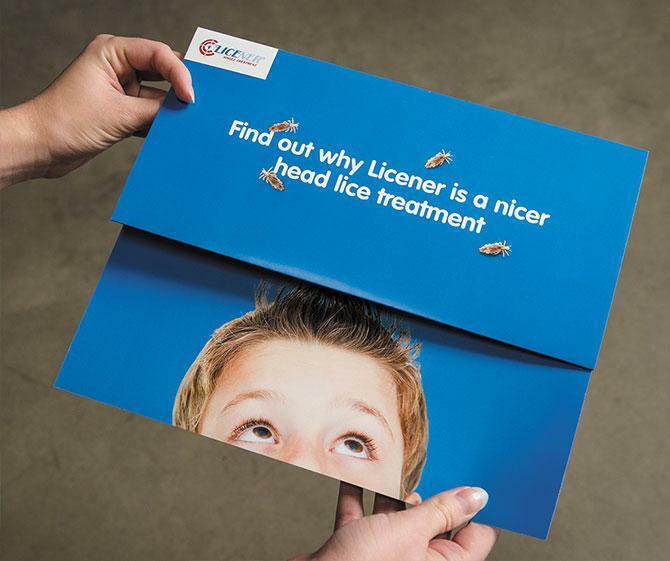 The product is now seen as a trusted and effective head lice treatment, and sales continue to grow. 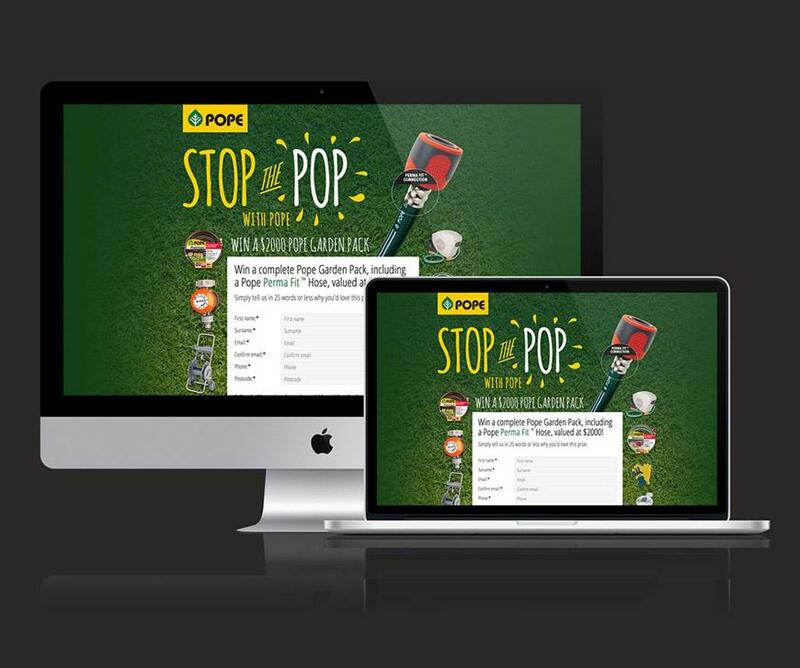 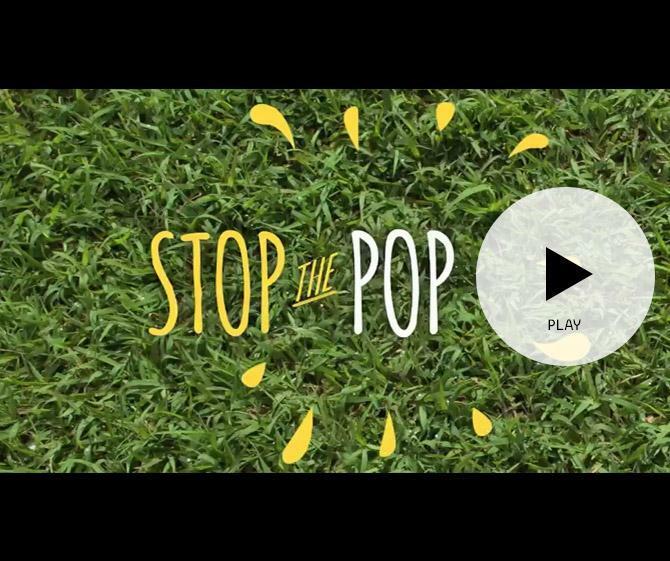 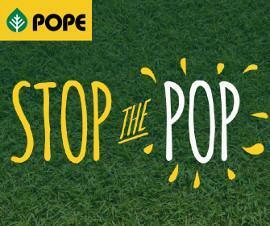 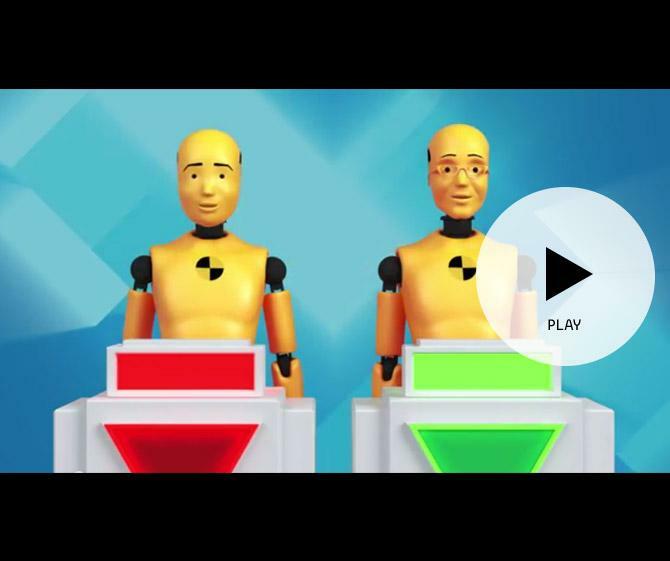 We developed and launched Pope’s national ‘Stop the Pop’ campaign, which was made successful with a catchy TV commercial produced in collaboration with Nylon Films and DOP Aaron Gully. 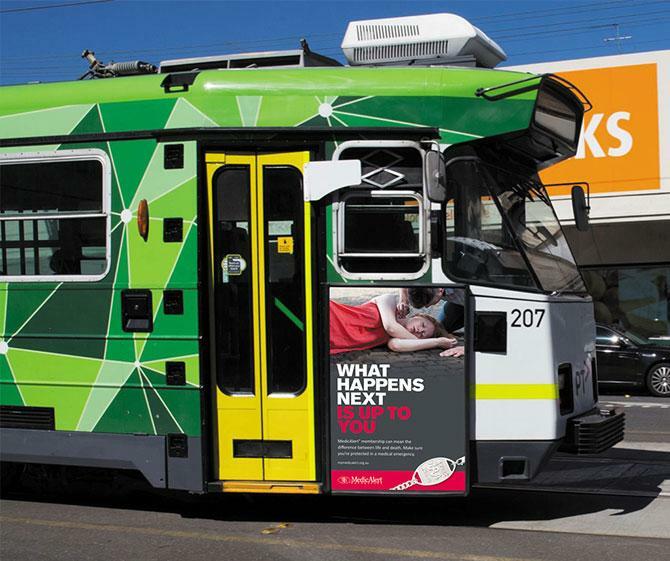 This was complemented by targeted print and radio advertisements, along with an online competition. 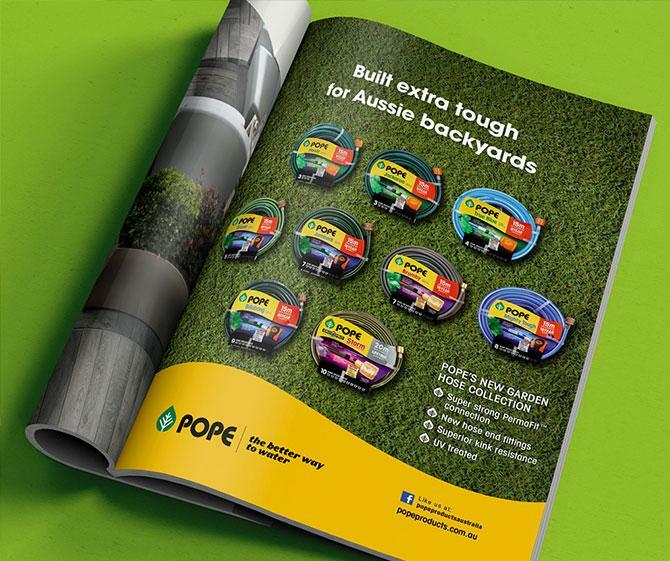 With our help, major retail outlets including Bunnings Warehouse now look more favourably upon the brand, and two in three Australians rely on Pope Products to keep their gardens lush and green. 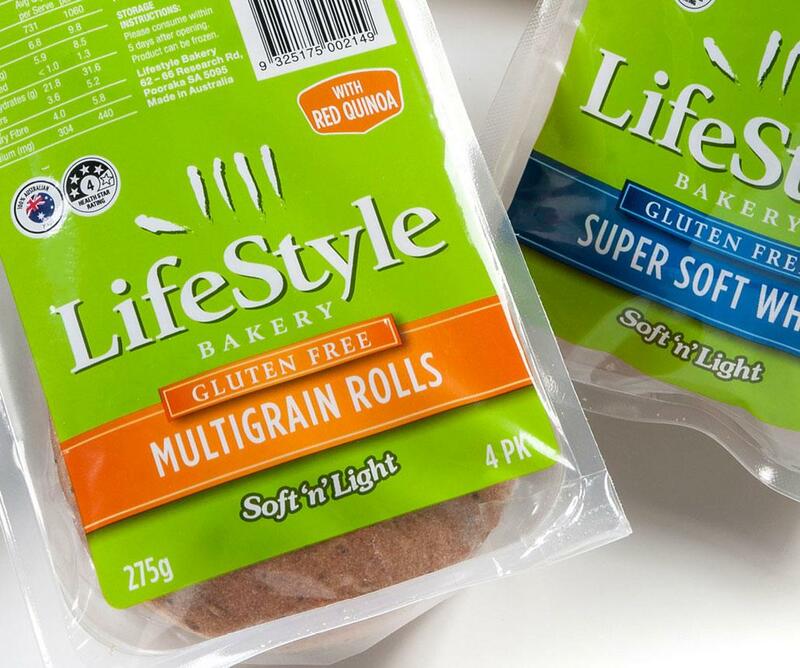 To help draw attention to Lifestyle Bakery’s new and improved Soft ‘n’ Light bread range, we gave its packaging and brand assets a fresh look. 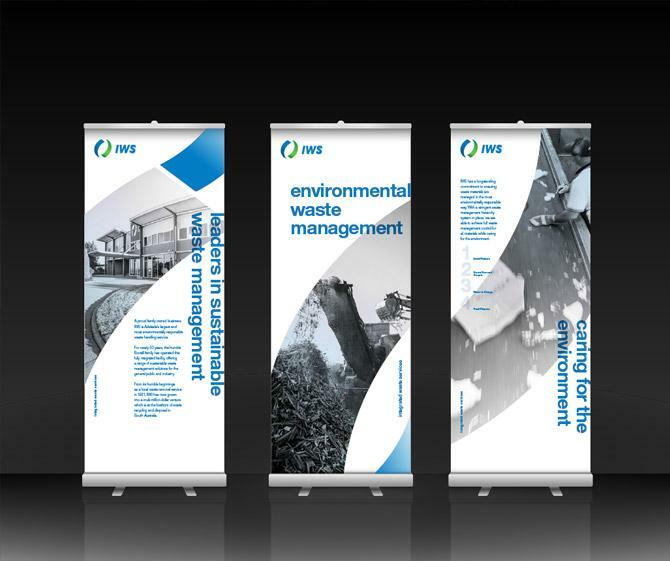 This was supported by press advertisements, brochures and an impressive exhibition stand displayed across the country. 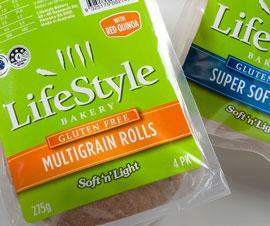 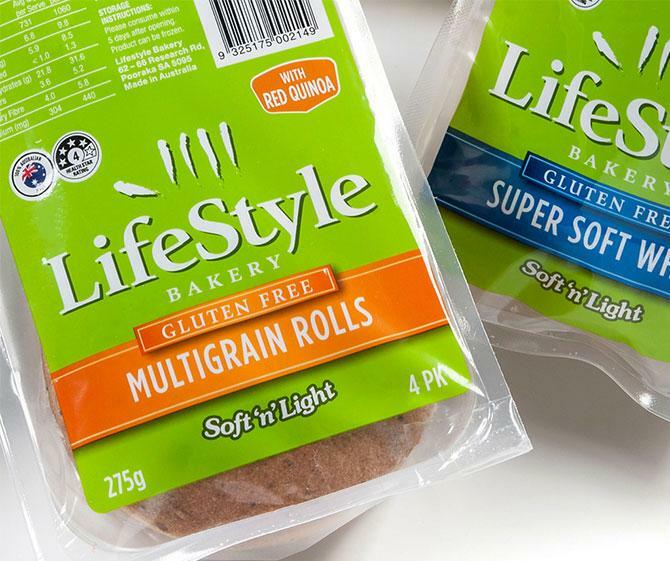 Since the new look products hit supermarket shelves, product demand has soared, and the bread has become a favourite choice for many Australians living a gluten-free lifestyle. 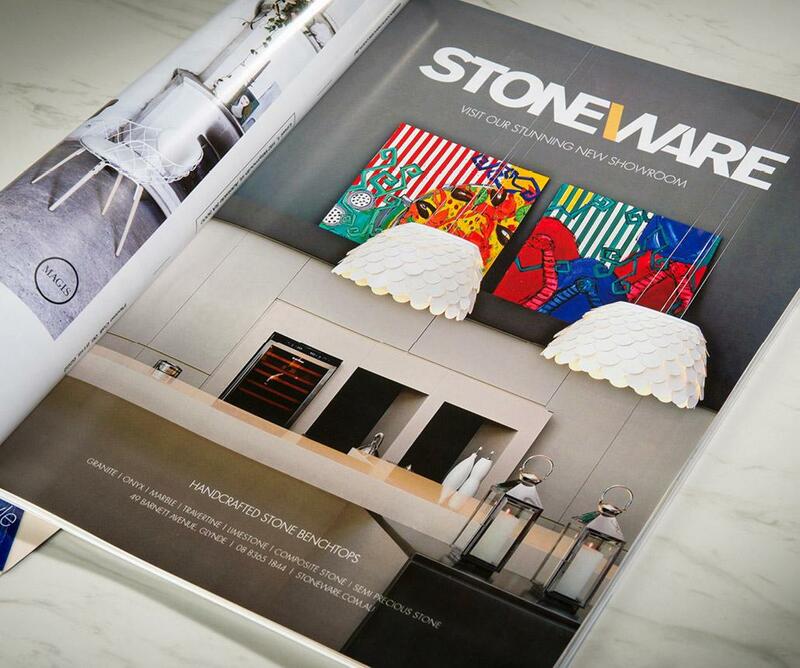 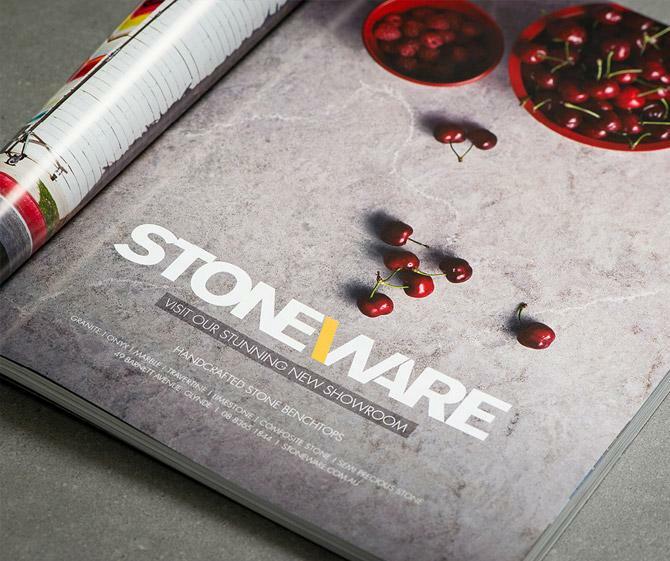 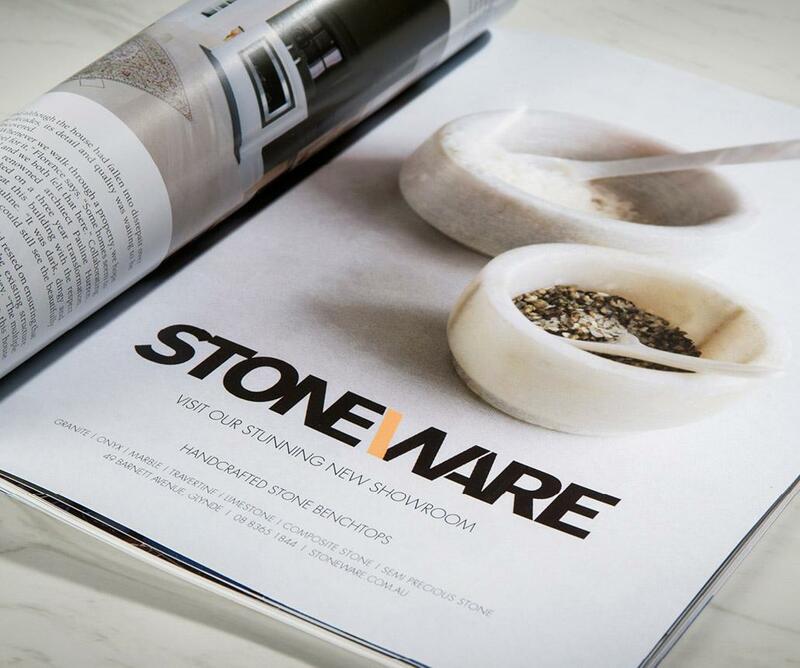 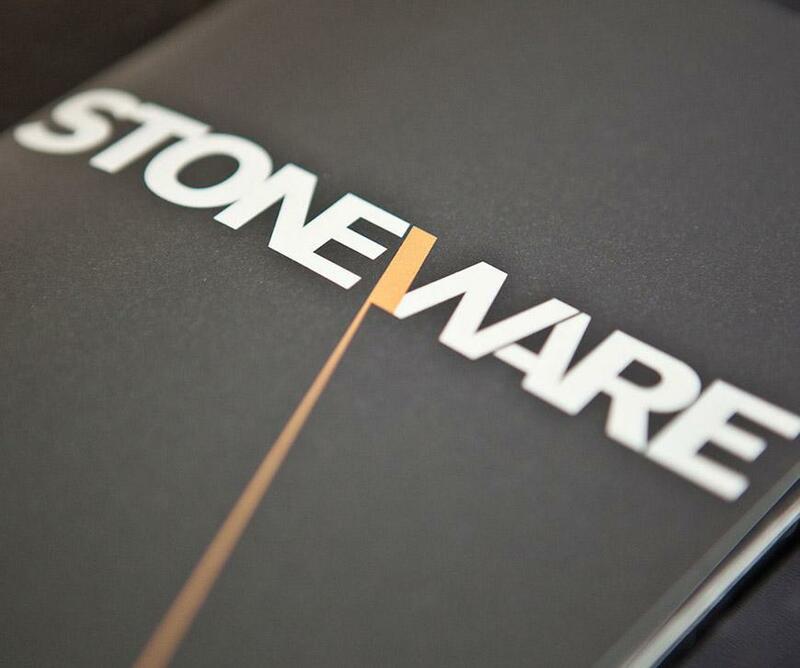 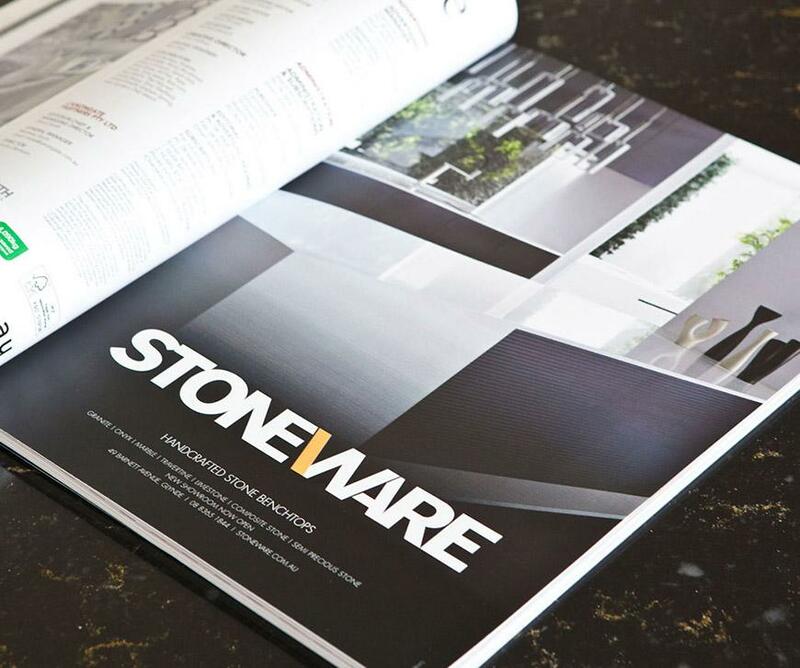 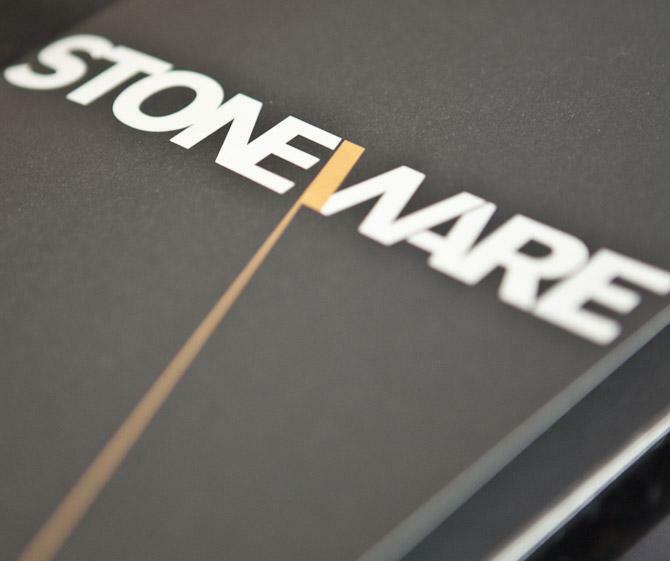 To coincide with Stoneware’s stylish showroom opening, we reinvented the brand’s entire image from the inside out. 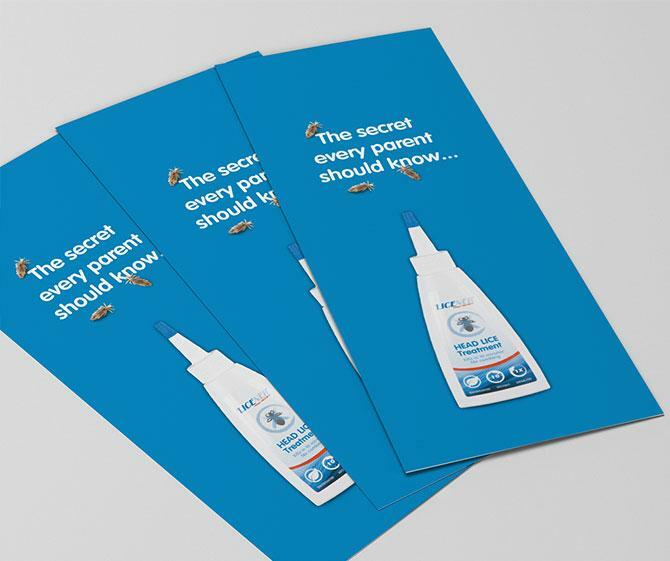 We developed new corporate livery and shot a series of stunning product photographs to complement this. 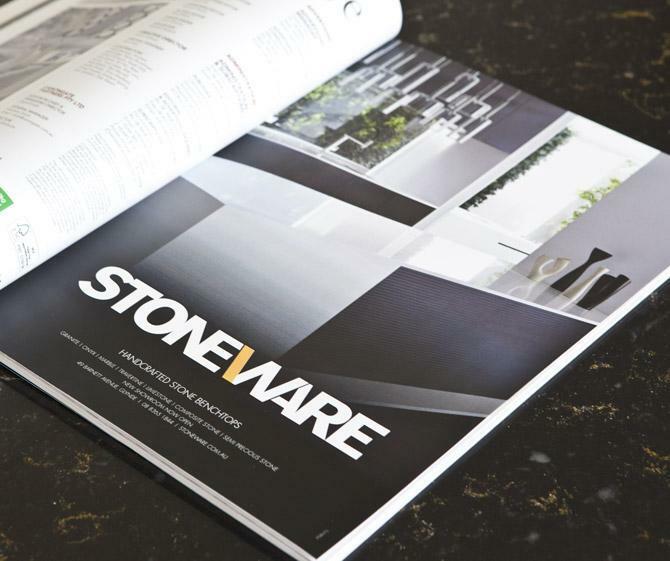 Stoneware is now renowned for its impressive showroom, and perceived as one of Australia’s most favourable providers of beautifully handcrafted benchtops. 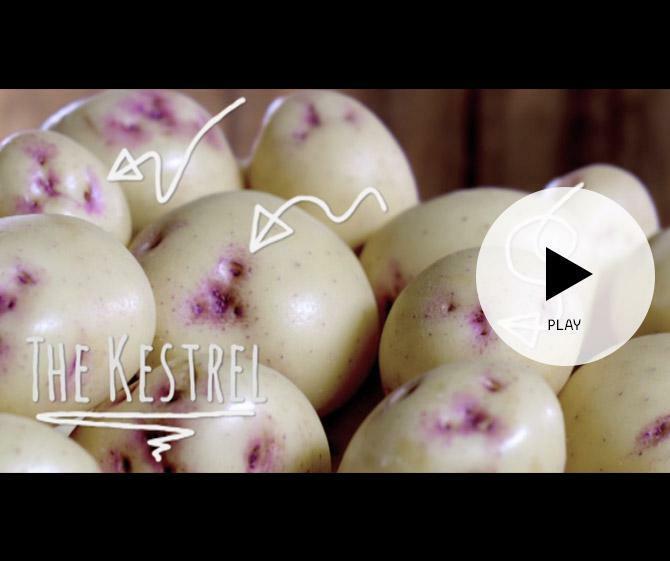 We created a national TV advertisement to reshape public perception about Kestrel potatoes. 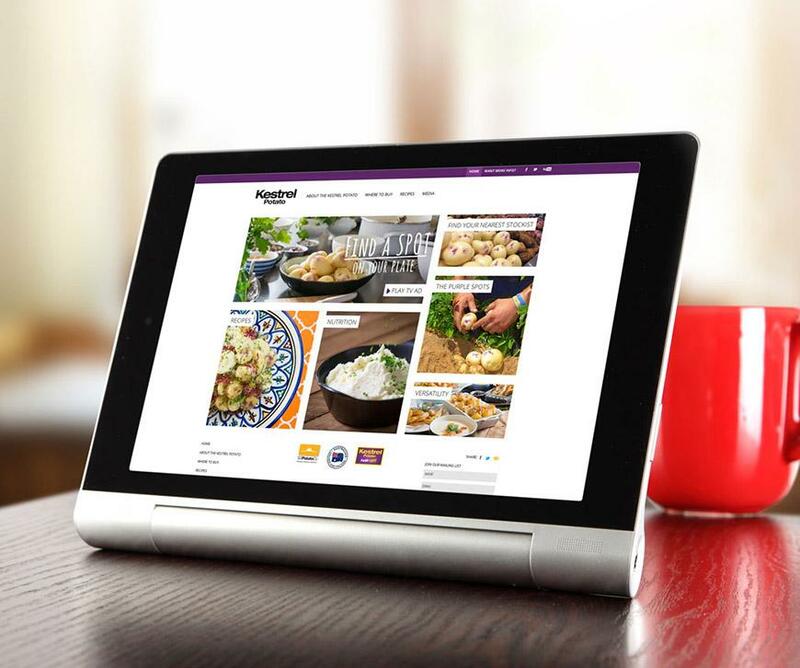 This was complemented by a new user-friendly and mobile optimised website complete with nutritional information, handy facts and recipes. 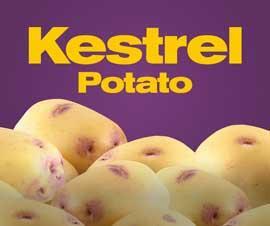 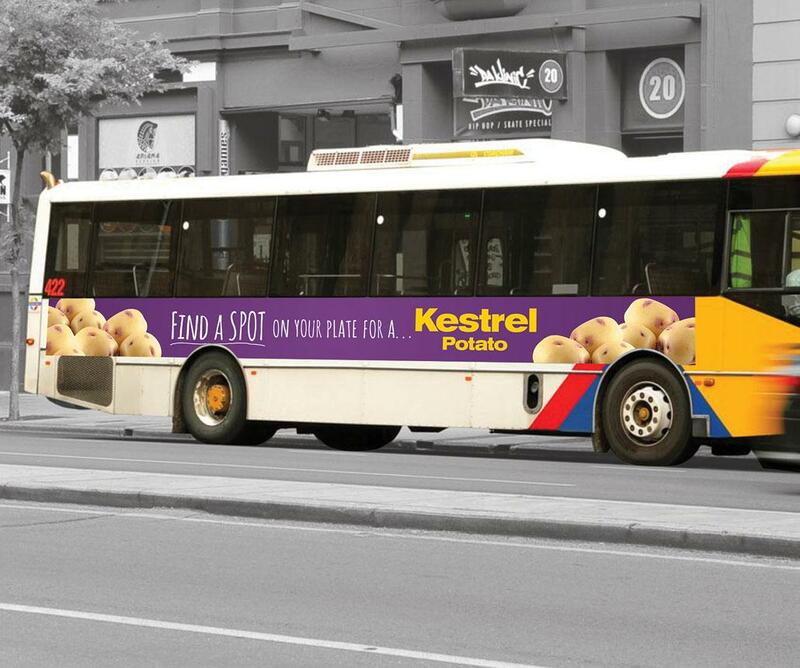 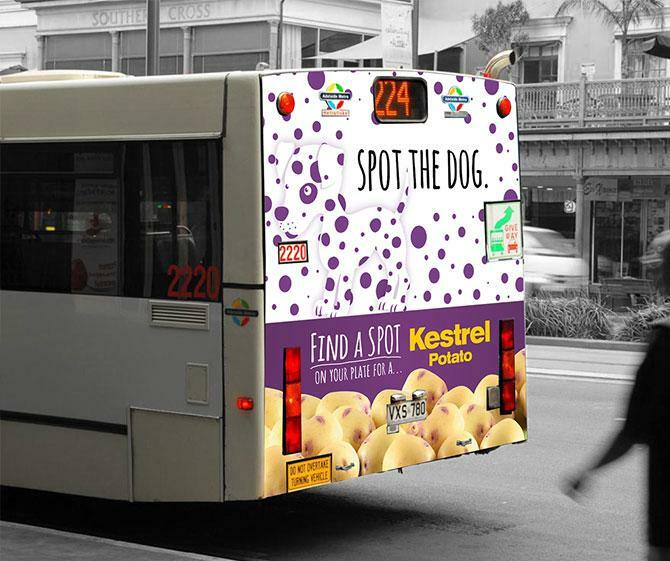 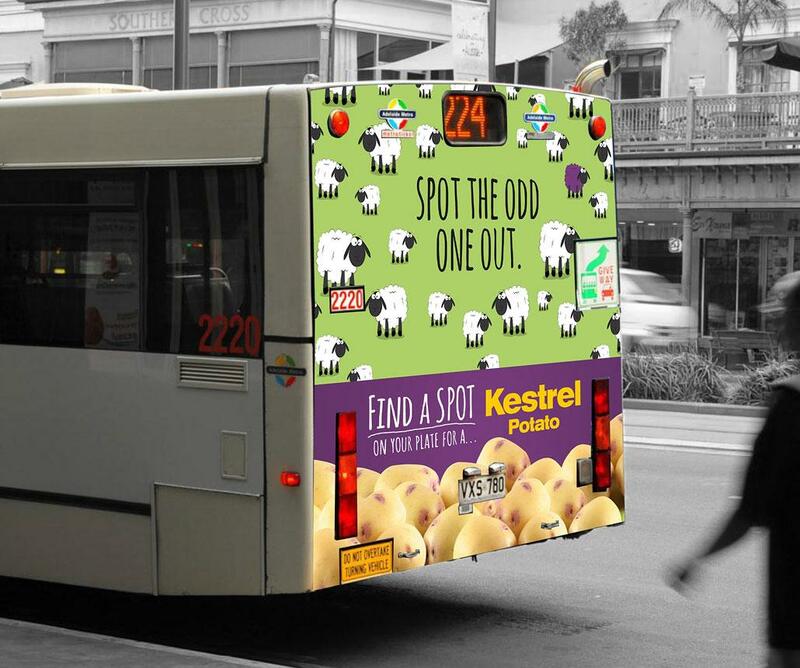 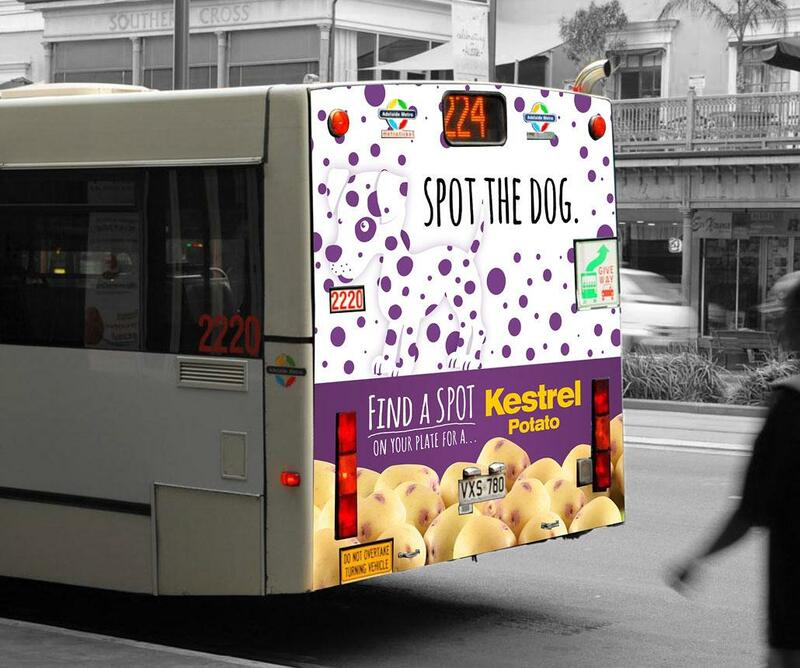 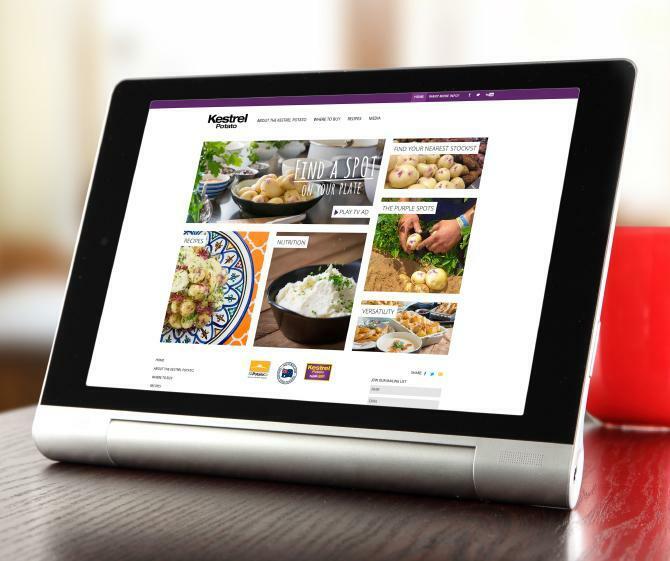 Our successful venture led to a massive increase in Kestrel potato sales across the country, and their purple spots are now viewed as a unique selling point. 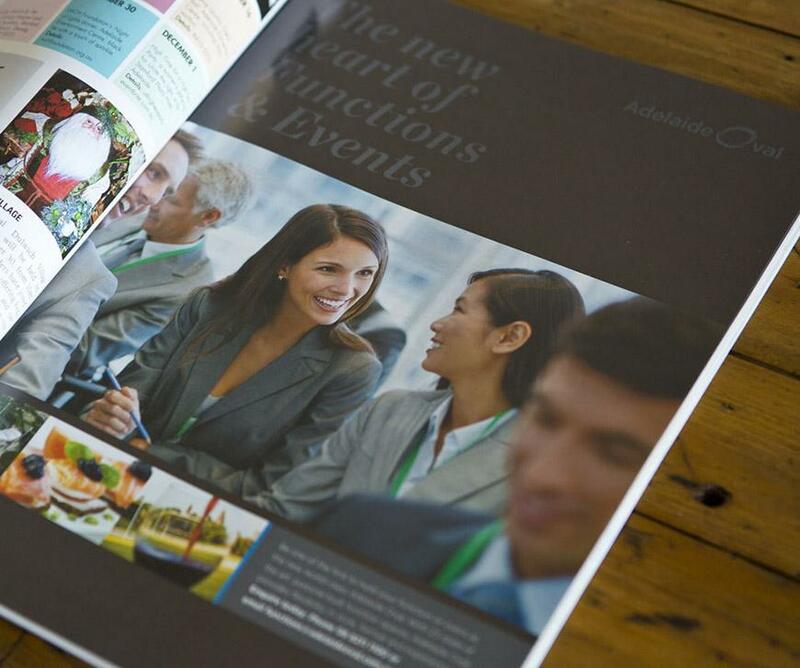 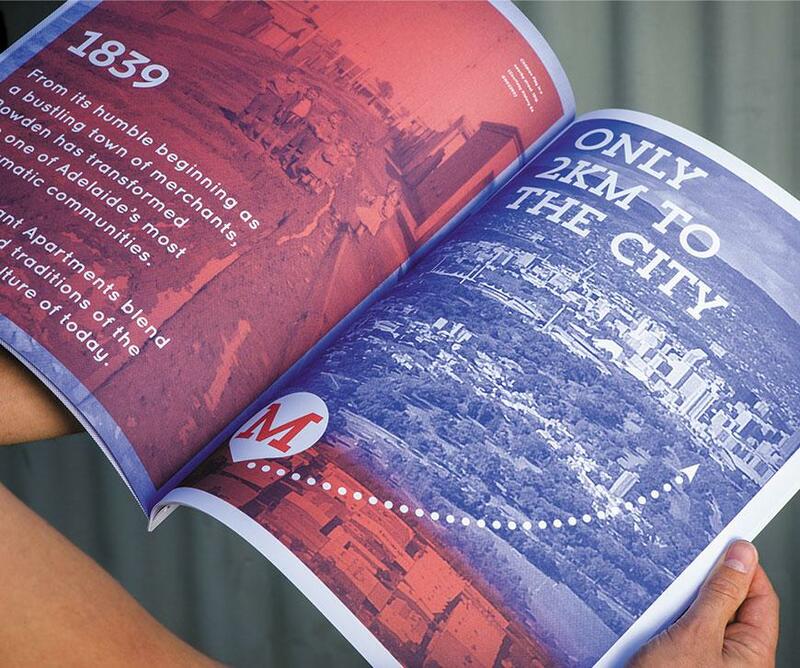 We devised a unique positioning statement to help drive visitors to Adelaide Oval’s iconic function centre and Stadium Club. 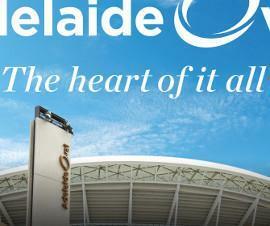 The phrase ‘the heart of it all’ was chosen to position Adelaide Oval as a central feature of the South Australian lifestyle. This message was carried into magazine and digital screen advertisements, along with brochures, pull-up banners and online advertisements to attract both the general public and key corporate identities. 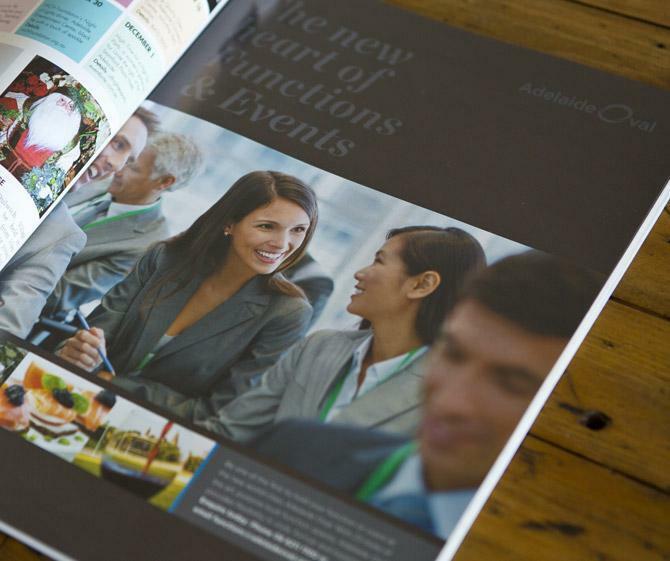 The campaign led to a significant increase in function and event bookings, with a steady number of reservations held for the next 12 months. 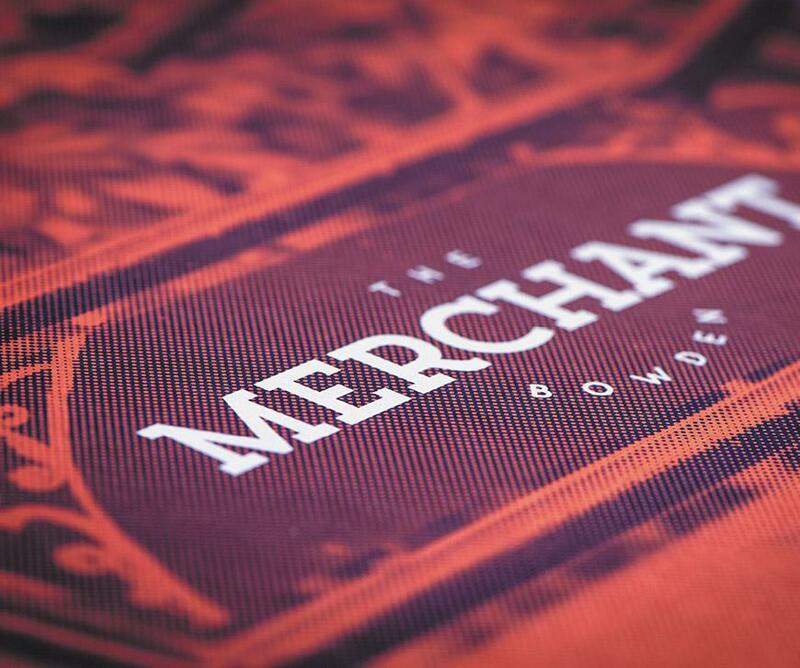 The Stadium Club attracted over 1400 memberships – all of which were sold before the start of the football season. 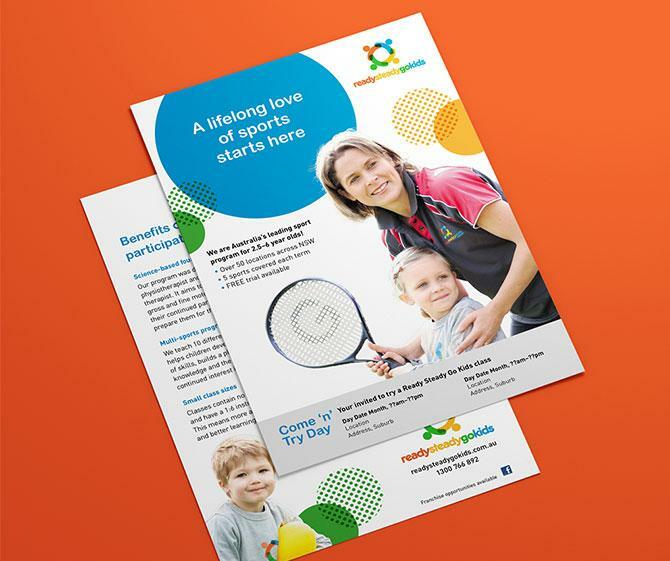 Through successfully engaging two unique target audiences, the Adelaide Oval has reaffirmed its strong position in the South Australian market. 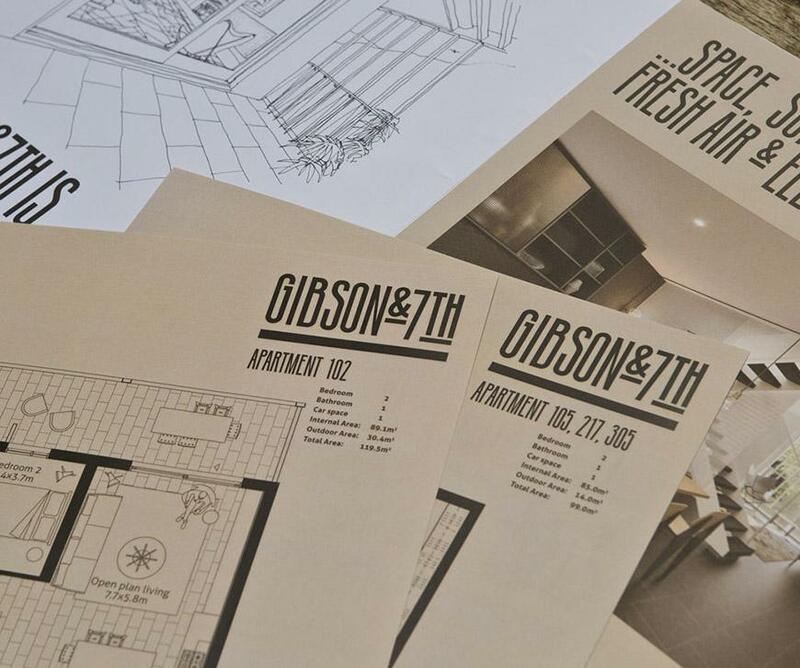 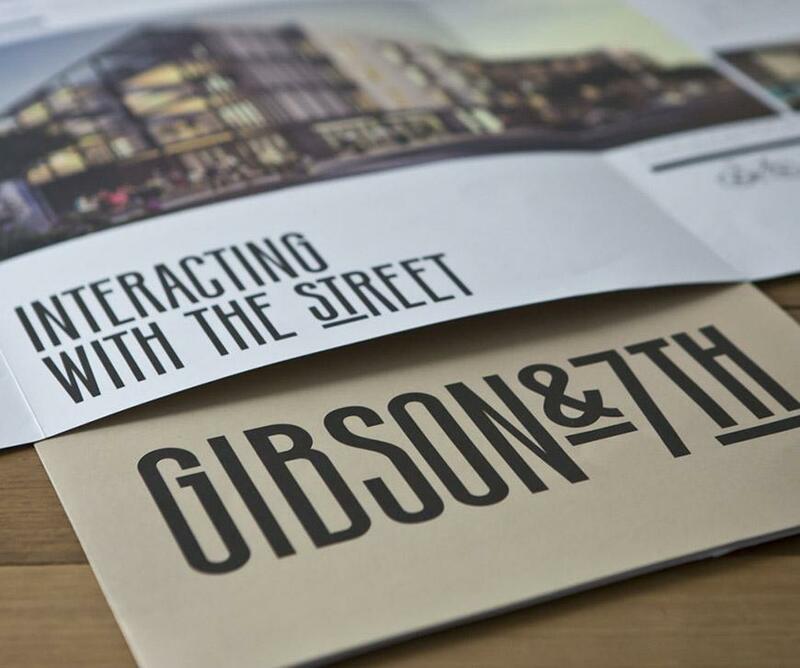 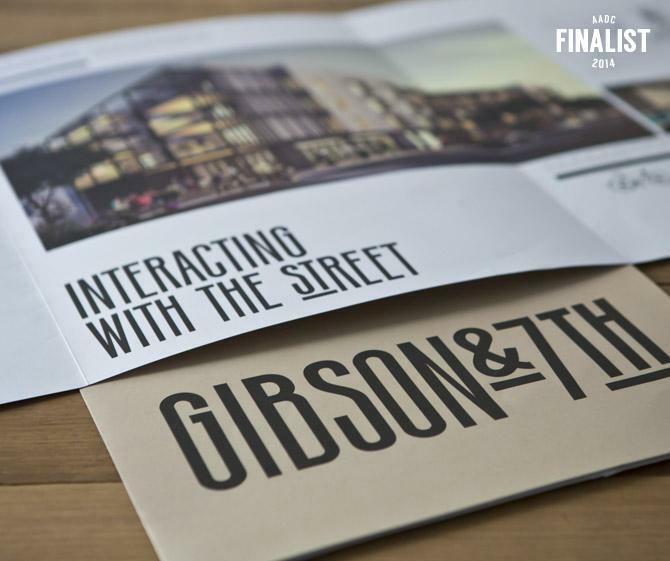 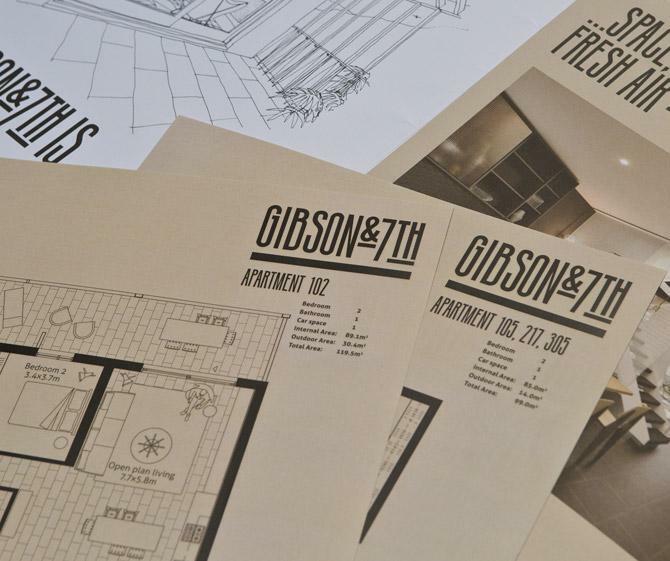 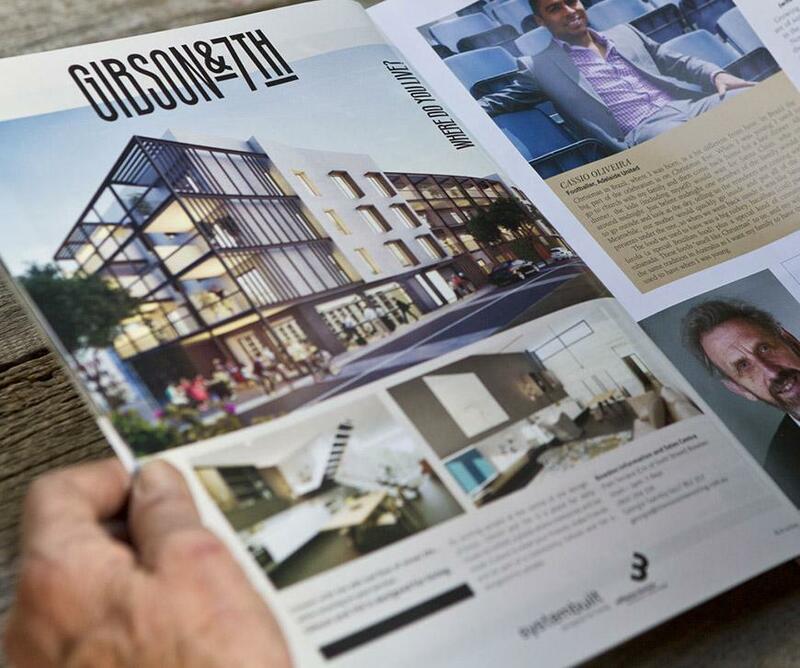 Working closely with architects and property developers, we developed a new brand identity called Gibson & 7th to match Bowden’s modern art deco style. 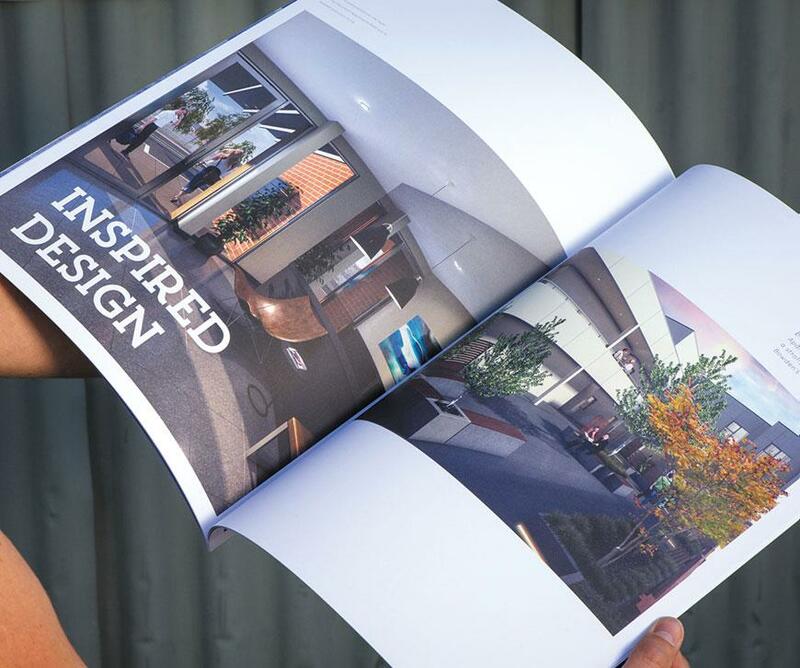 This was complemented by a series of brochures and display suite banners, along with floor plans and press advertisements. 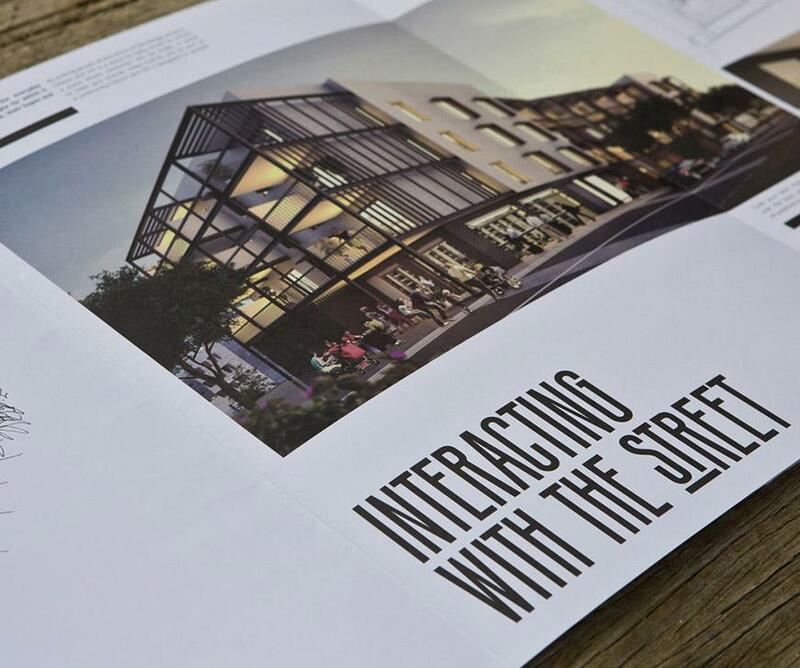 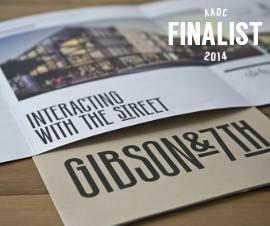 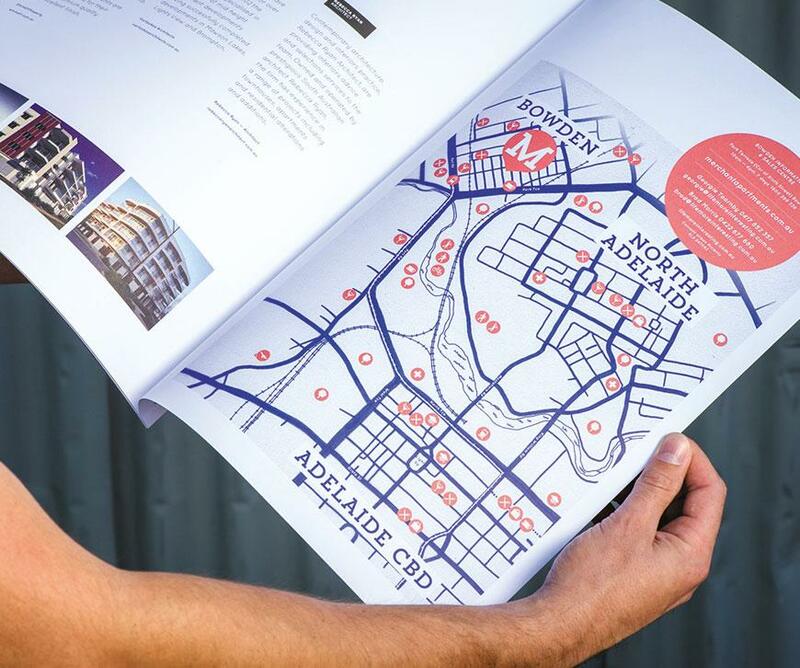 Not only were we acknowledged as a finalist in the 2014 Adelaide Advertising and Design Club Awards for our handcrafted typeface, but more importantly, all apartments were also sold in less than 12 months. 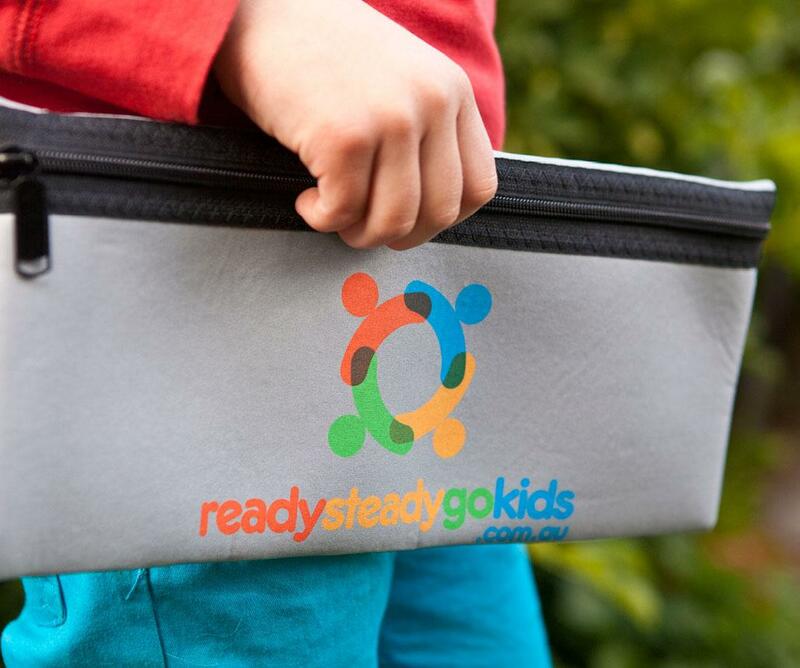 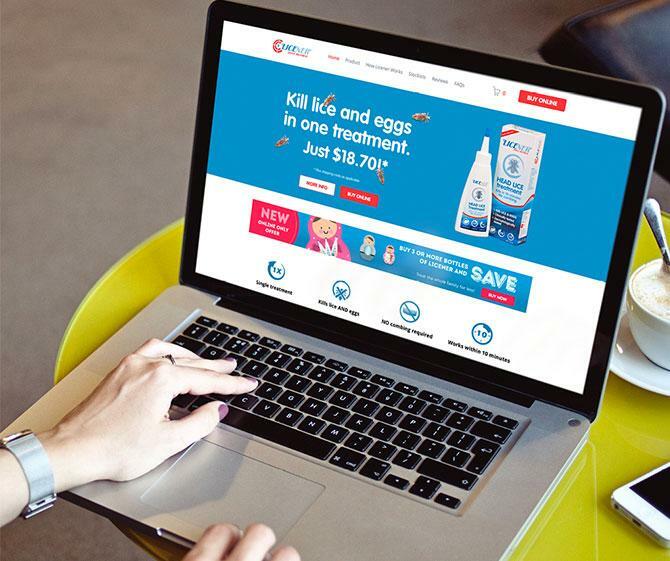 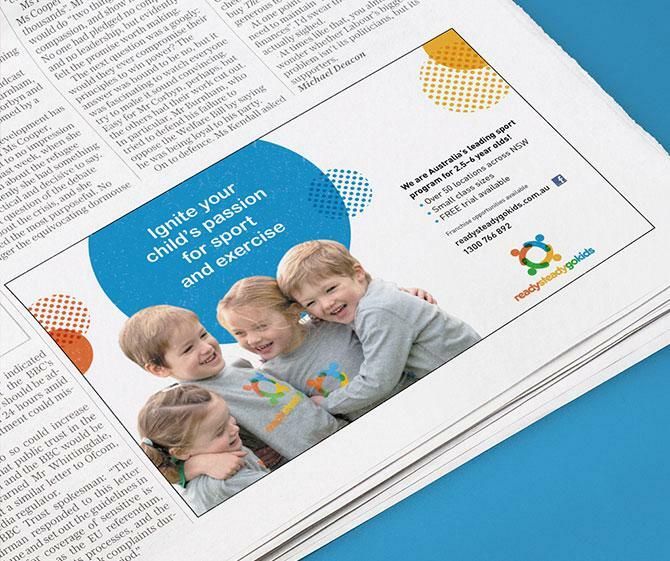 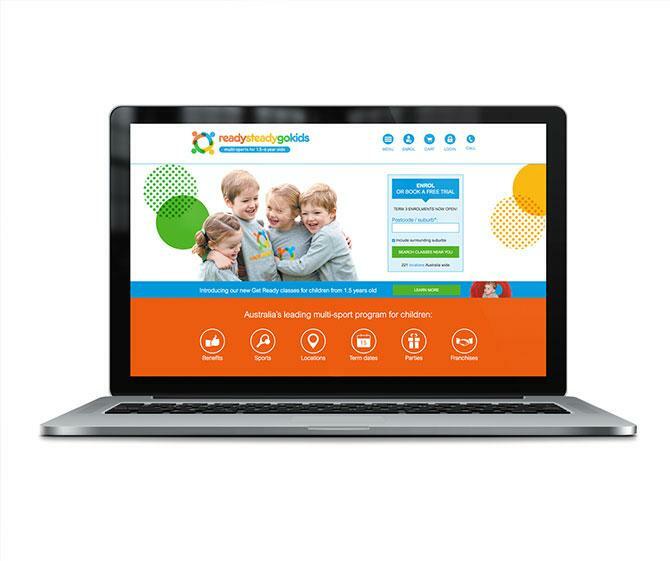 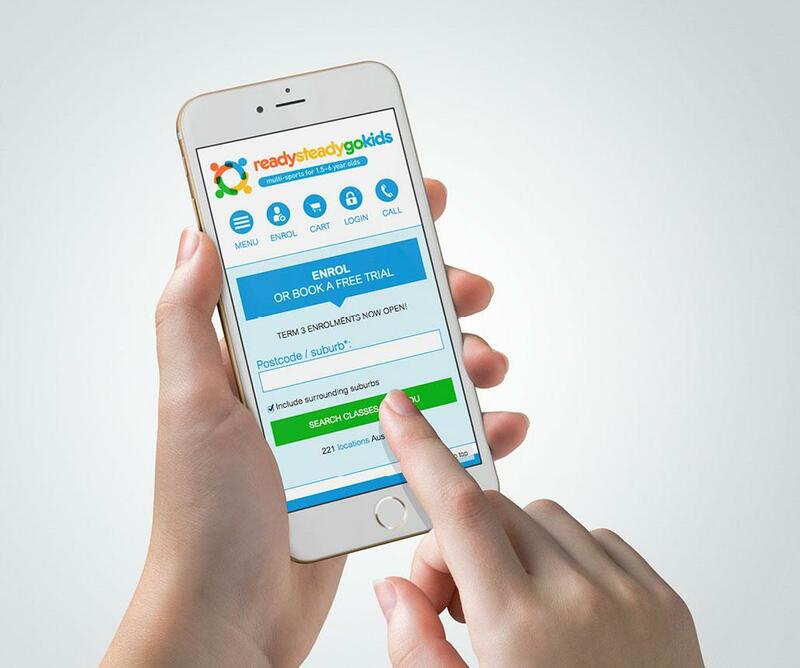 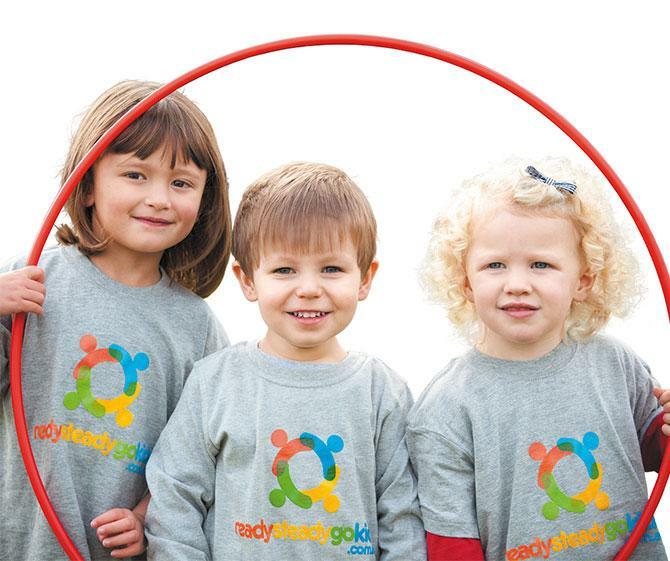 We gave the Ready Steady Go Kids brand a complete makeover – from developing a new corporate identity and complementary collateral, to designing a complex eCommerce website and business application system. 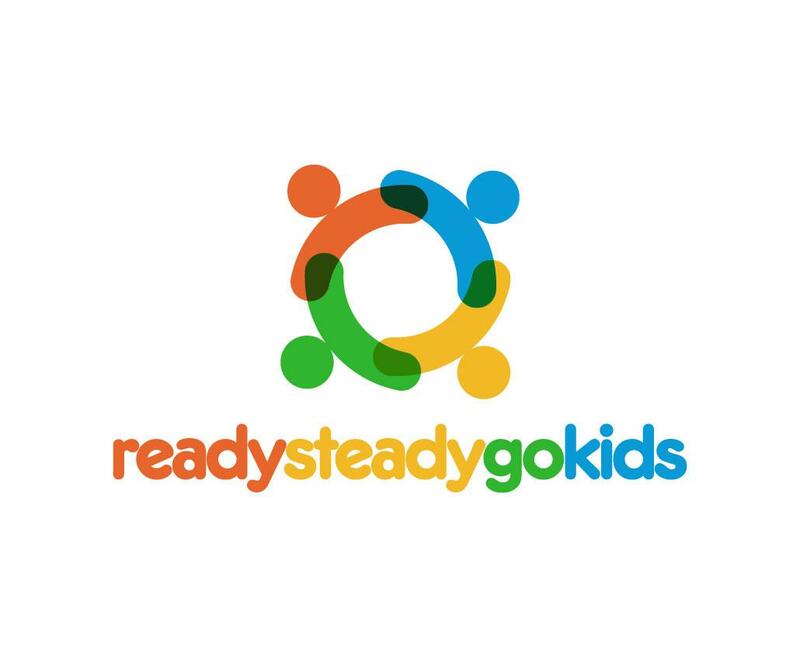 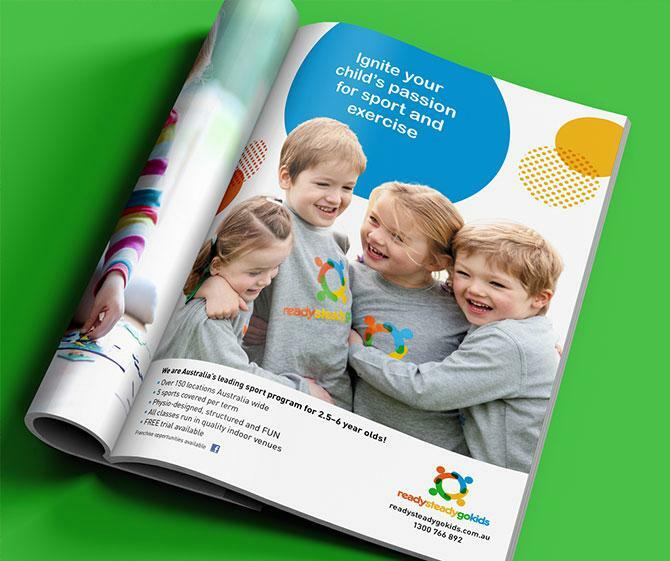 We were instrumental in launching their franchising program, and our integrated approach further cemented Ready Steady Go Kids as a leader in children’s fitness programs. 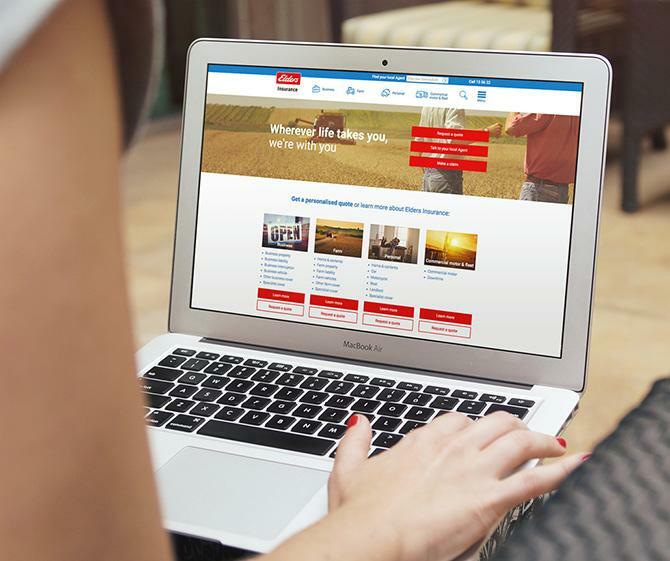 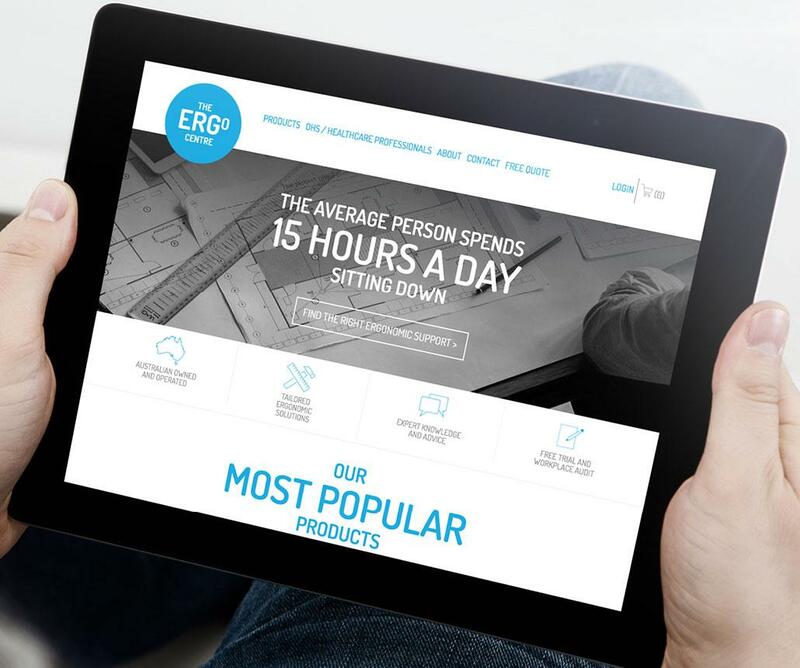 The website has proven to be the business’s most effective tool, attracting new members and franchisees from Australasia, Europe, the UK and beyond.